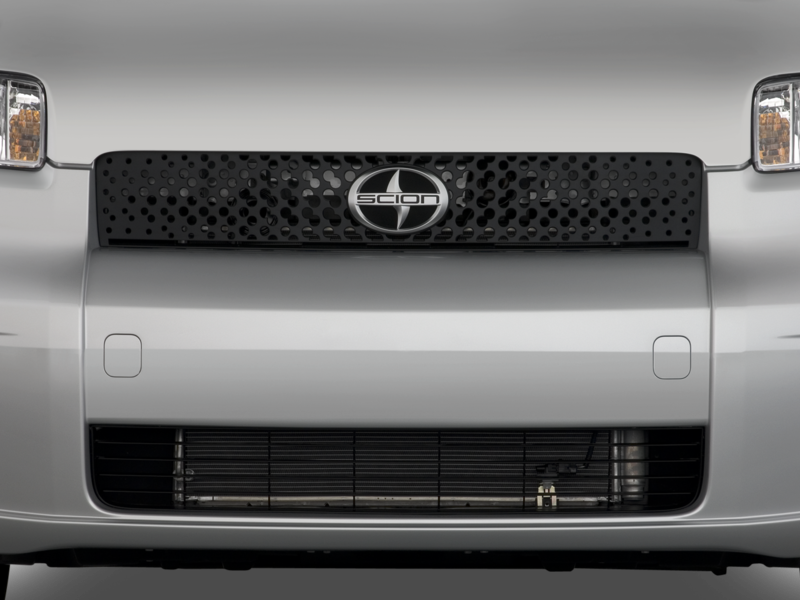 At its best, Toyota’s Scion youth brand was an influential force in tuner culture that captured the attention of young car buyers with unique, bizarre models that were like nothing else offered at the time. 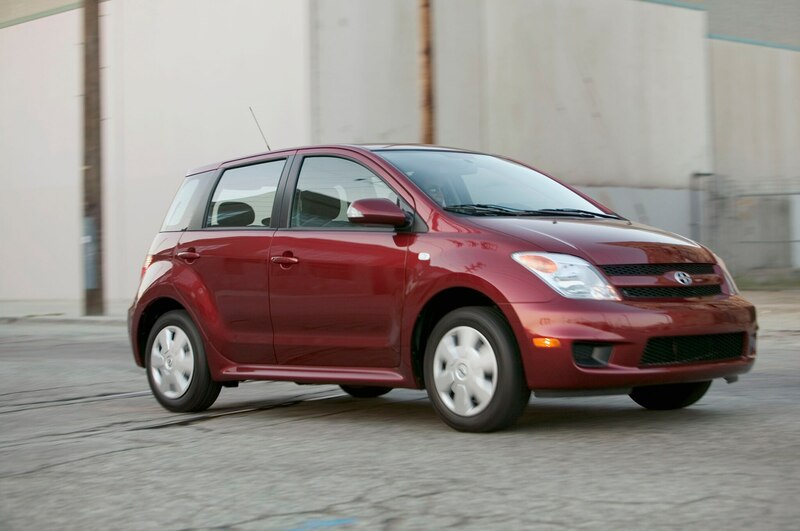 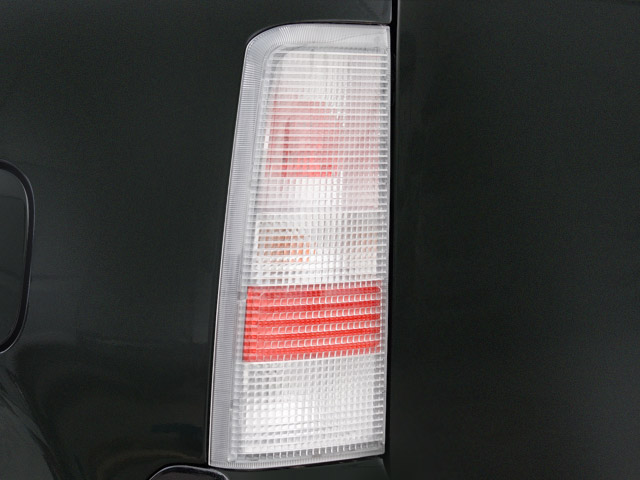 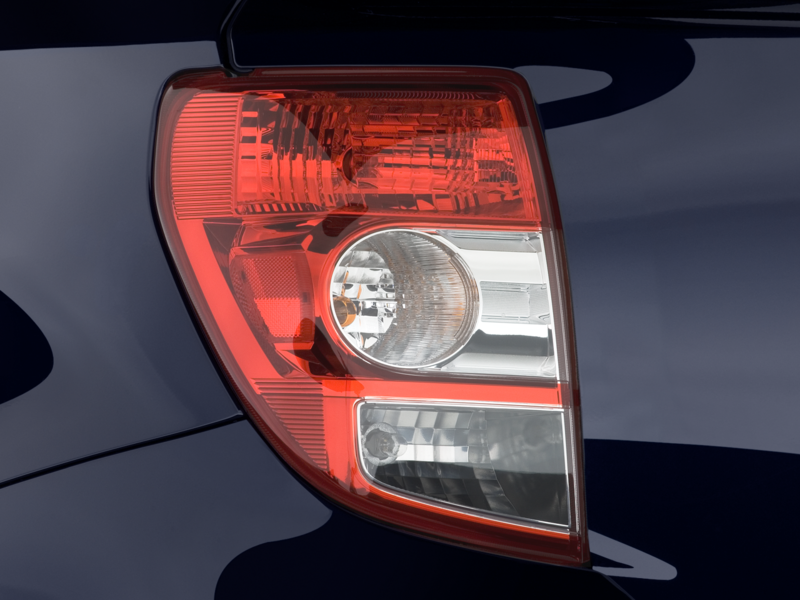 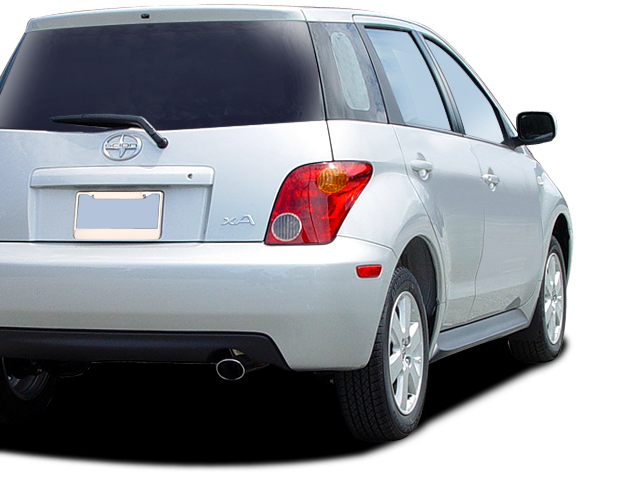 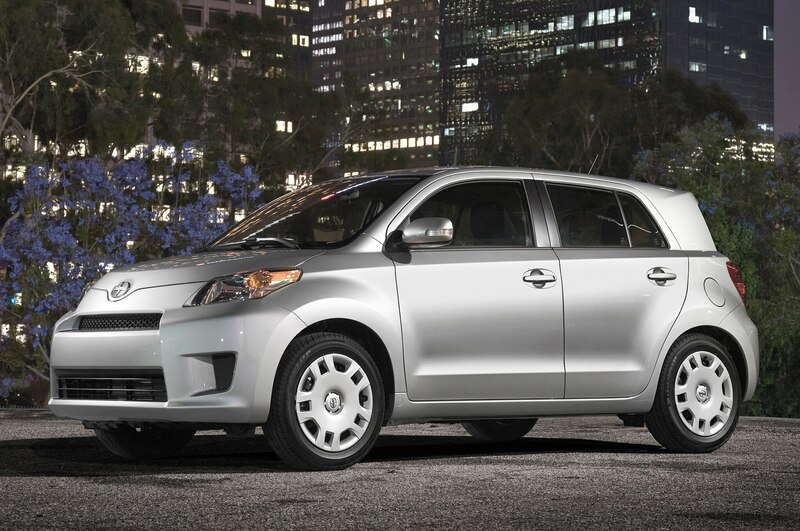 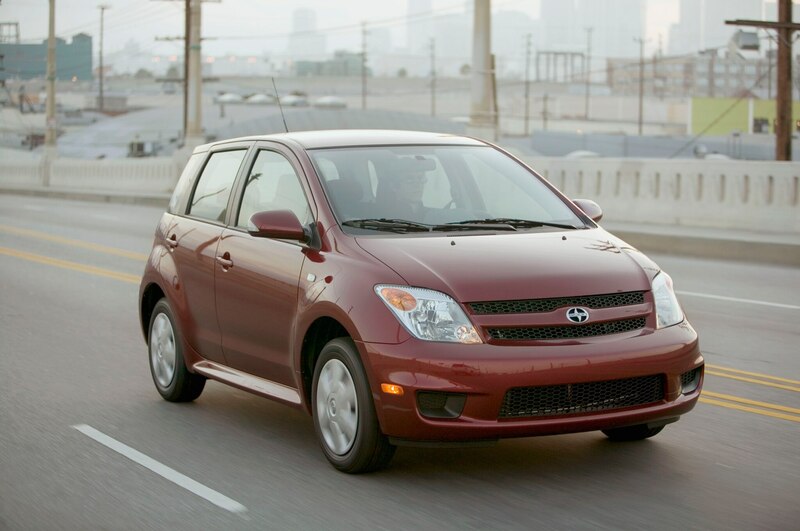 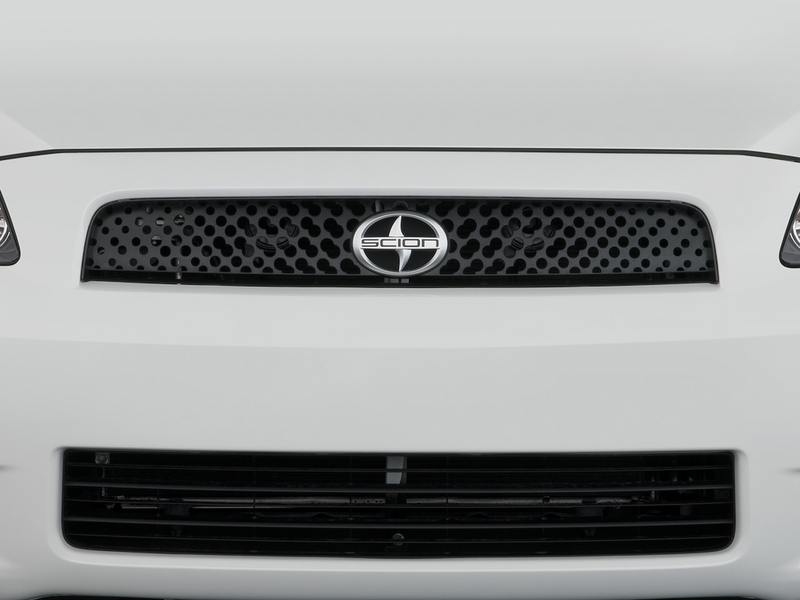 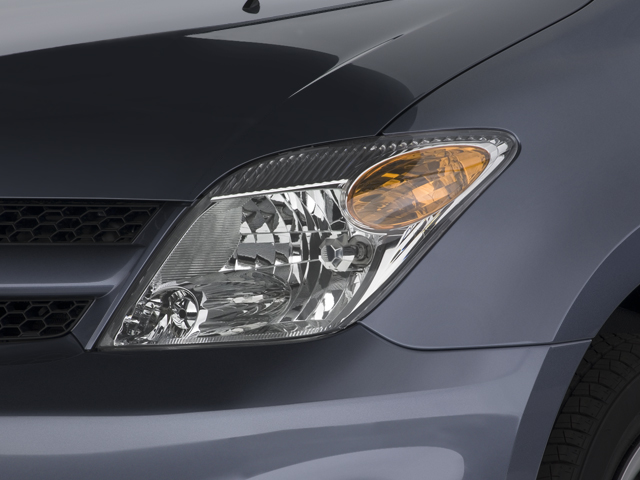 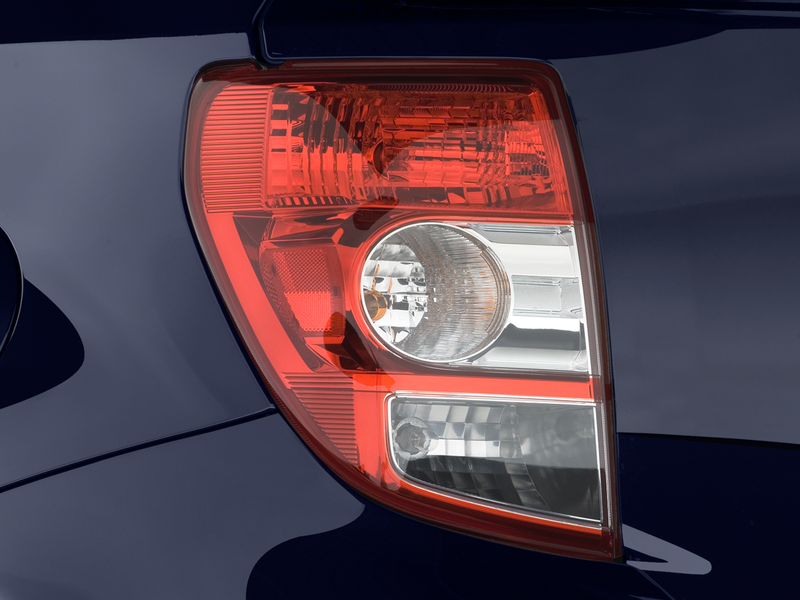 At its worst, it was a failed experiment to rebadge existing cars from Toyota’s global portfolio and attempt to market them to millenials who didn’t want to be told what was “cool.” As the short-lived brand goes off into the night, we decided to highlight the best of times and the worst of times during Scion’s 13-year history in the U.S. 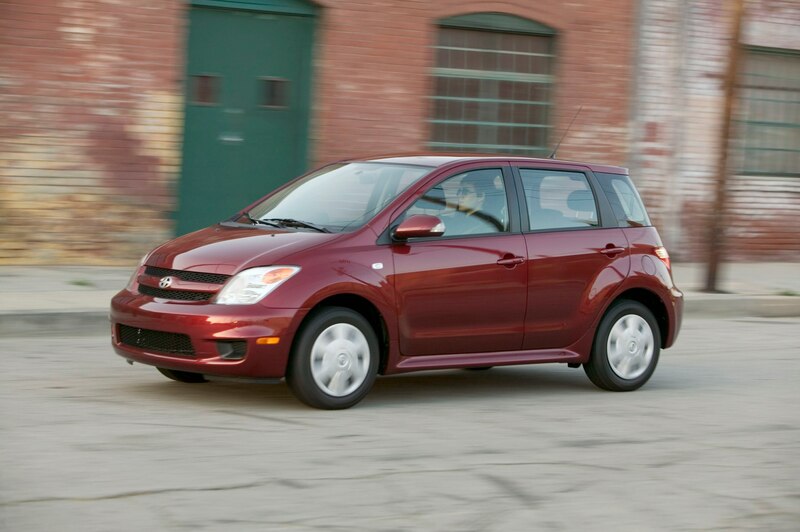 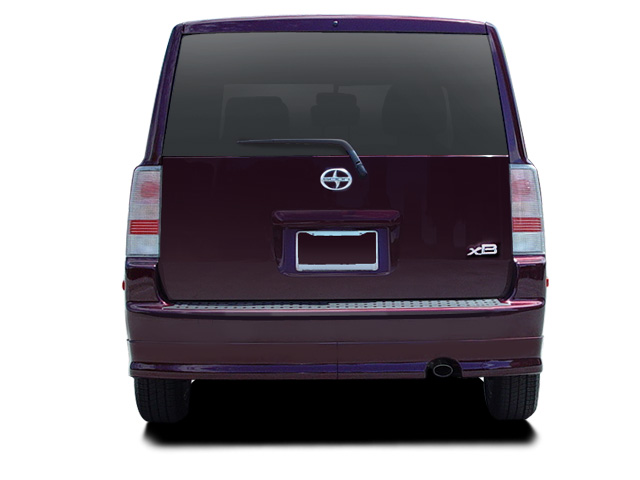 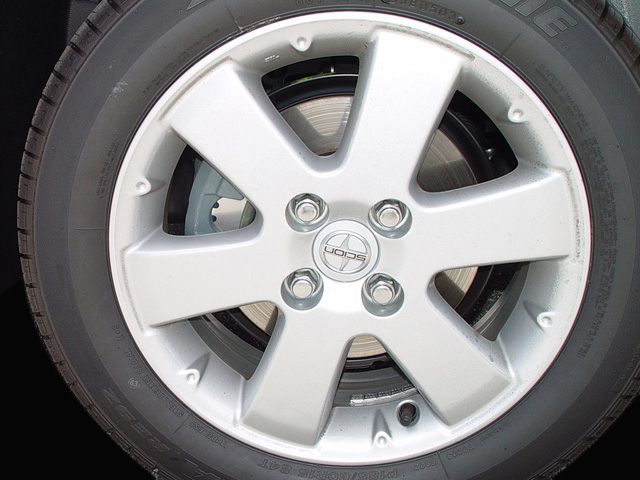 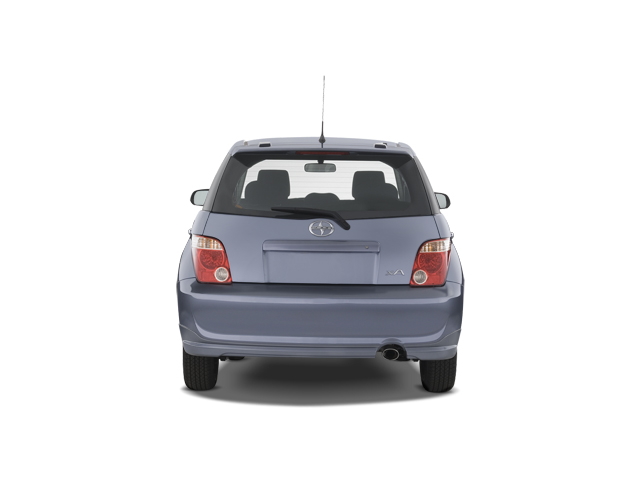 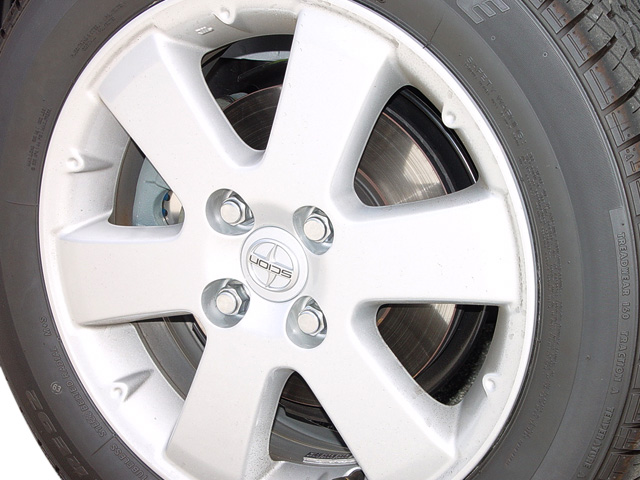 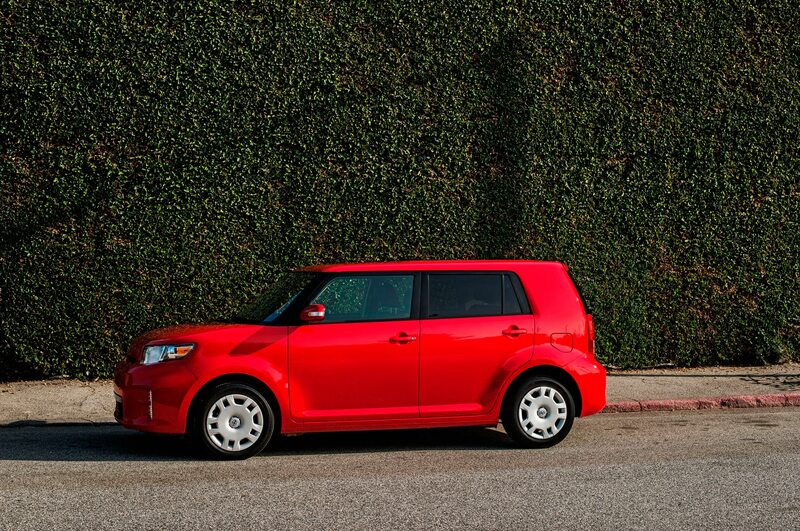 Revealed at the 2003 Los Angeles auto show as the first model from the new brand, the xA was a frumpy and unremarkable hatch that did little to excite buyers like the unique, boxy xB did. 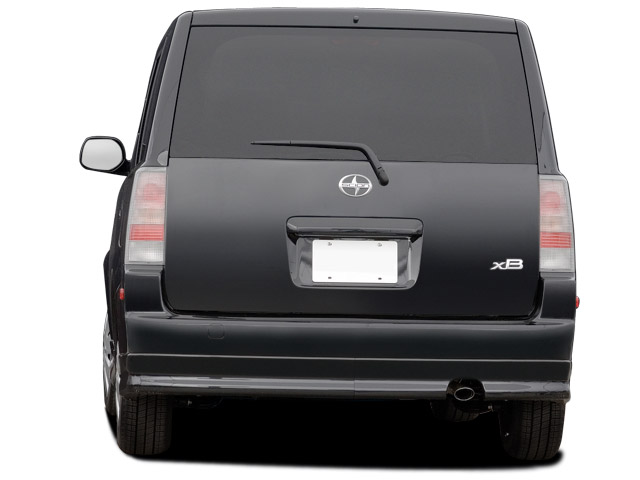 The xA remained for only three model years, from 2004 – 2006, when it was replaced by the similar xD. 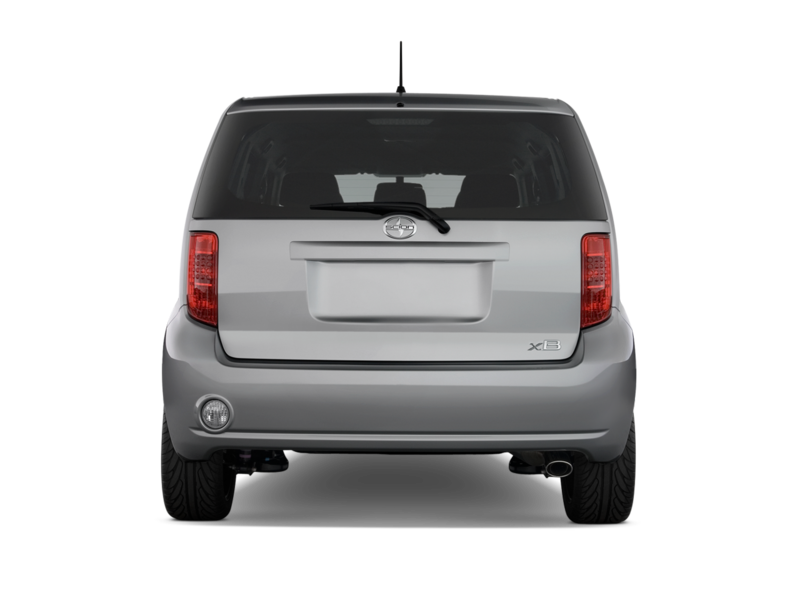 Just like the xA, the unsightly xD was no big sales success, though it did soldier on for seven years, until its discontinuation after the 2014 model year. 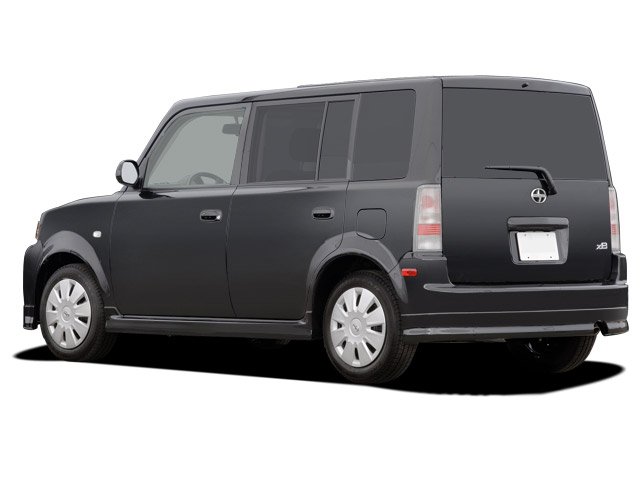 After the Scion brand expanded past its initial California-only release to nationwide availability, the box-on-wheels xB found an unexpected foothold in the modification and customization market just as it was developing following the success of The Fast and the Furious series. 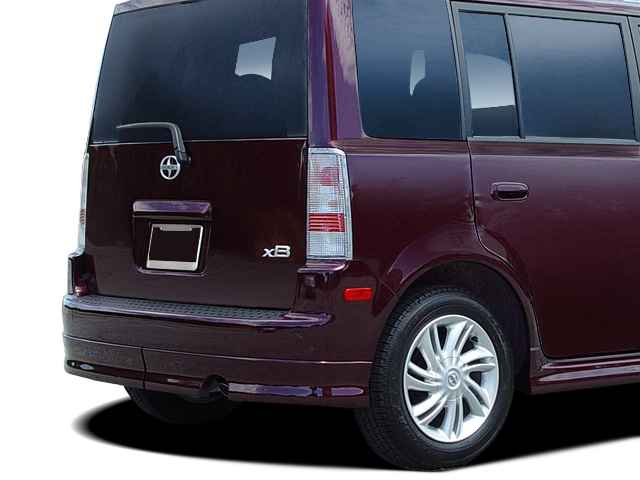 Sales for the xB were much better than anticipated, and it was a crowd favorite at cruise-ins and car shows around the country. 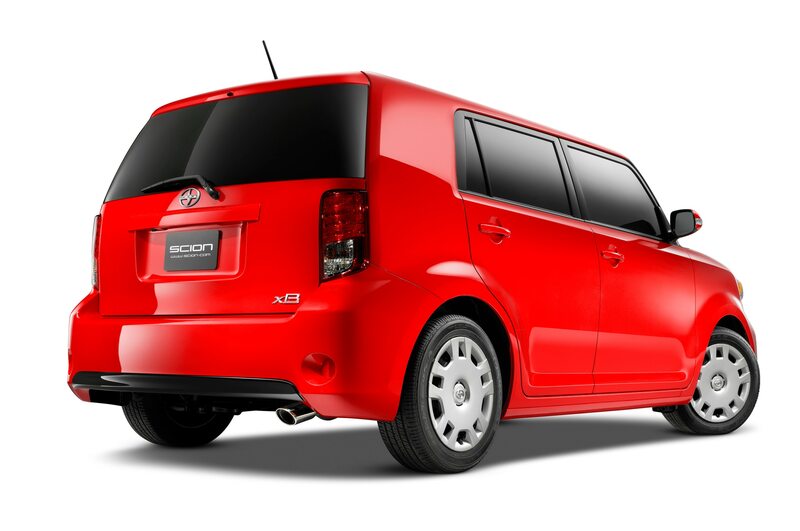 This unforeseen success pushed Scion toward a tuner-friendly image, with a constant stream of wild colors, special editions, outlandish concepts, and a near take-over of SEMA during the height of the xB’s popularity. 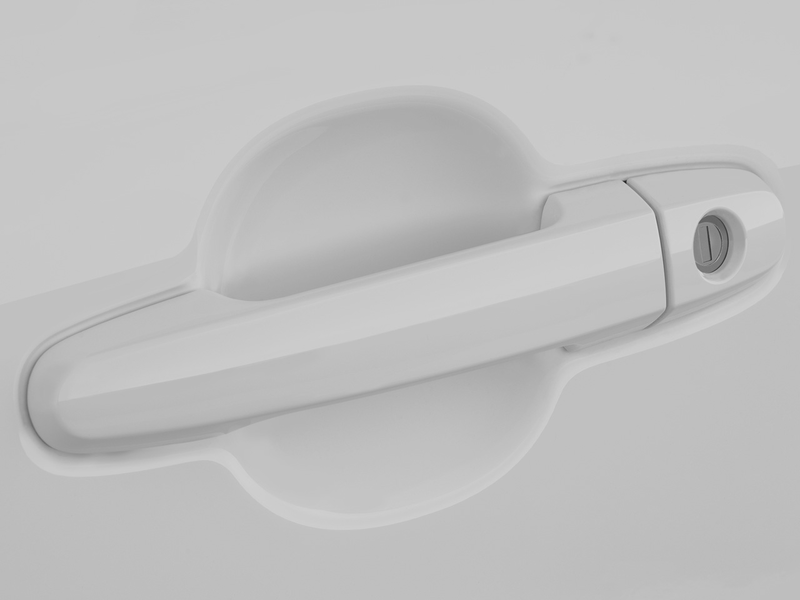 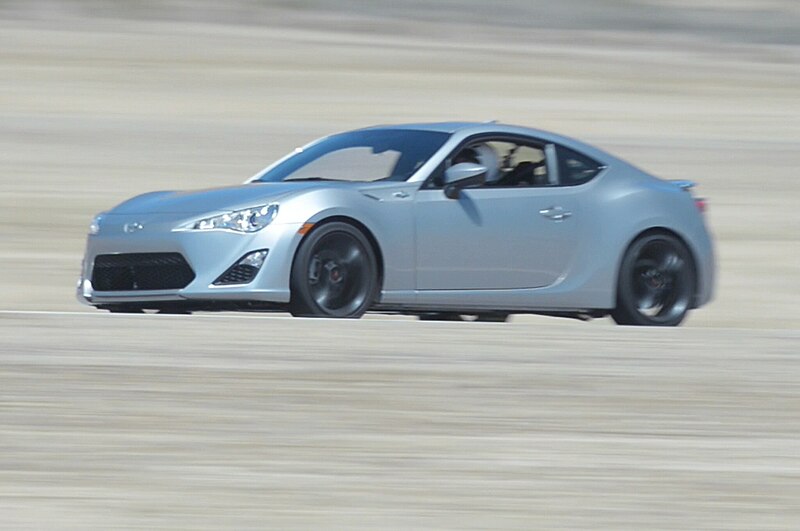 It wasn’t fast, nor did it handle particularly well, but it served as a blank canvas for the inspired enthusiast. 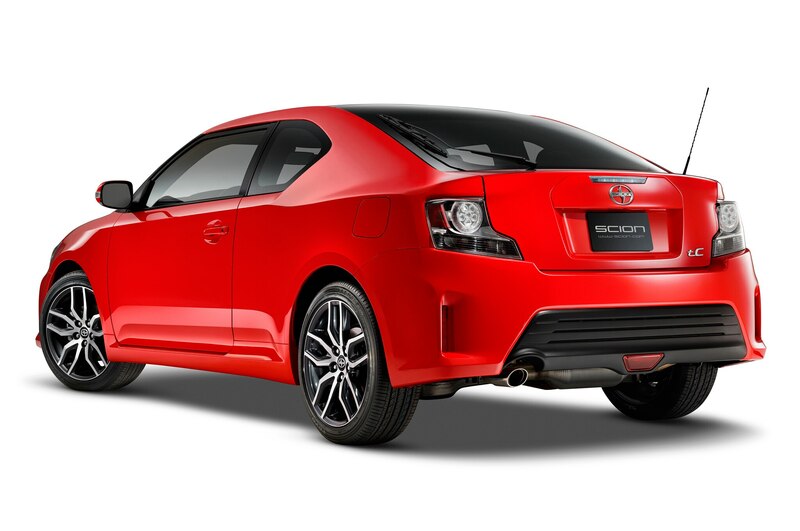 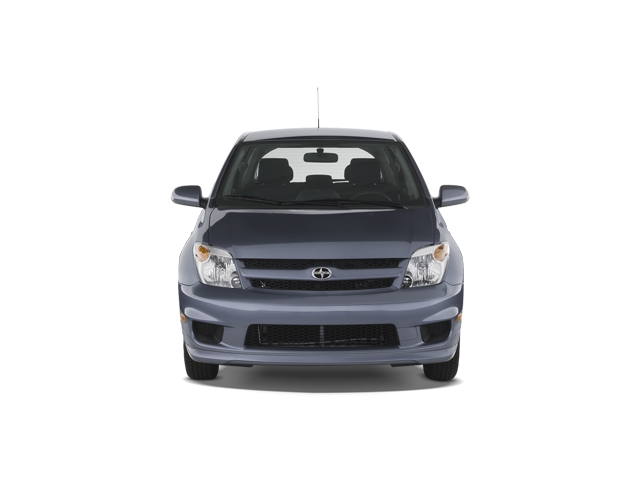 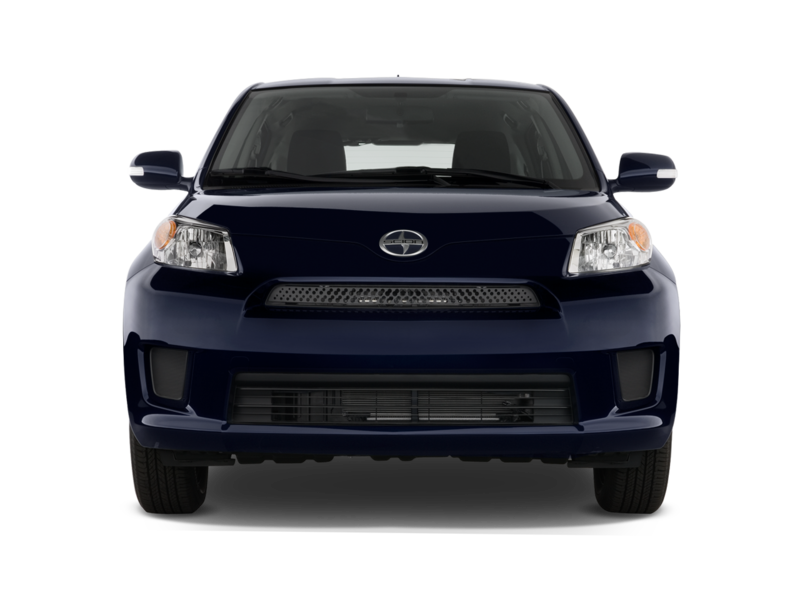 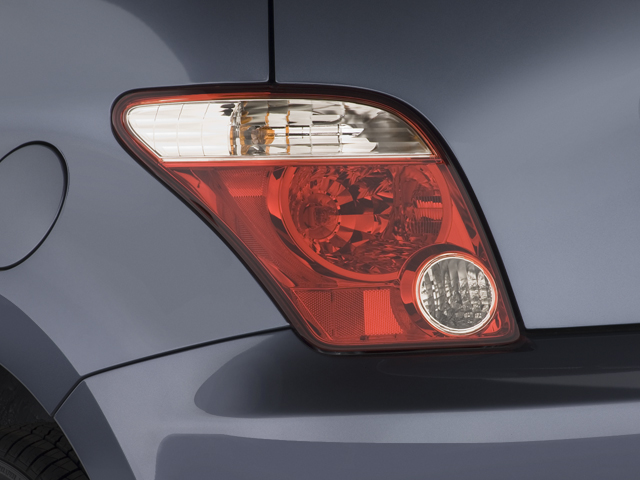 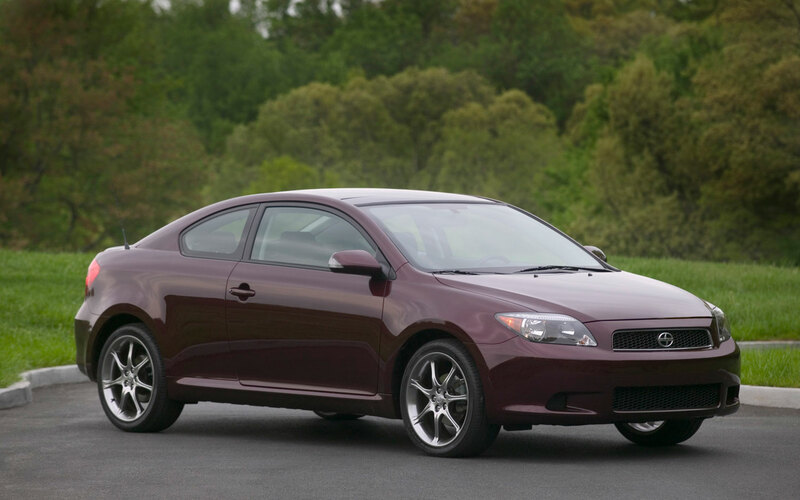 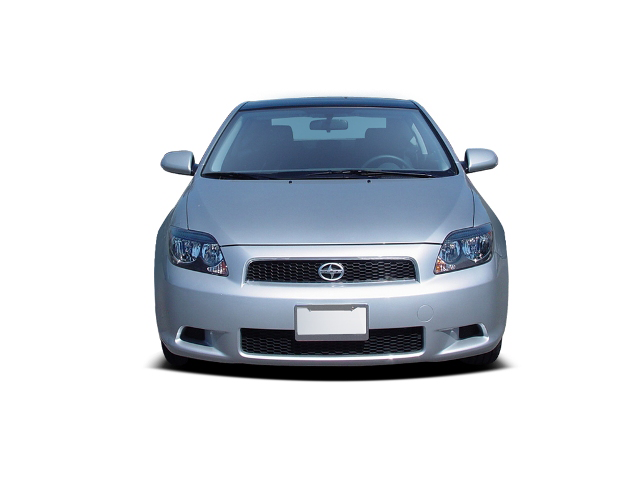 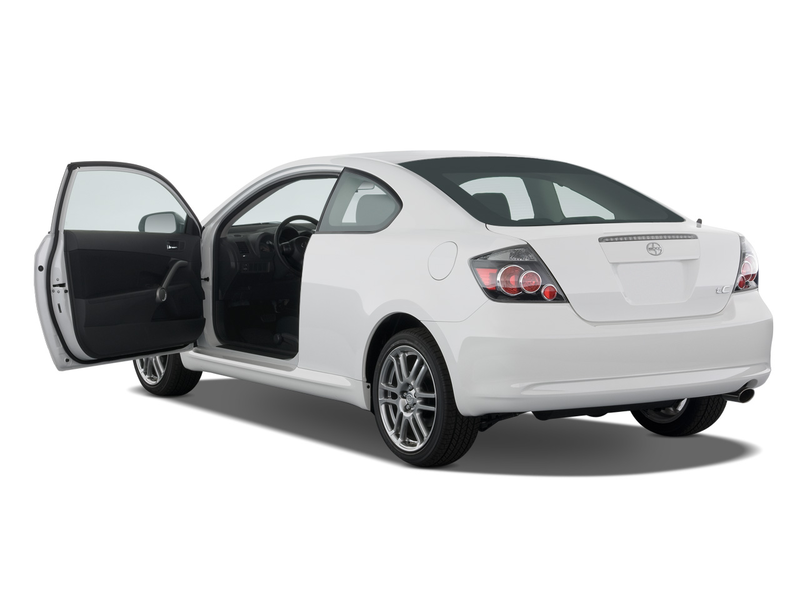 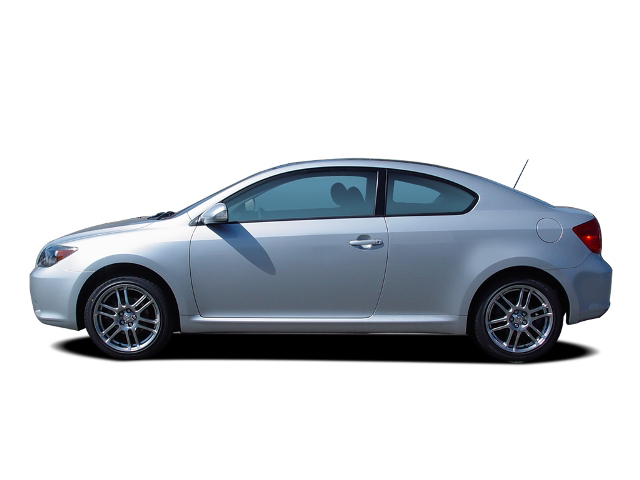 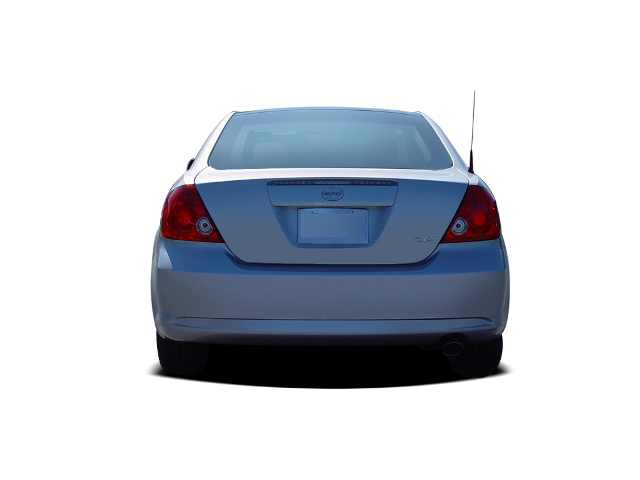 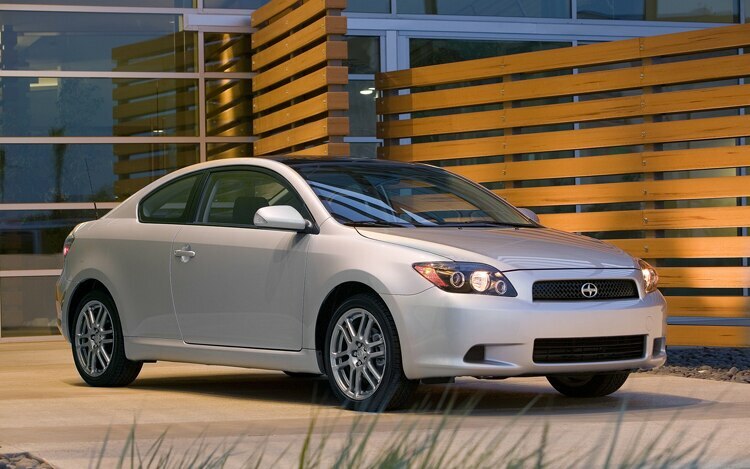 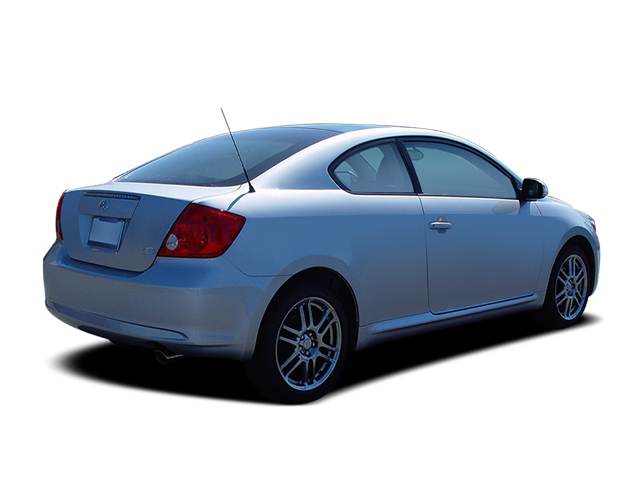 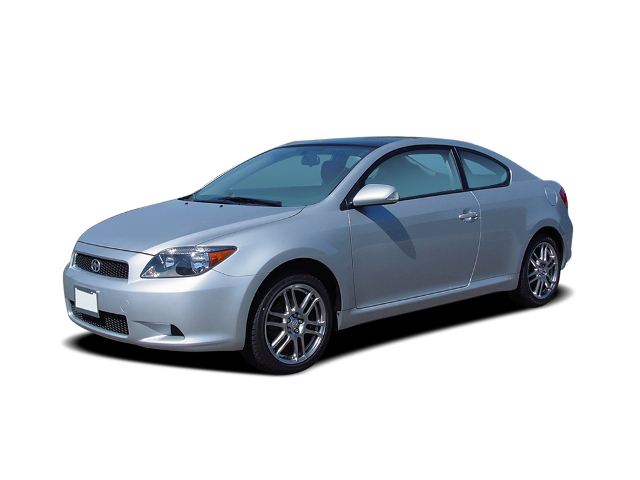 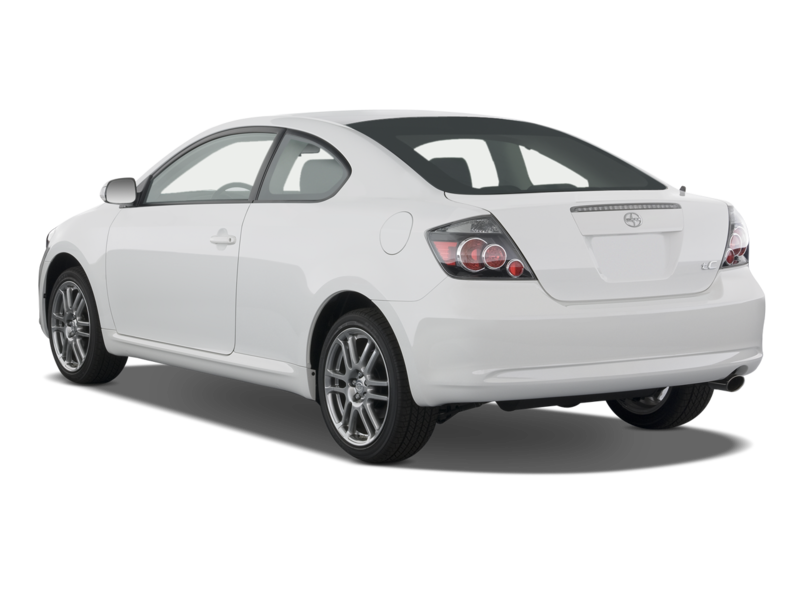 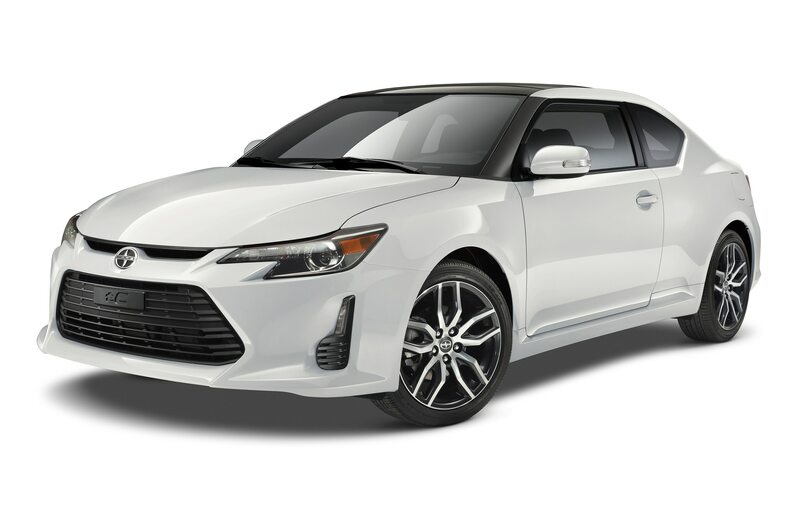 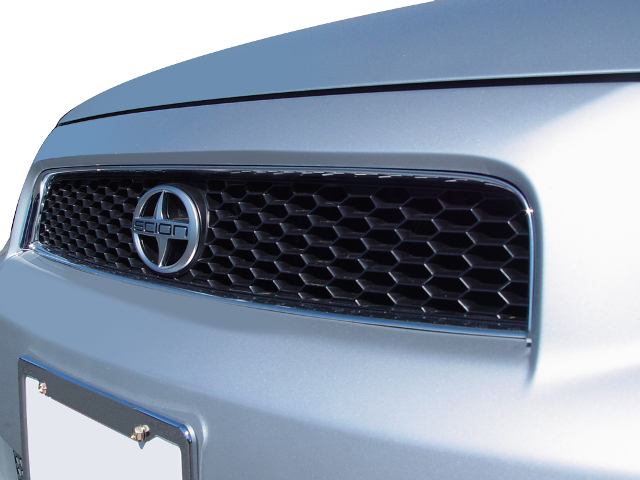 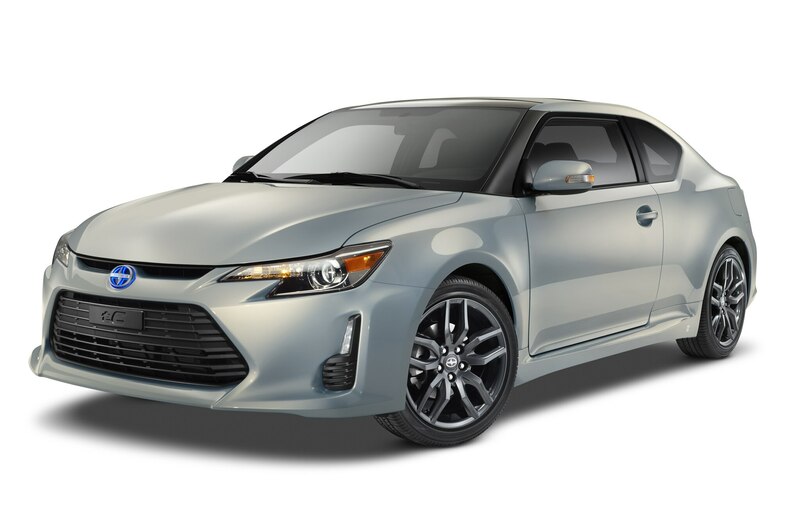 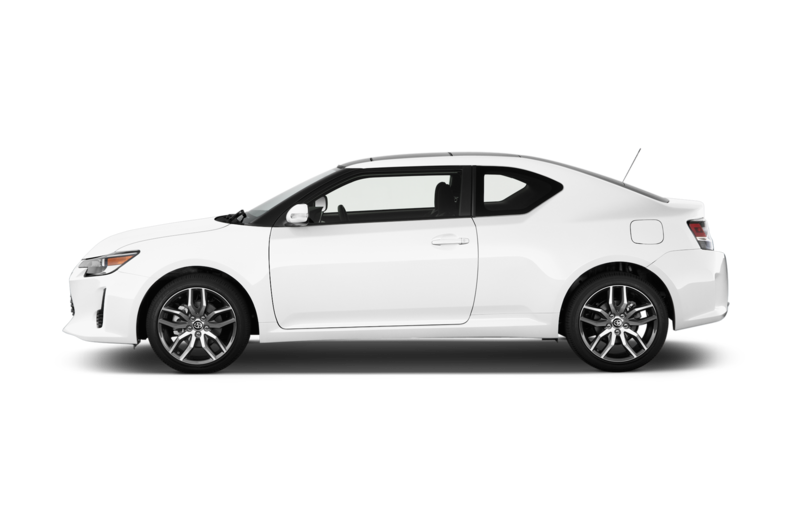 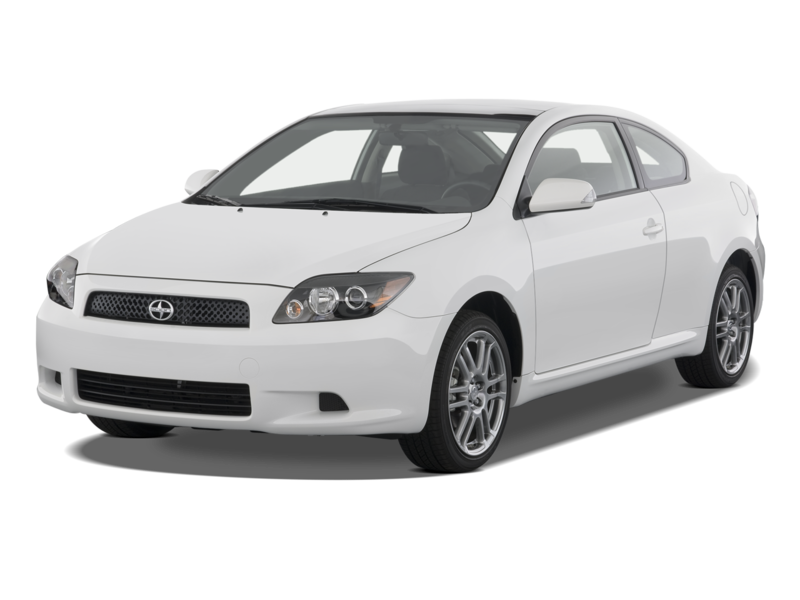 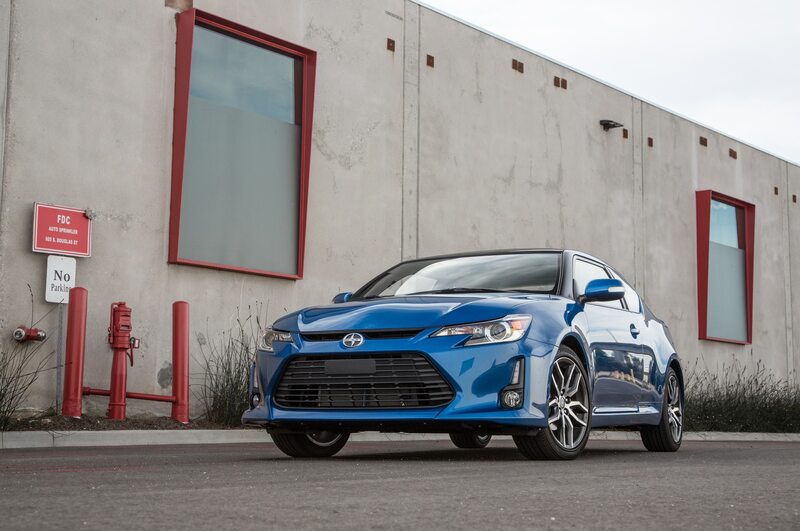 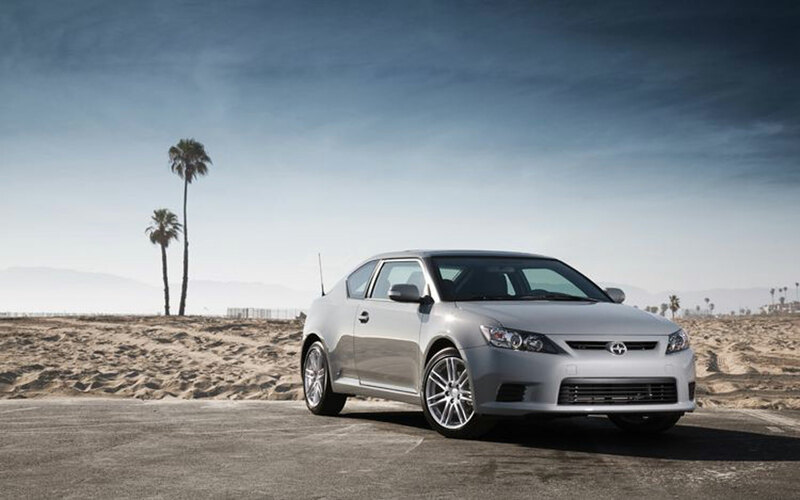 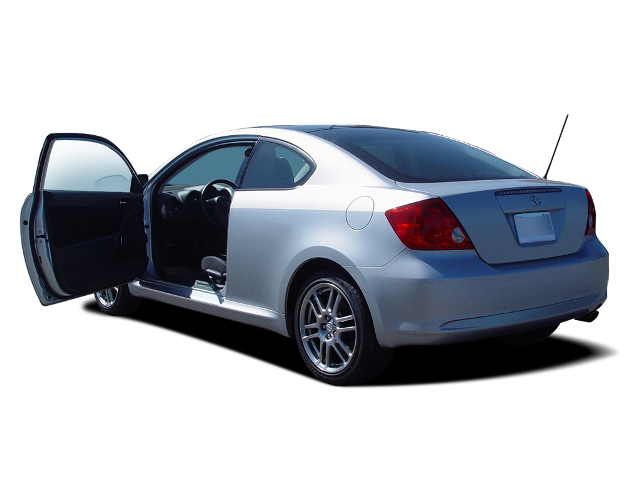 When it joined the xB for 2005, the Scion tC was exactly what Toyota’s youth-oriented brand needed: a stylish, practical, and efficient coupe that young people could actually afford. 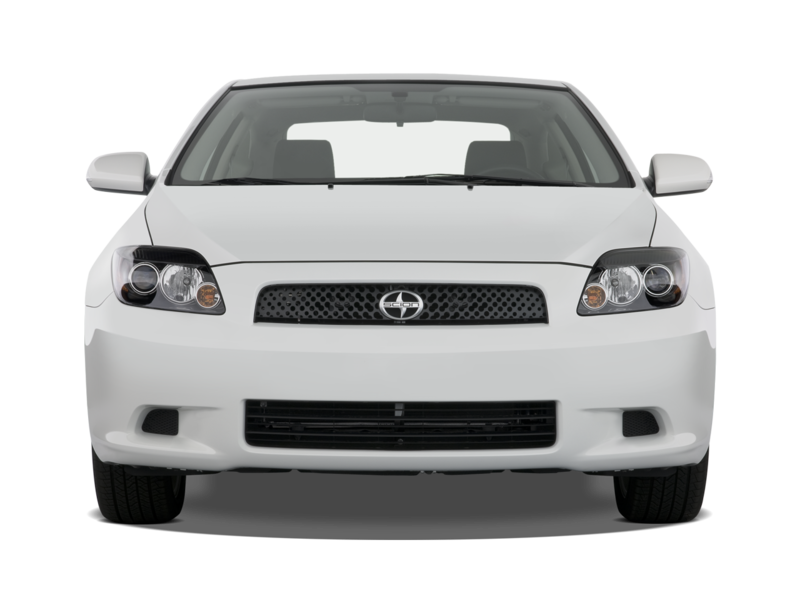 Based on the European-market Toyota Avensis, the first tC was a worthy competitor to other small two-doors like the Honda Civic coupe, and even offered a decent amount of fun behind the wheel, especially when equipped with a manual transmission. 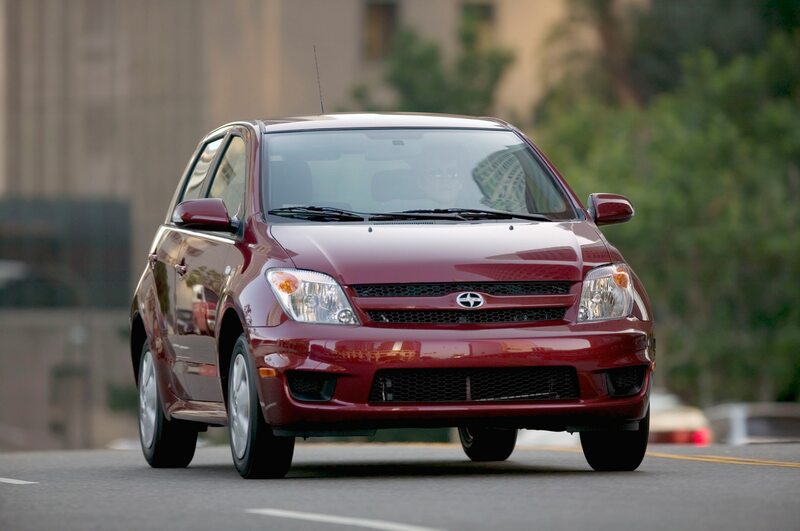 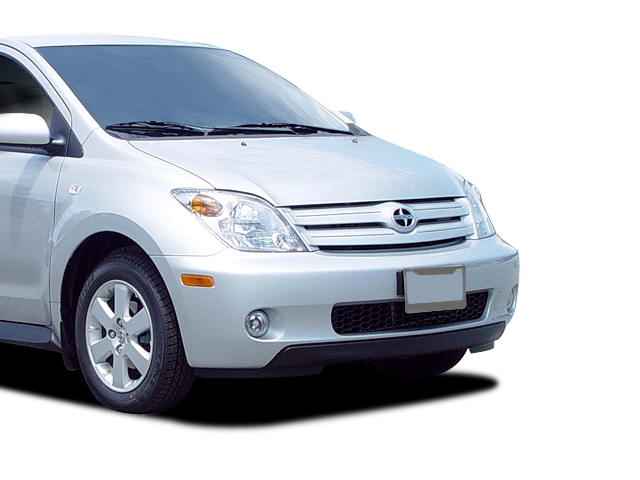 It also offered a lot of value for money, as it came standard with features like a panoramic sunroof, alloy wheels, a Pioneer sound system, and keyless entry. 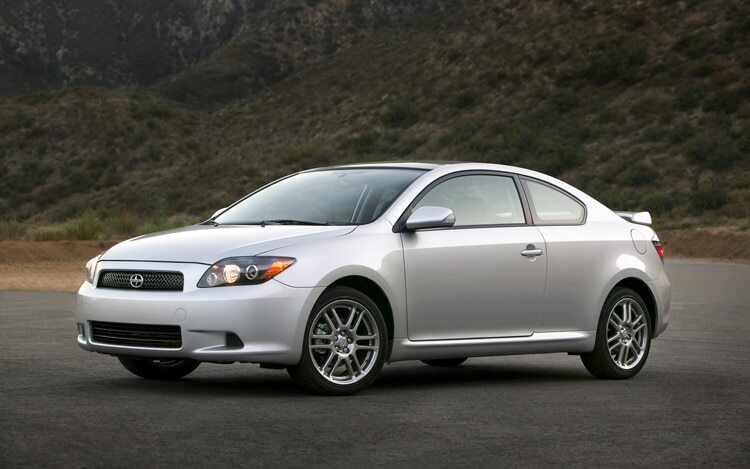 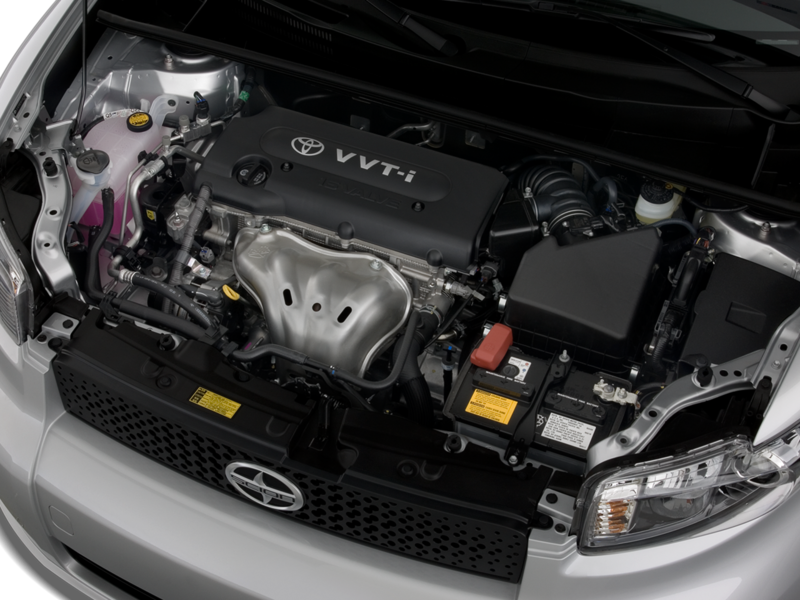 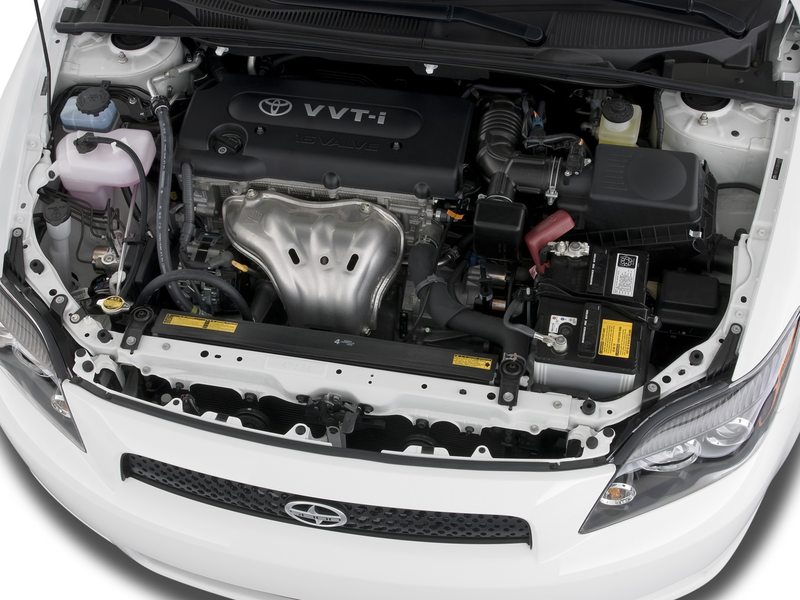 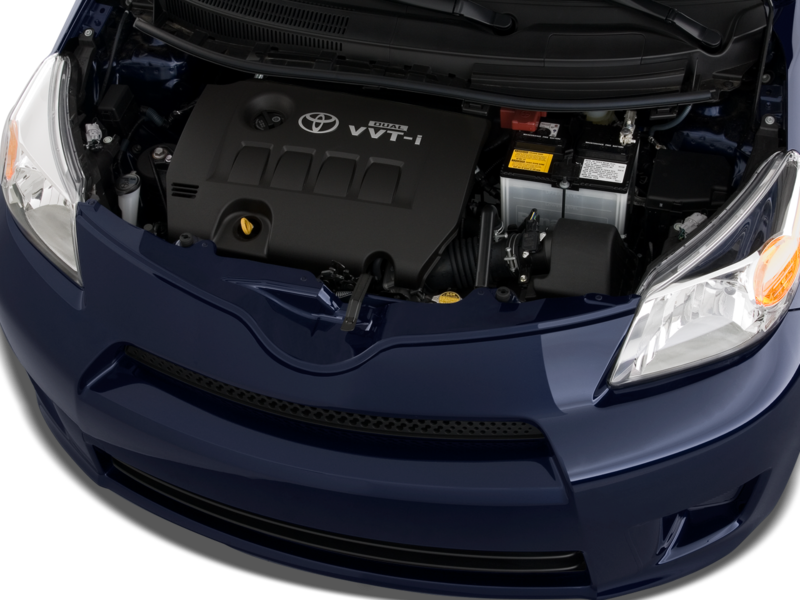 Toyota also drummed up tuner interest in the tC by offering factory performance accessories, including a TRD supercharger kit that boosted power. 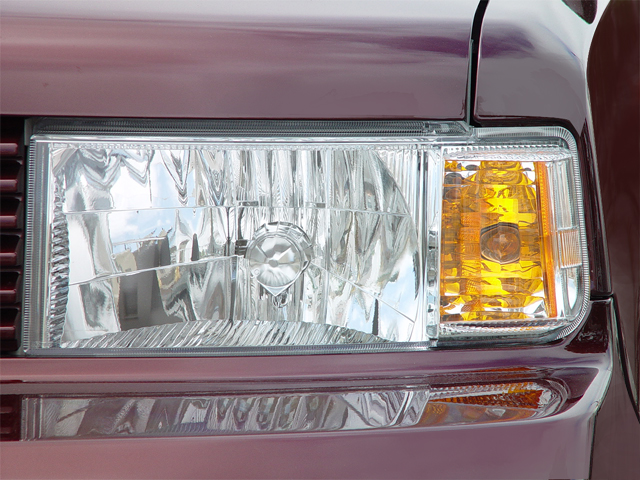 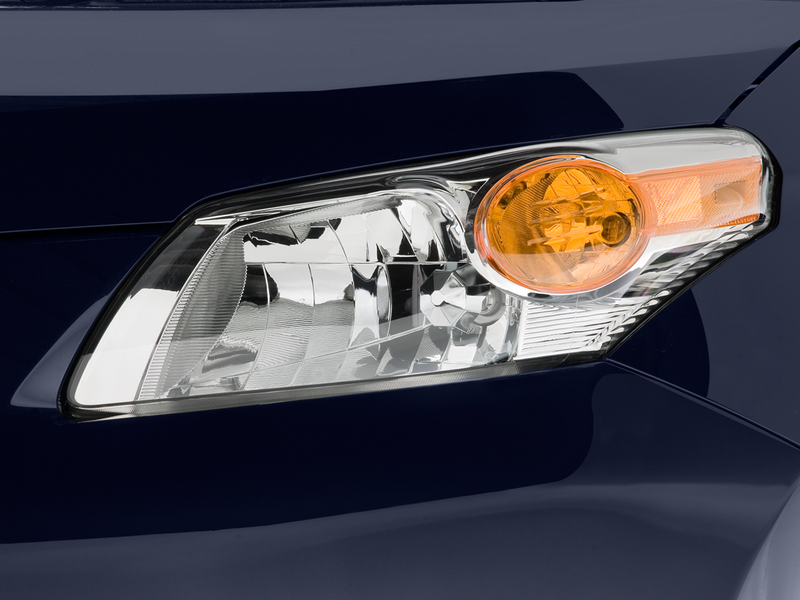 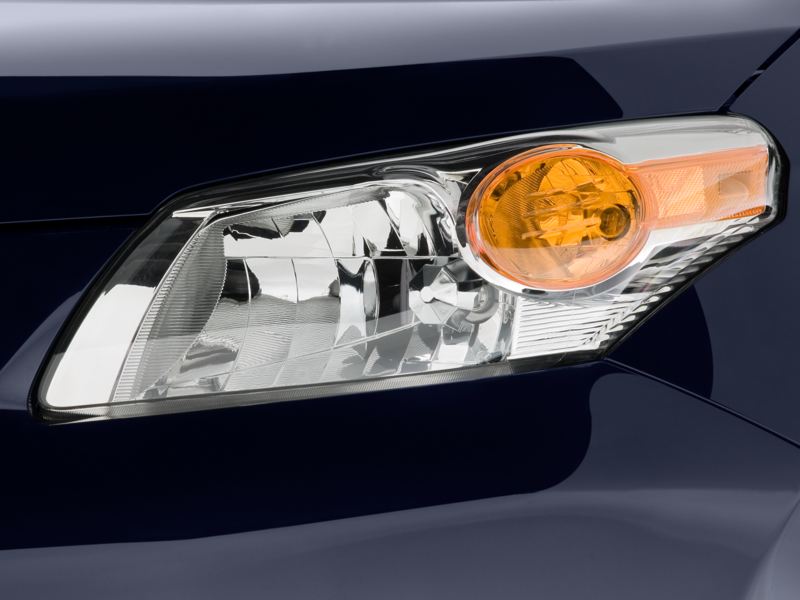 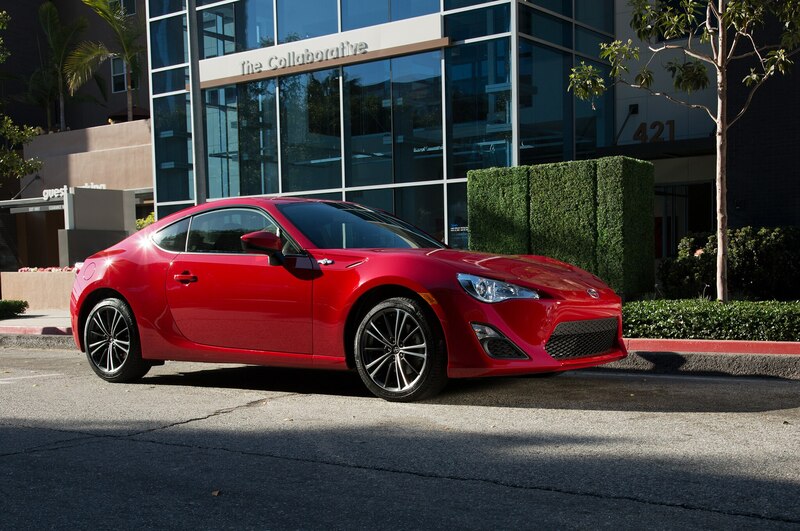 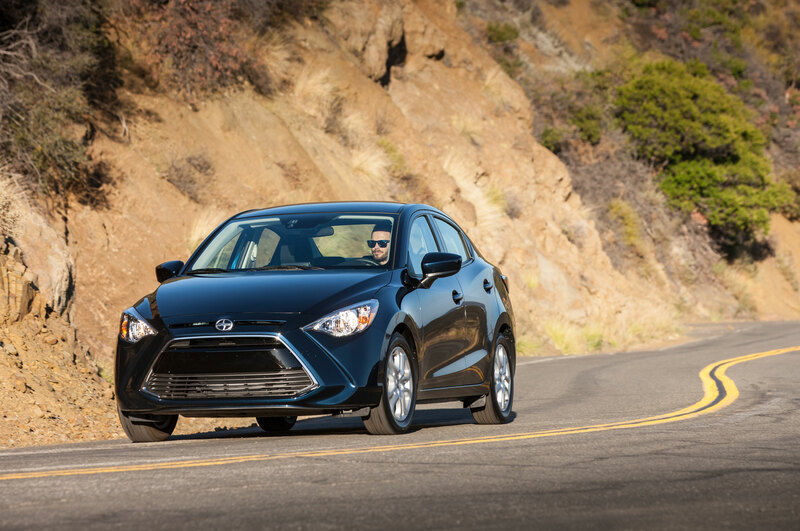 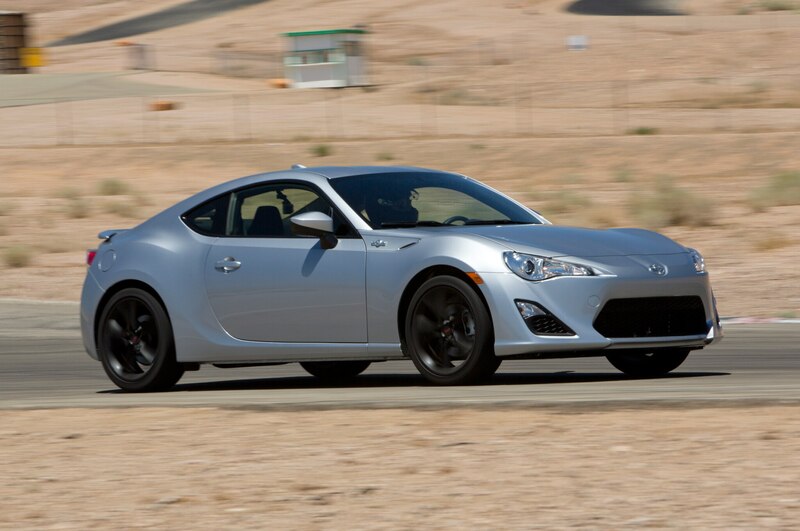 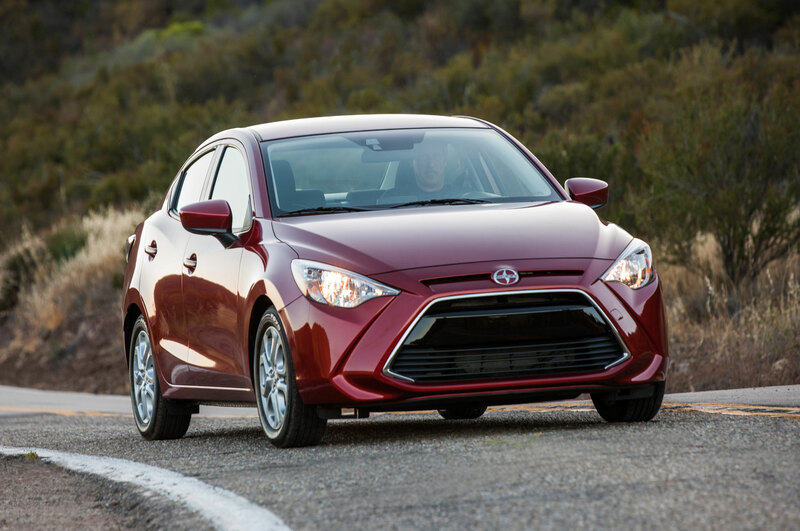 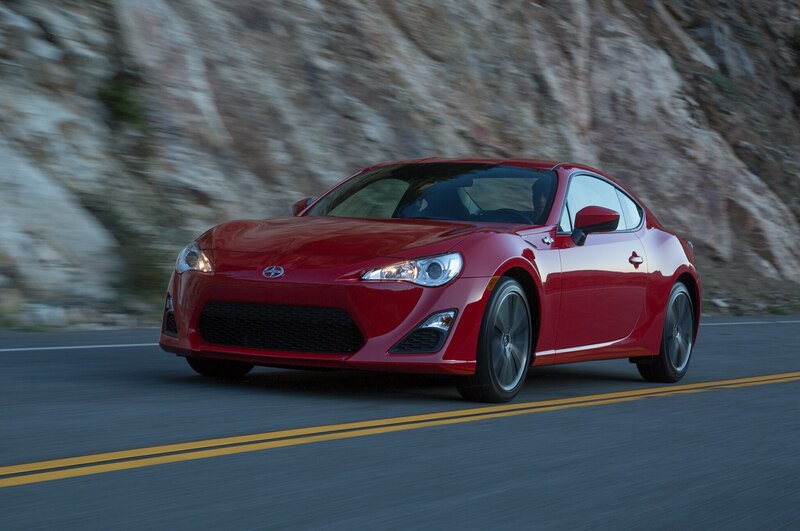 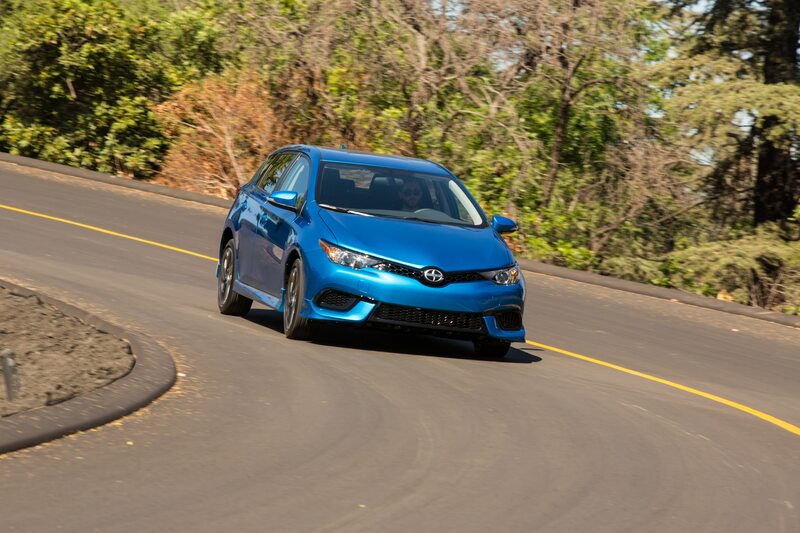 The first-gen tC was Scion’s best-selling model, so a follow-up was a no-brainer. 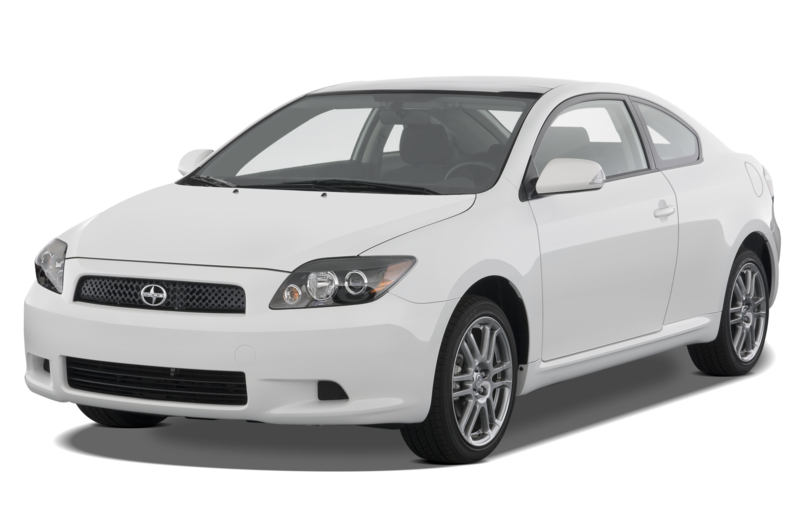 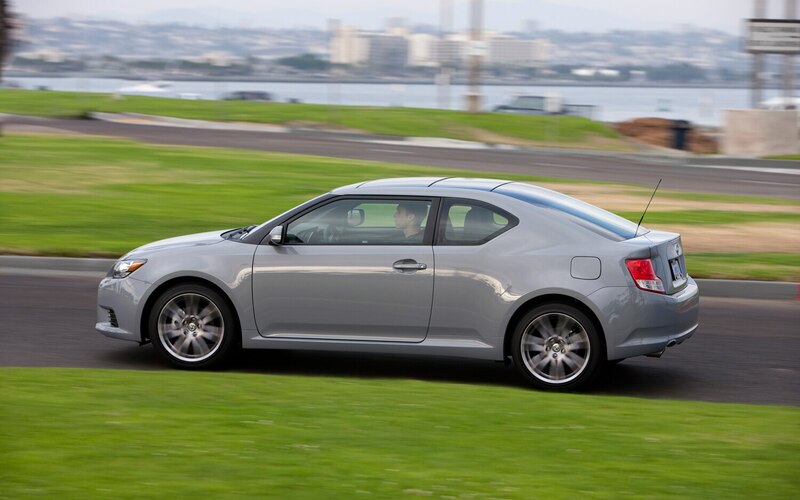 The second tC arrived for 2011 and, like the first, was a front-wheel-drive coupe that came in one well-equipped trim level. 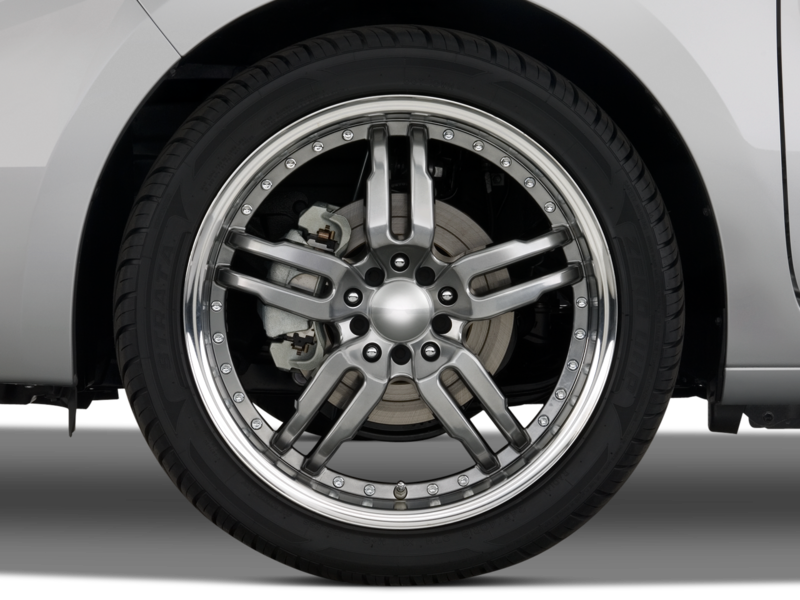 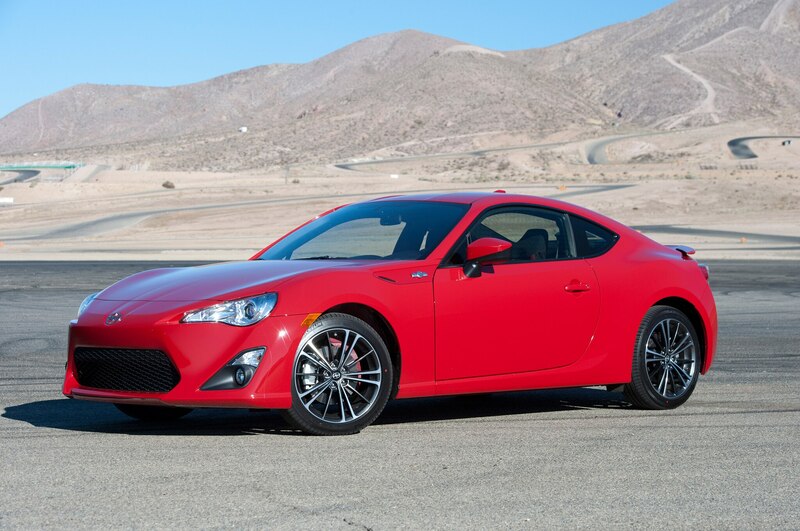 Soon after its debut, though, it was overshadowed by the arrival of the rear-drive Scion FR-S sports coupe, and sales dropped between 2013-2015. 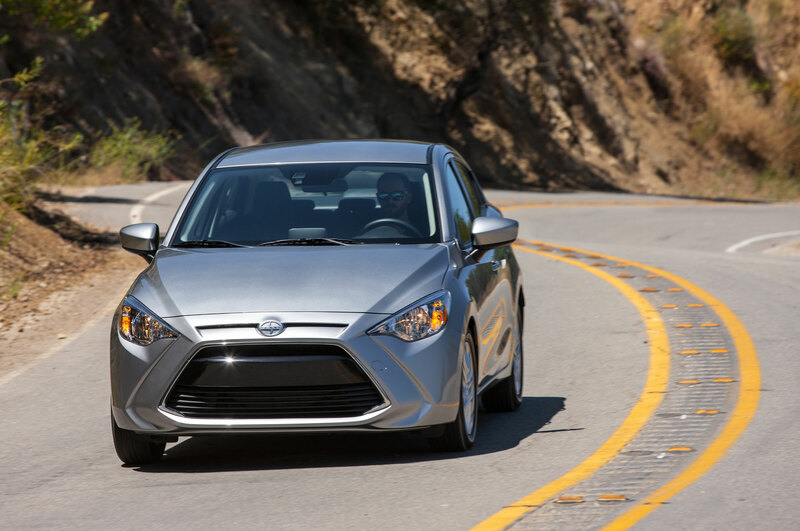 The tC won’t be among the Scion models rebadged as Toyotas this August, and will thus die quietly along with the brand altogether. 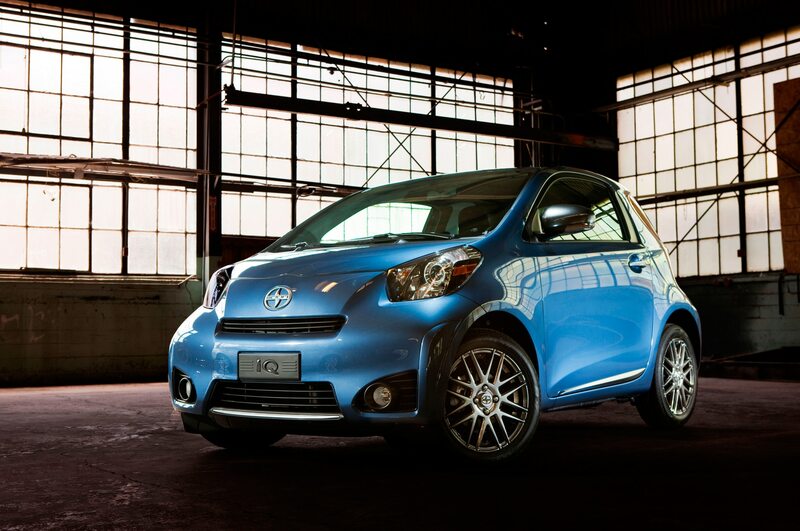 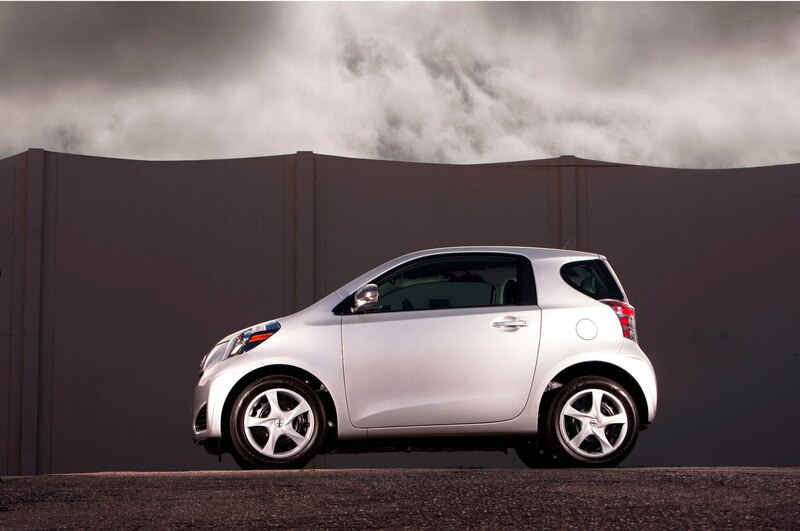 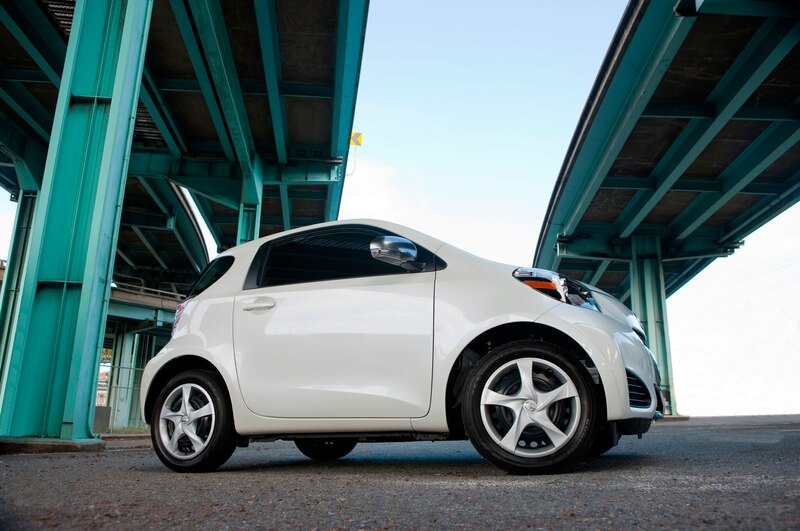 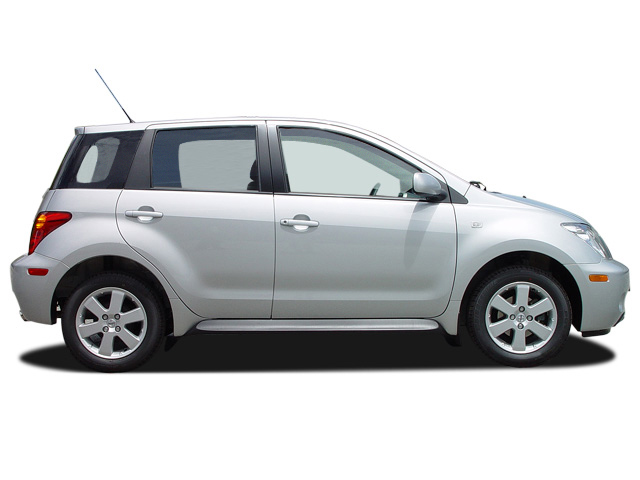 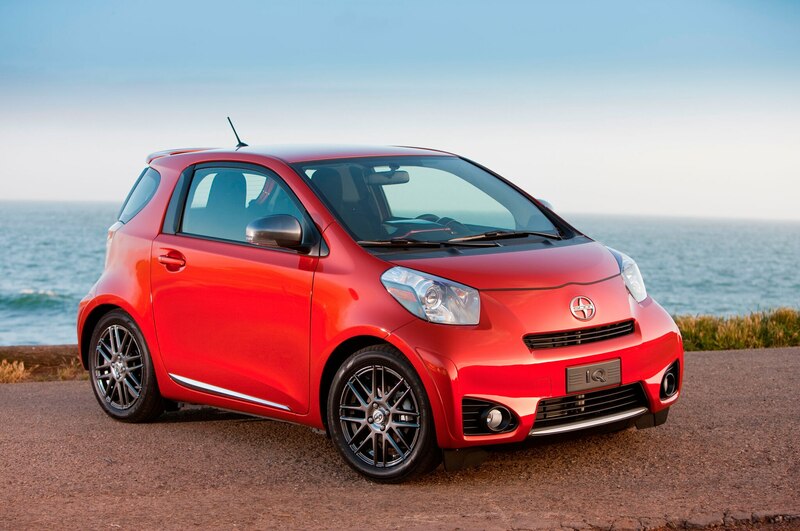 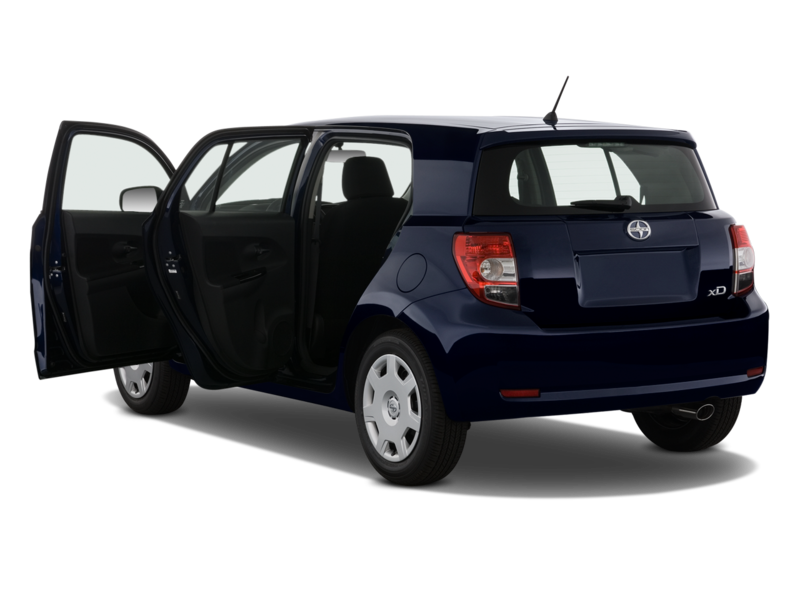 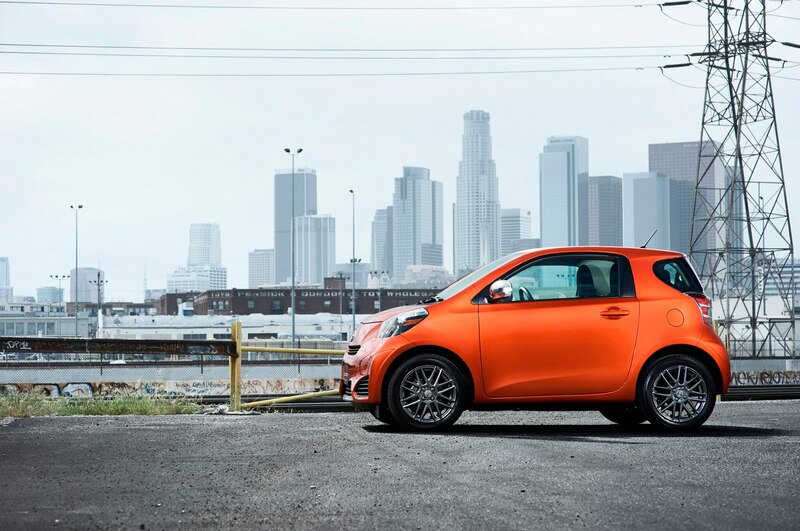 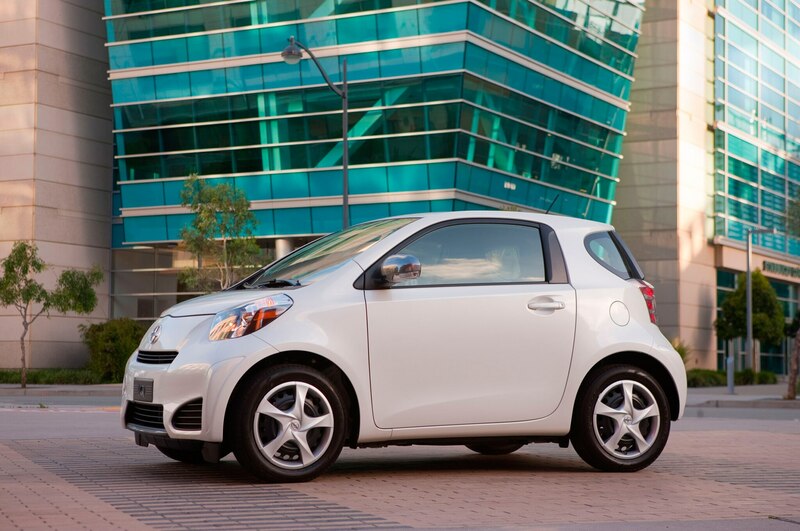 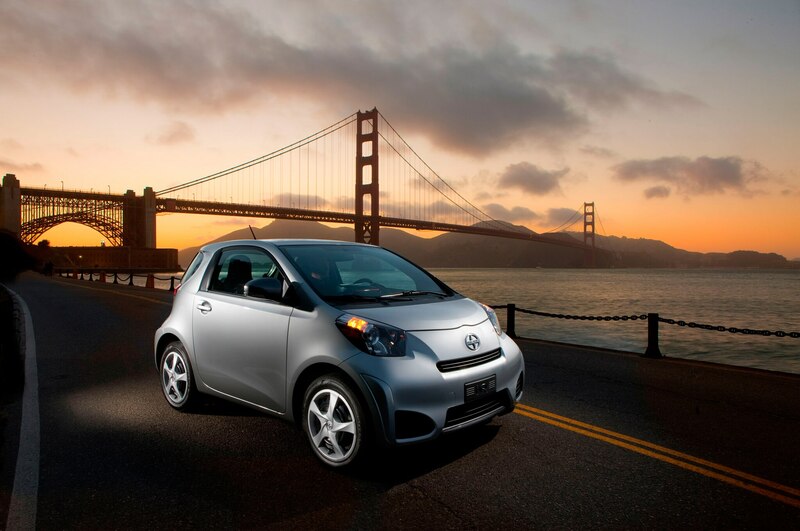 A few years after the Smart ForTwo first arrived in the U.S., Toyota brought over its own city car in the form of the Scion iQ. 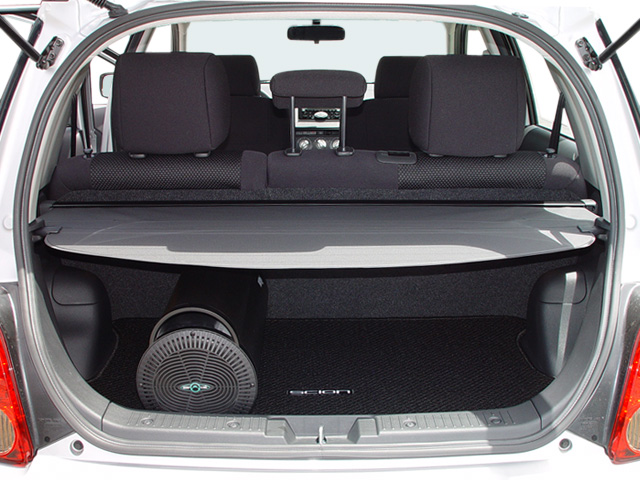 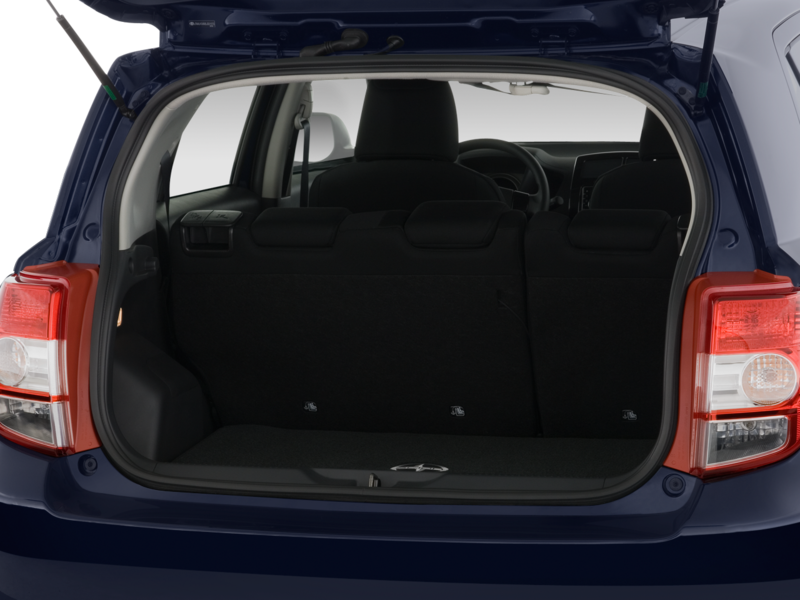 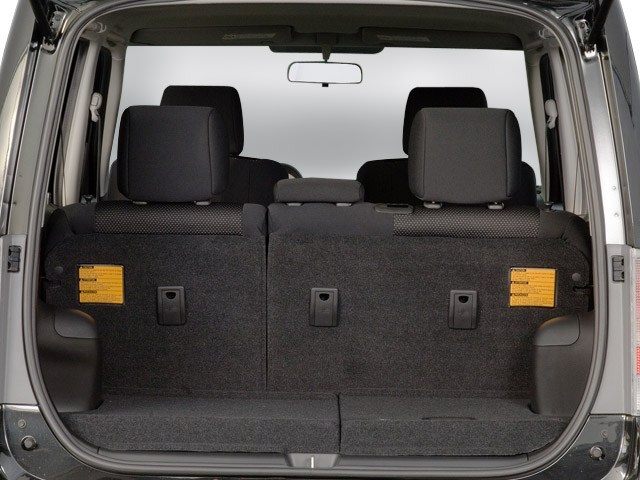 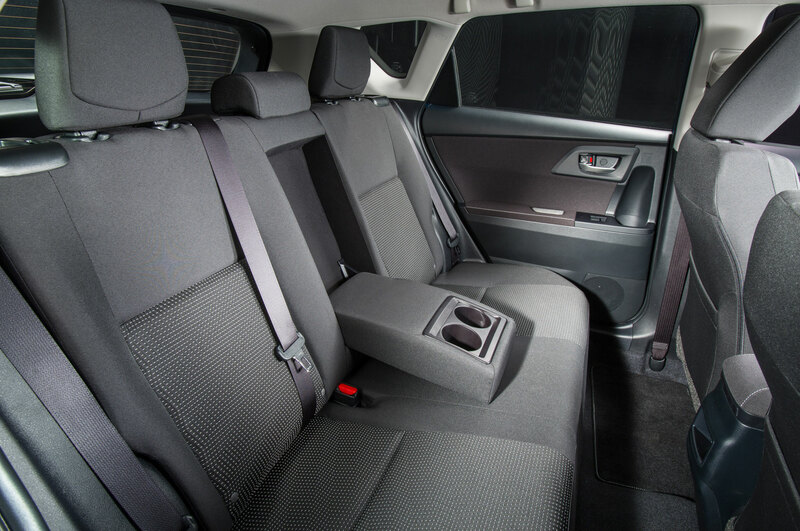 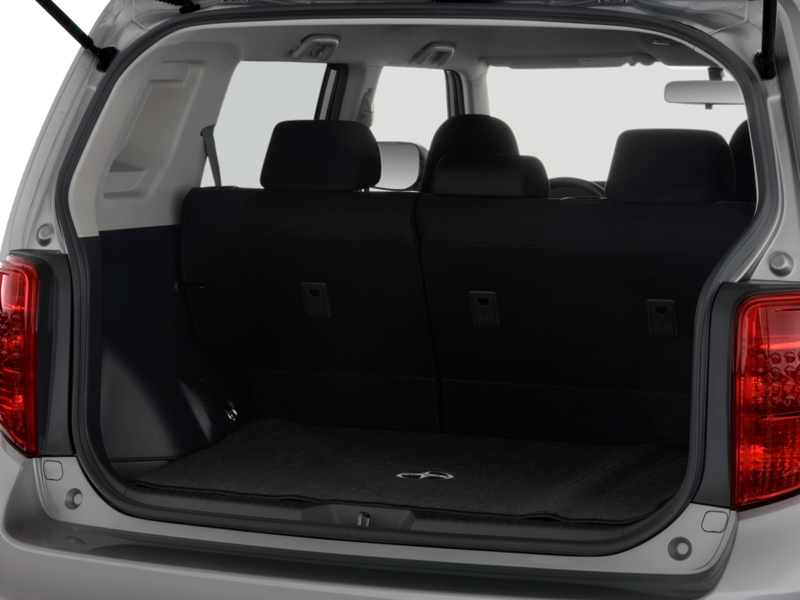 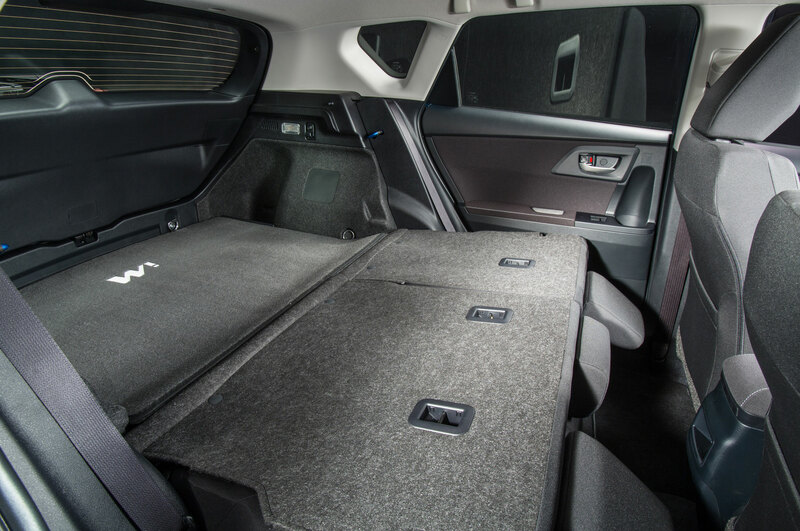 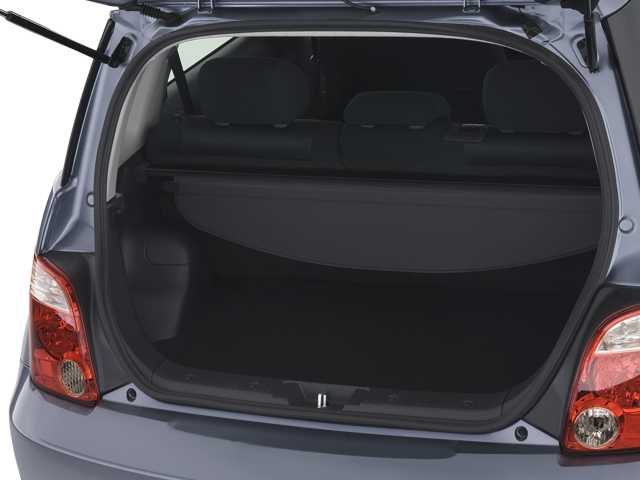 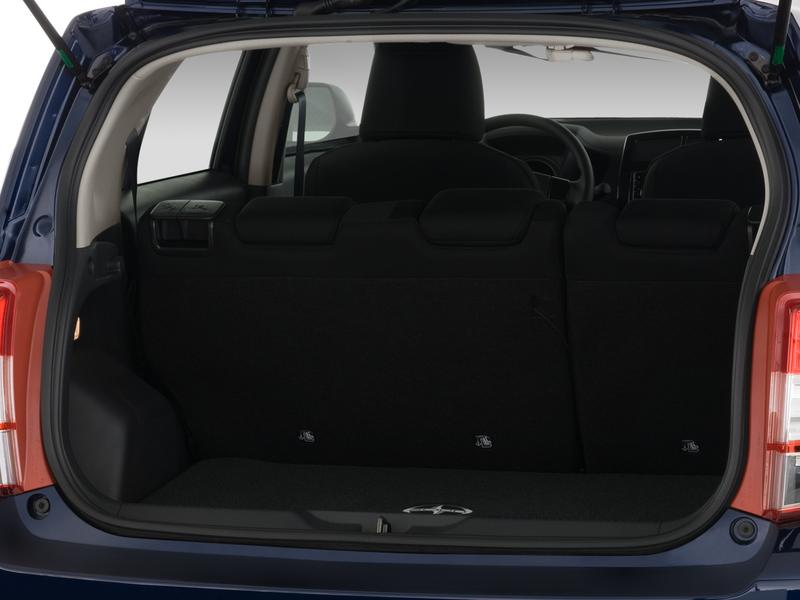 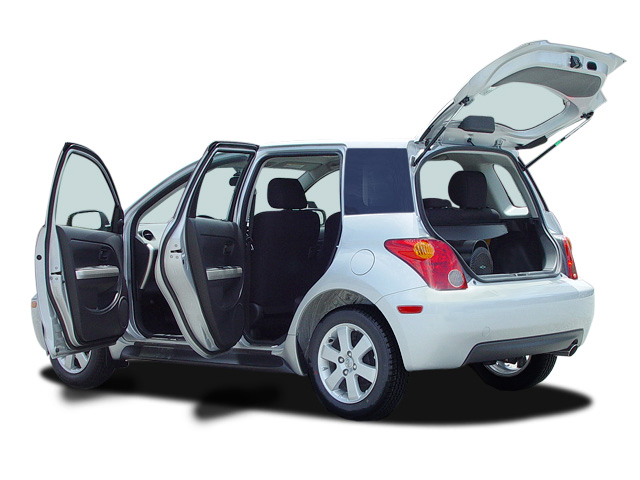 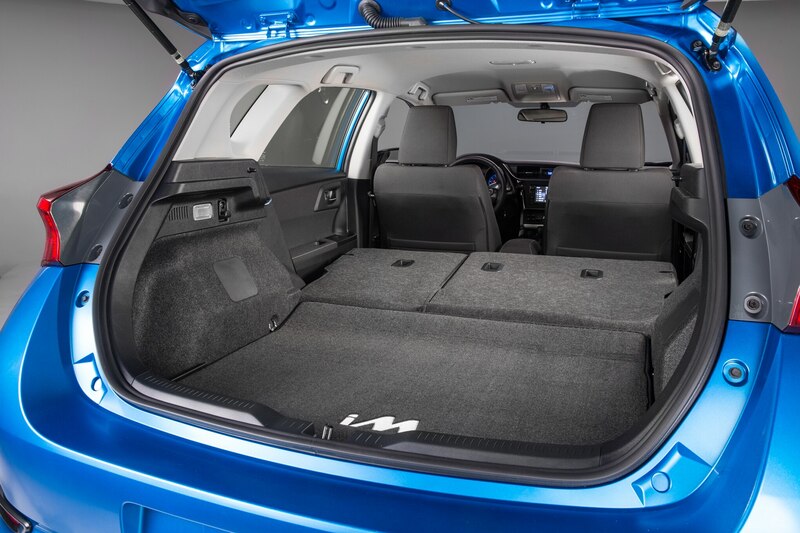 A marvel of packaging, the iQ was a full 20 inches shorter than a Fiat 500, and yet could fit four passengers in a pinch thanks to its staggered, 3+1 seating layout that placed the passenger’s seat a few inches forward of the driver’s seat to give those in the back more room. 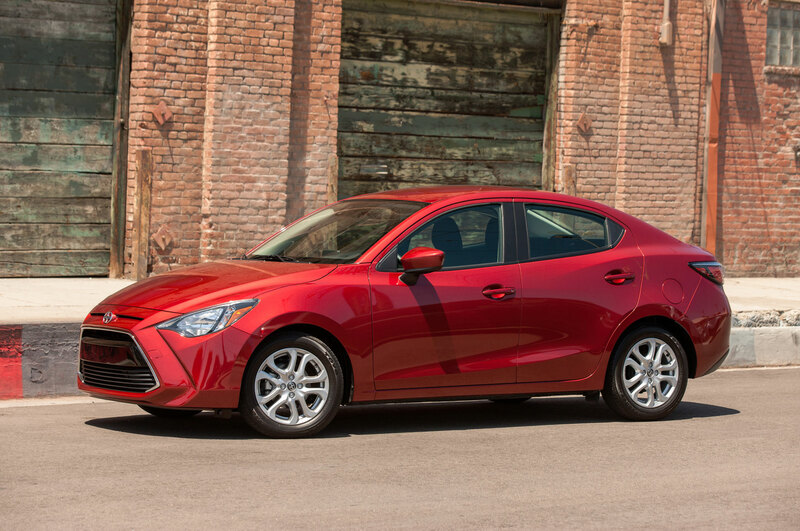 But it wasn’t much fun to drive with its tiny, 94-hp four-cylinder and standard CVT automatic, and it wasn’t quite cheap enough to persuade buyers away from more conventional subcompacts. 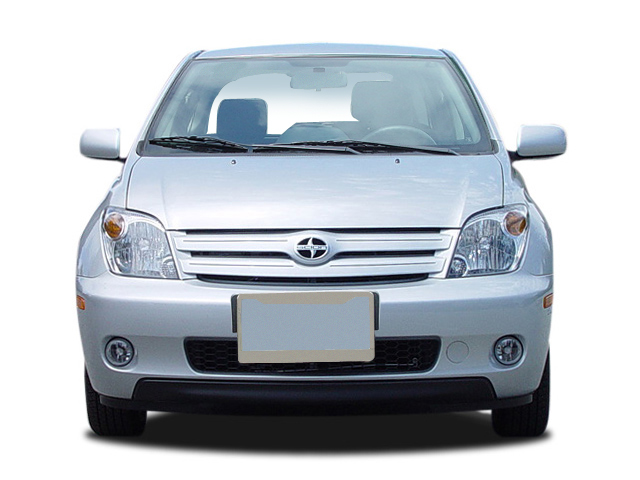 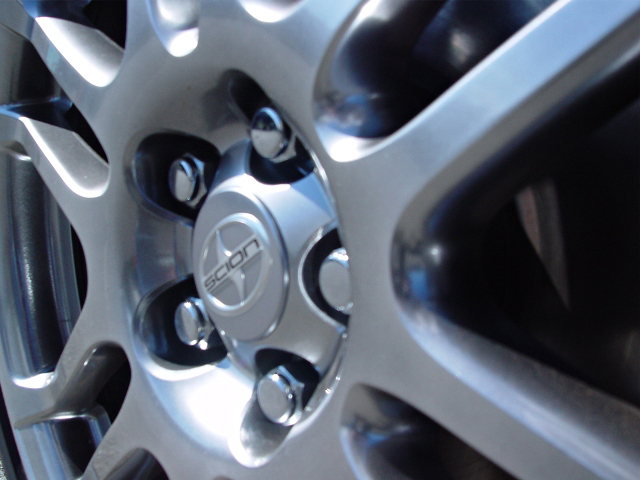 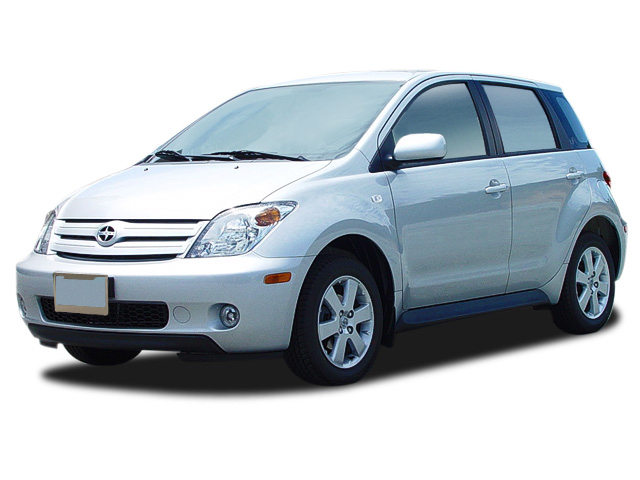 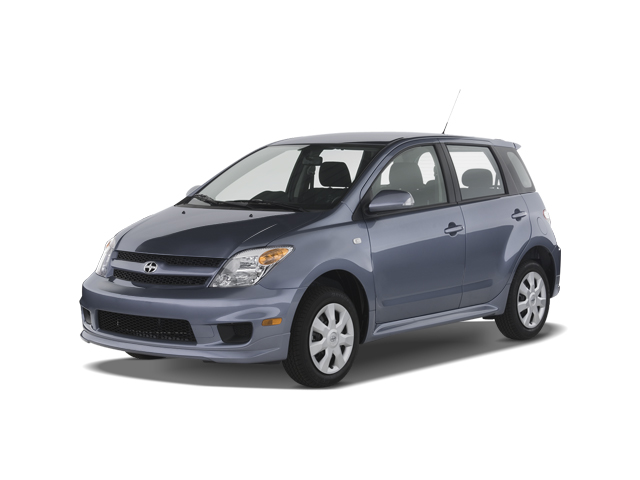 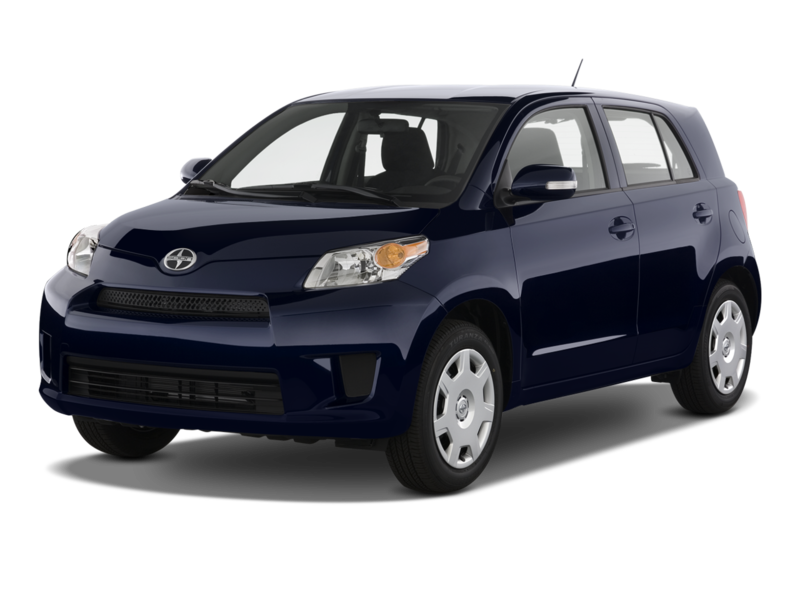 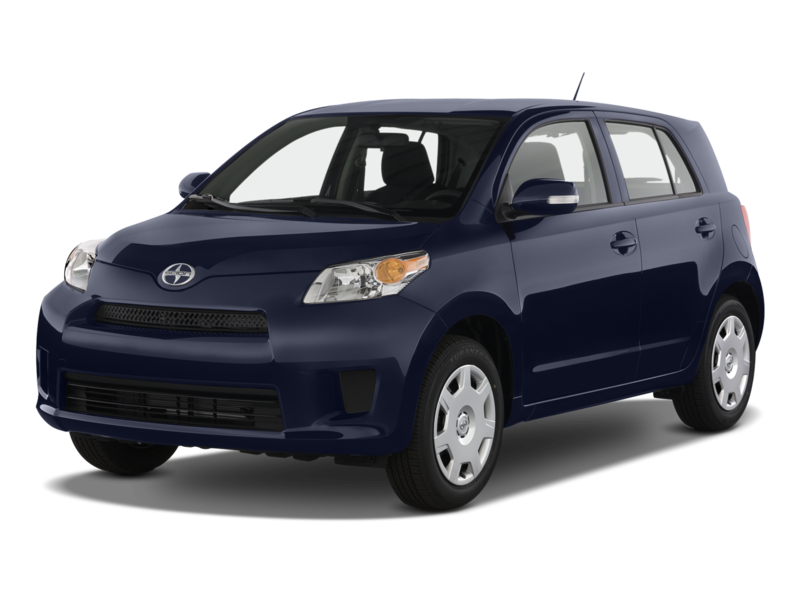 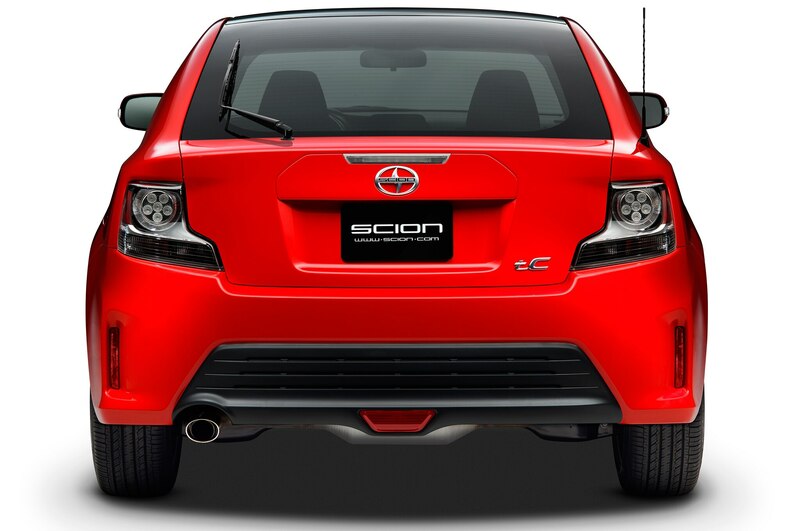 The car never caught on in the U.S. and was Scion’s worst-selling model by far, racking up just 8,879 sales in its best year, 2012, and just over 15,000 sales during its entire three-year run in the States. 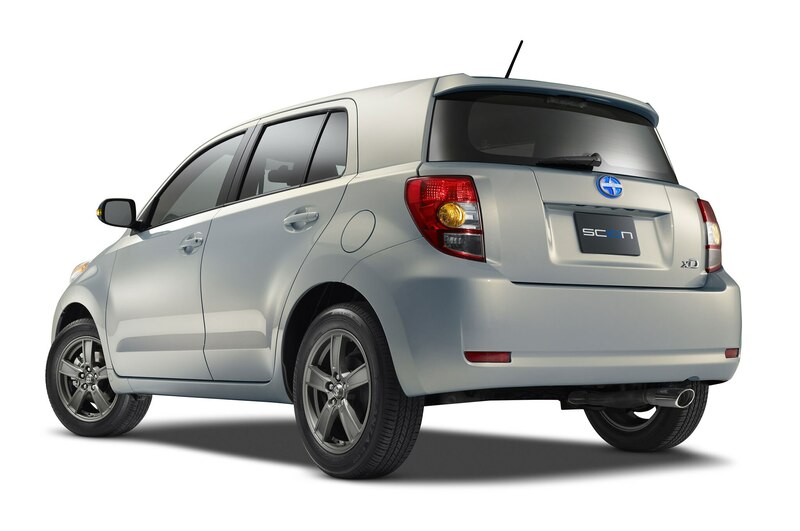 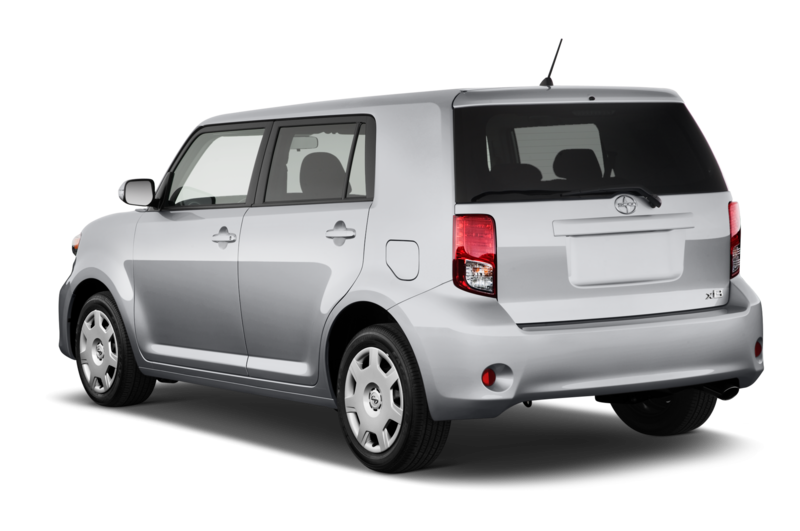 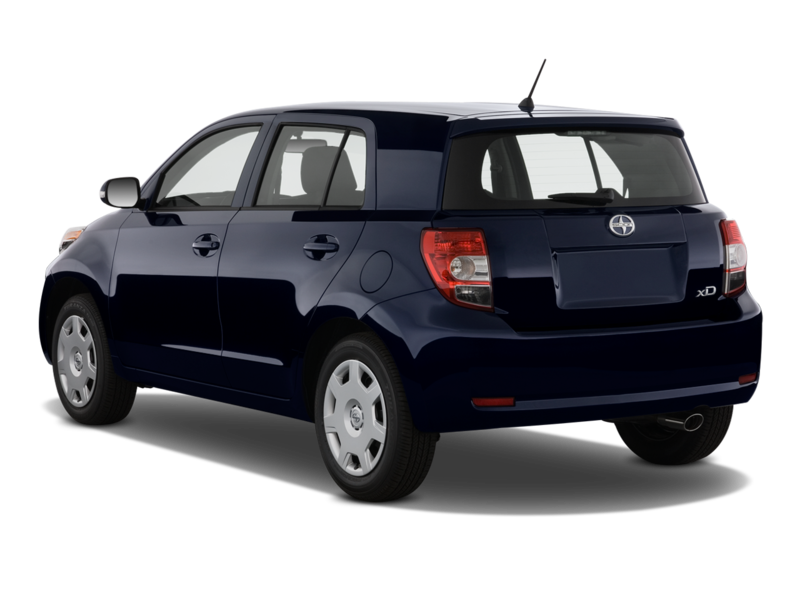 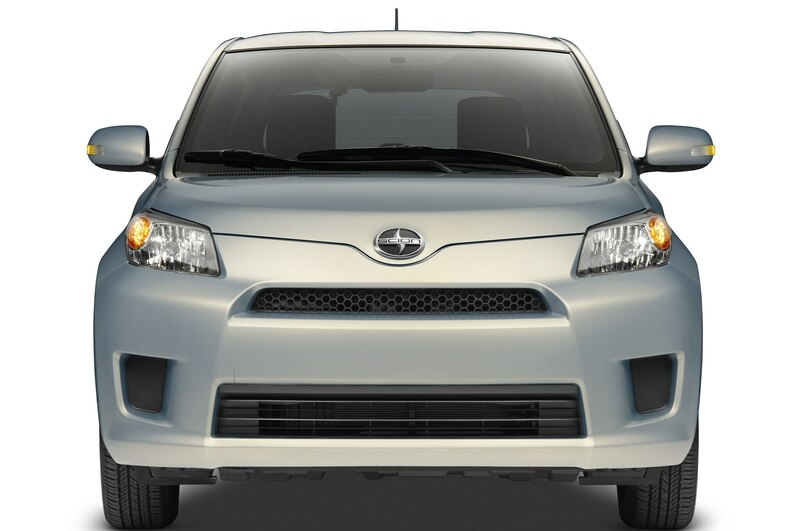 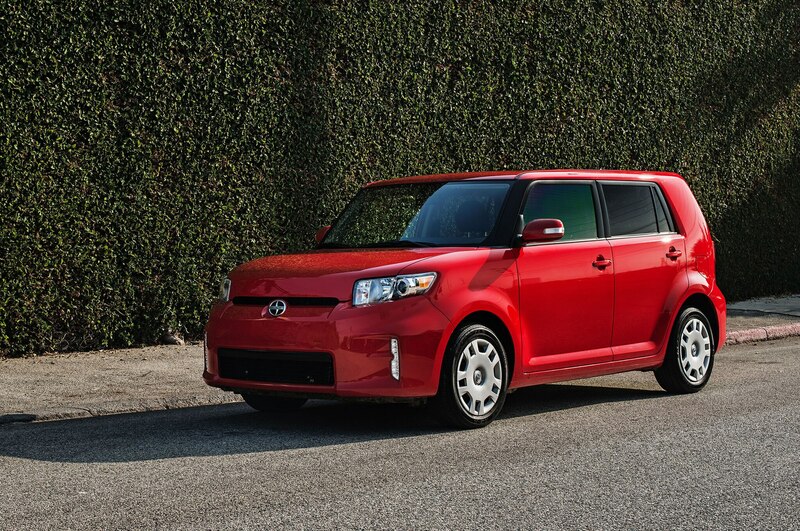 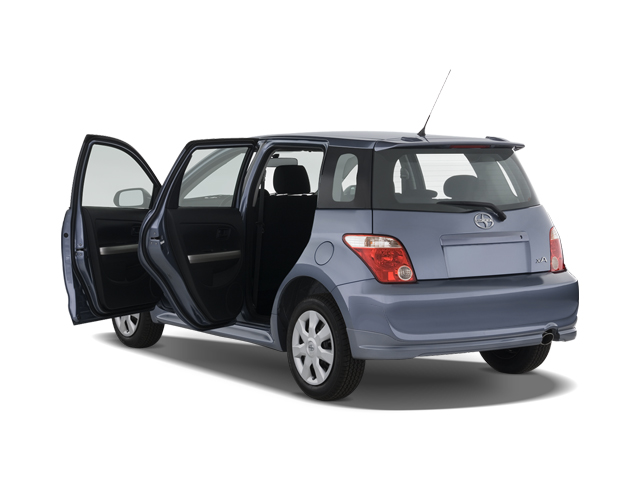 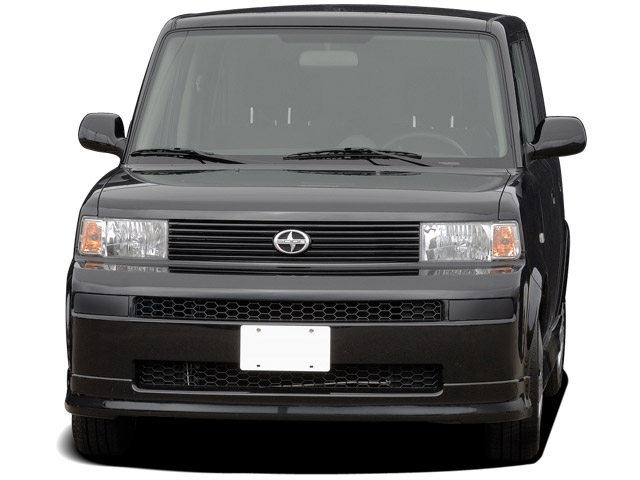 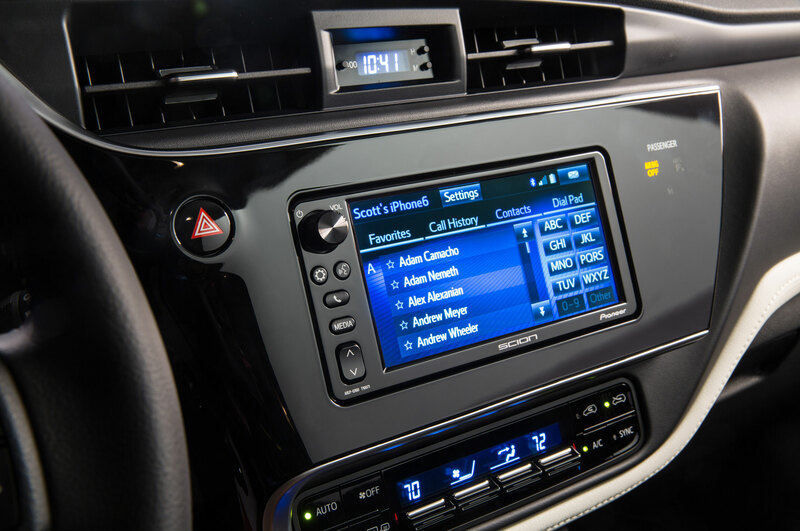 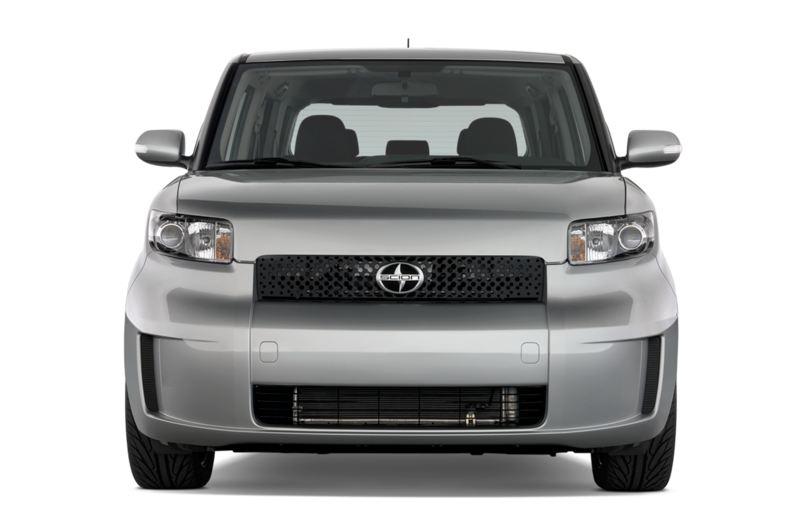 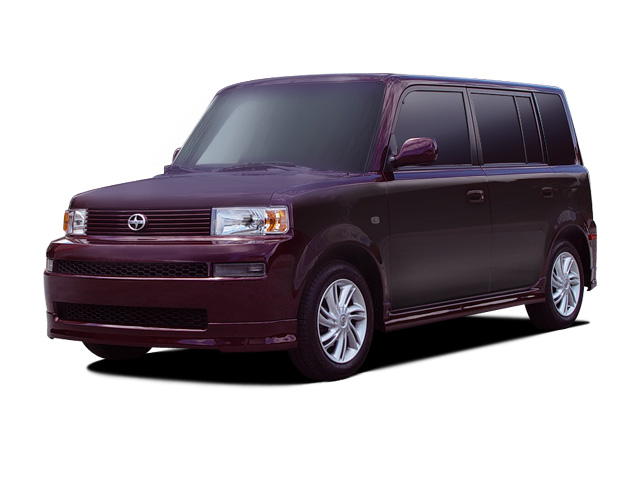 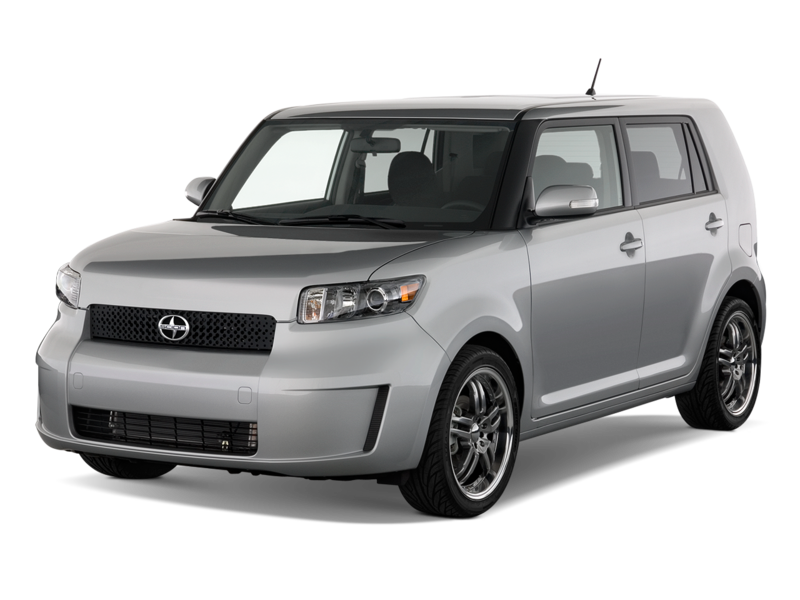 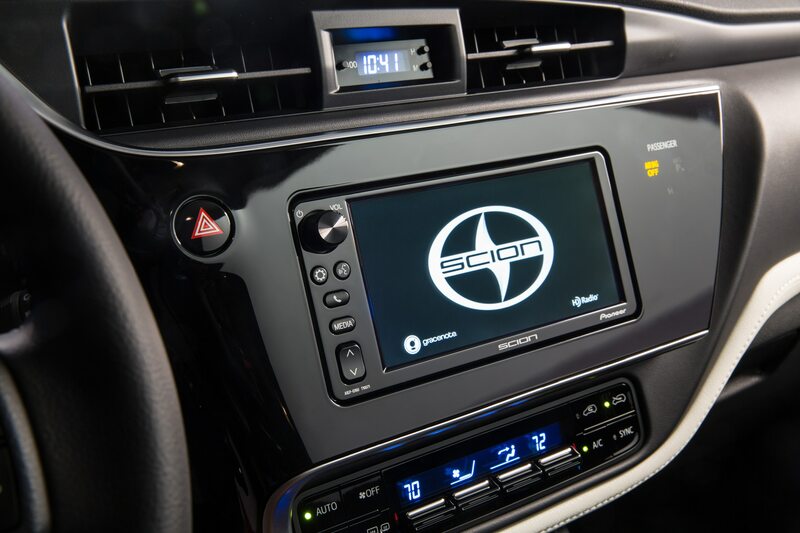 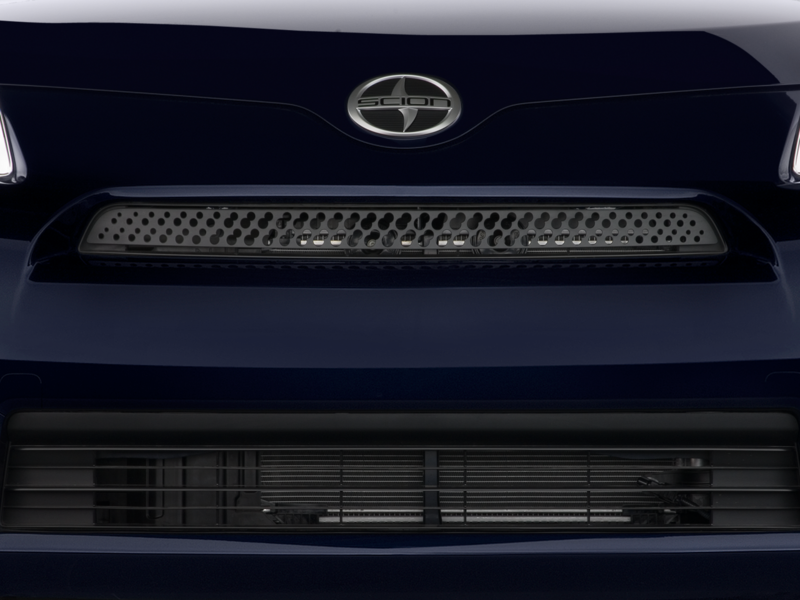 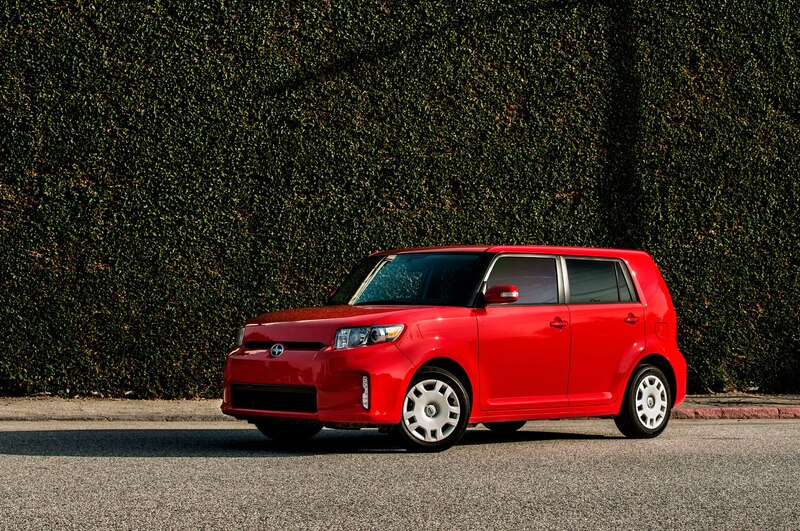 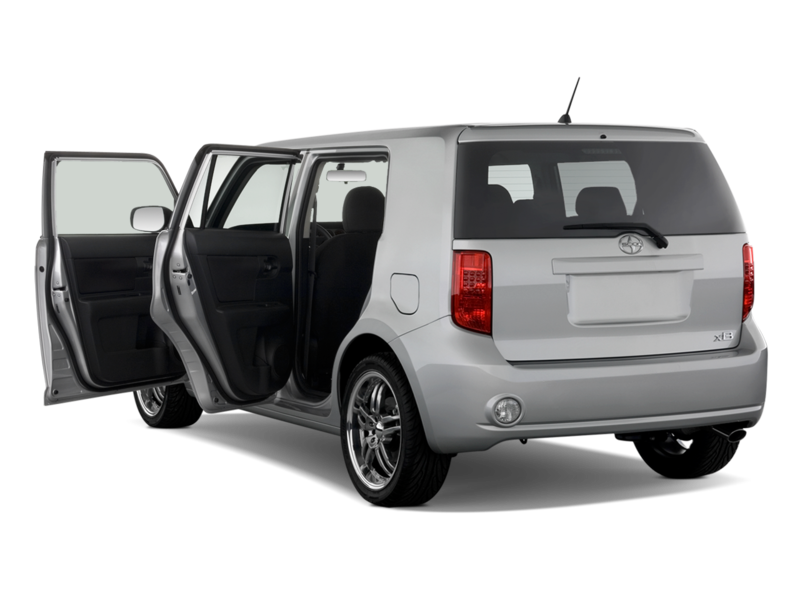 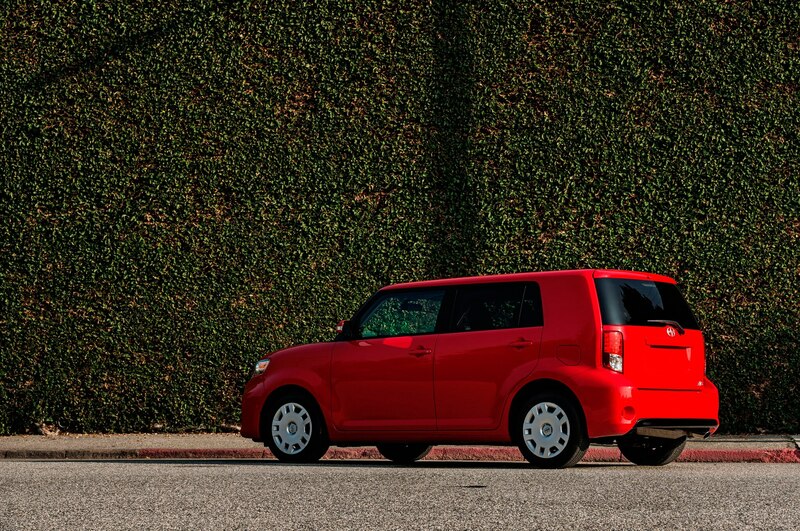 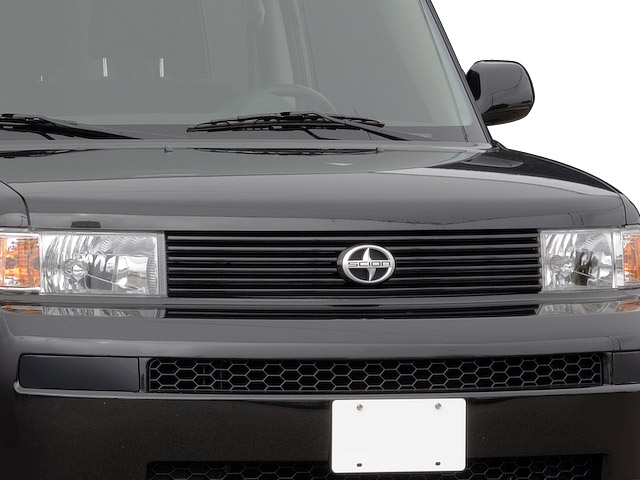 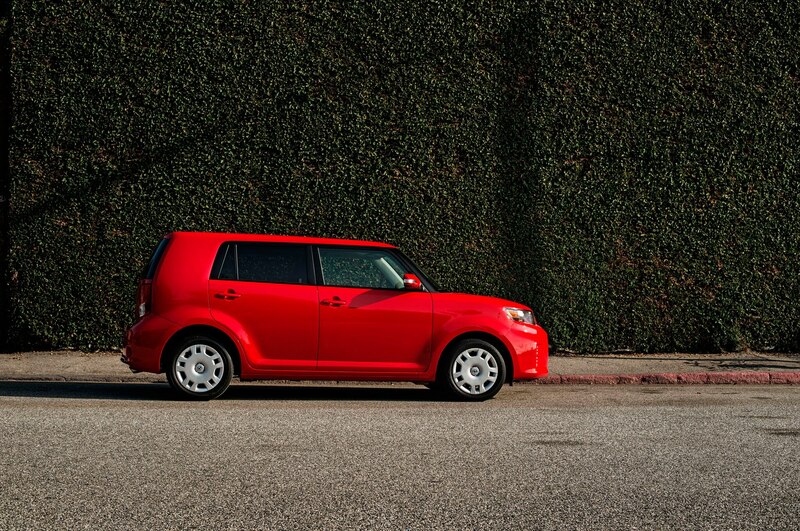 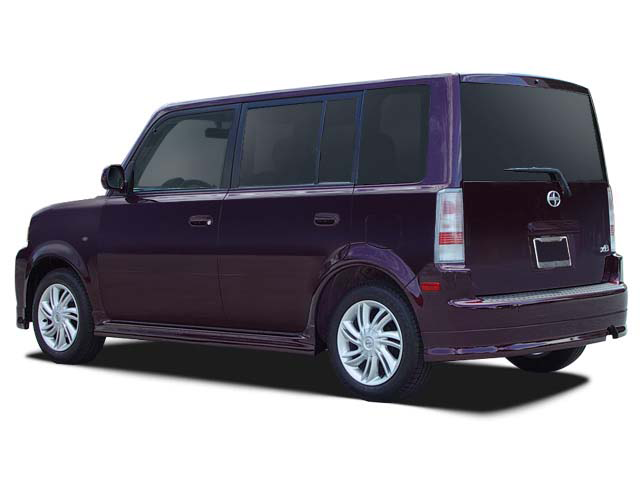 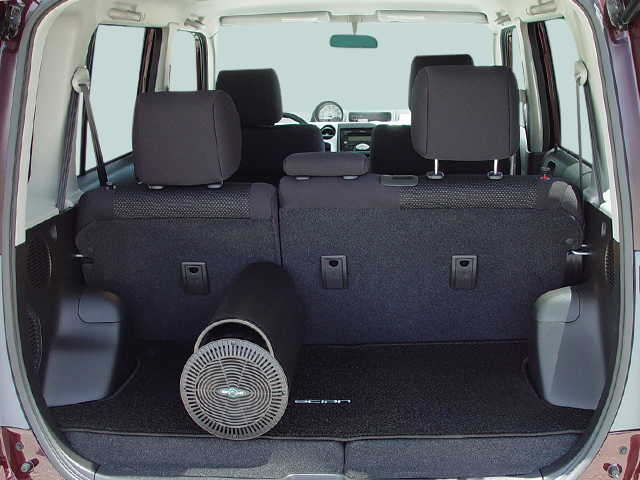 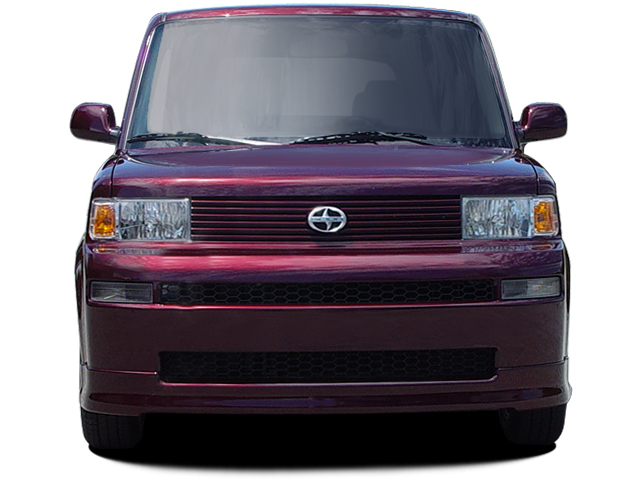 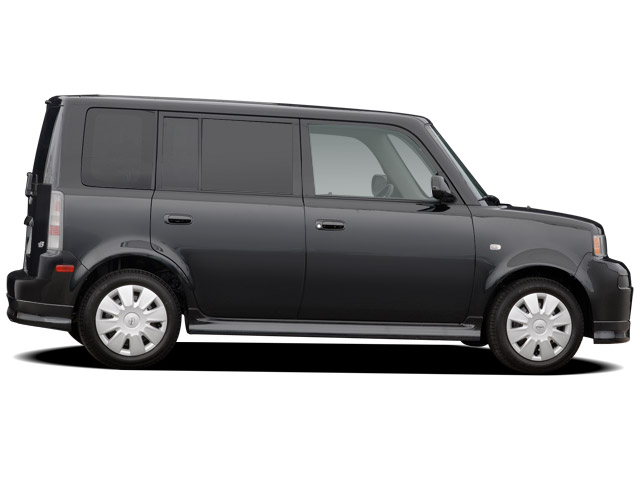 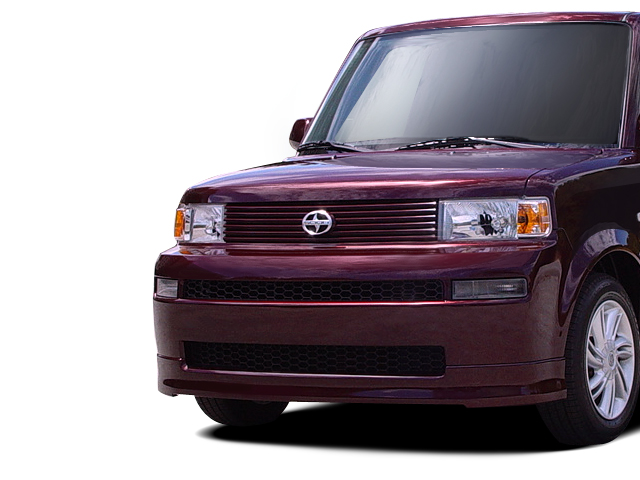 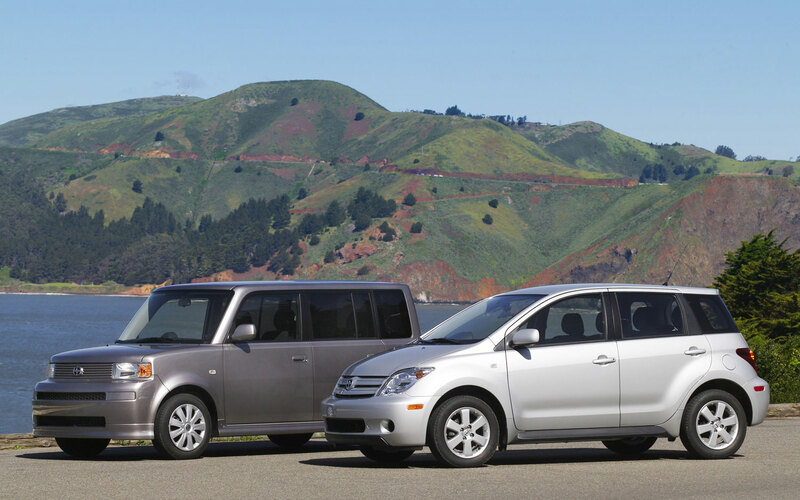 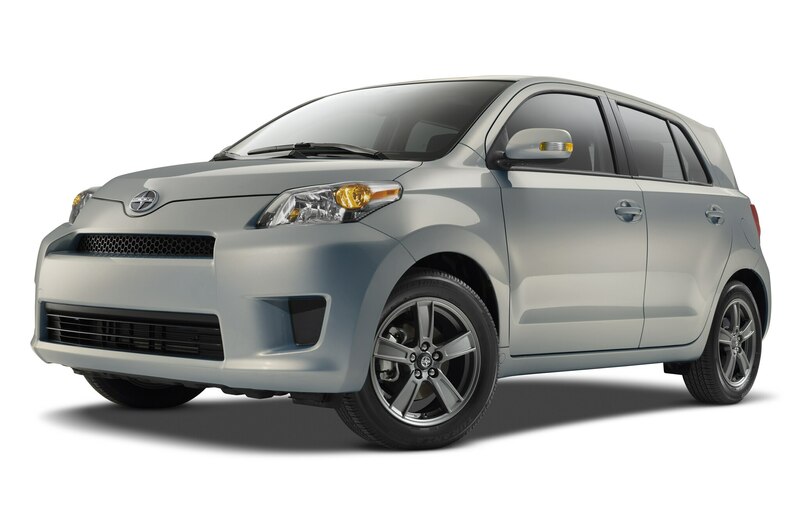 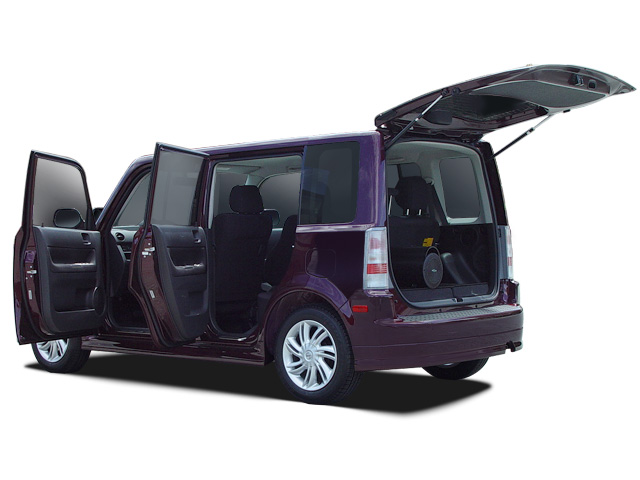 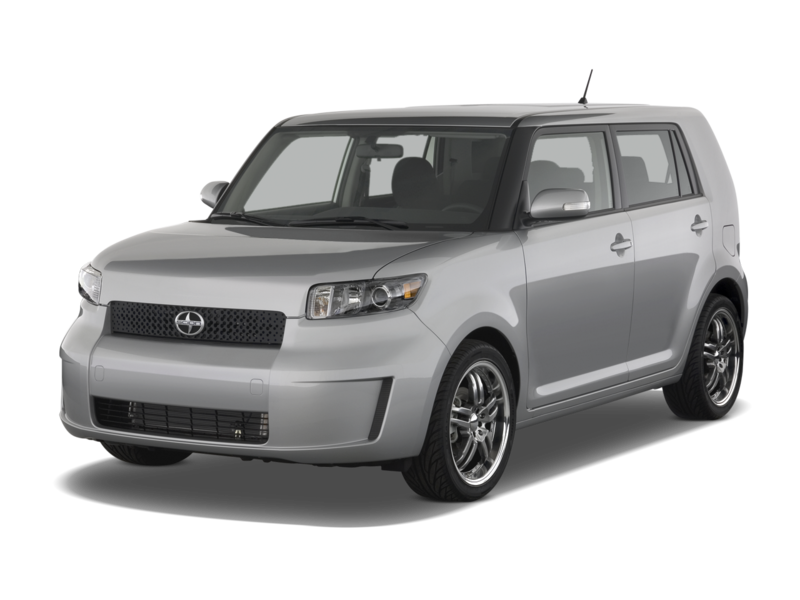 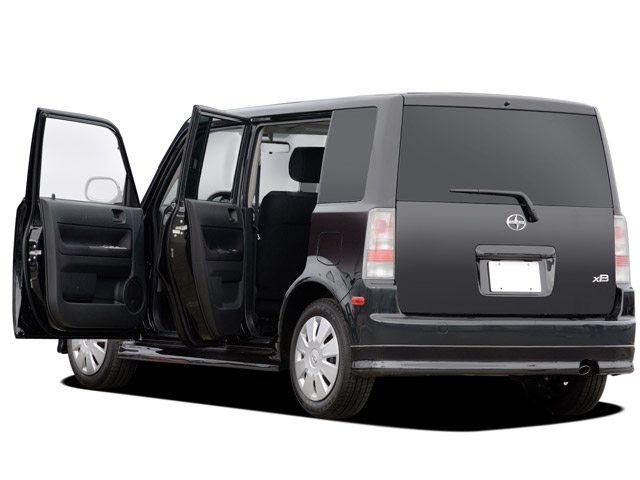 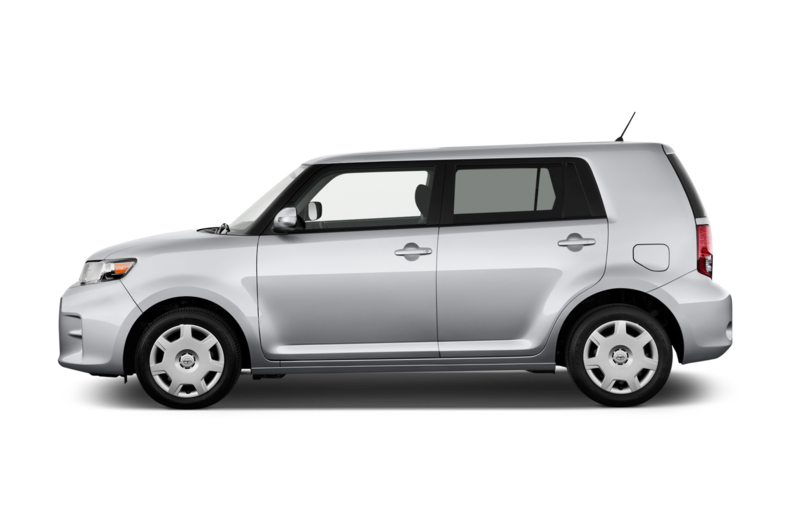 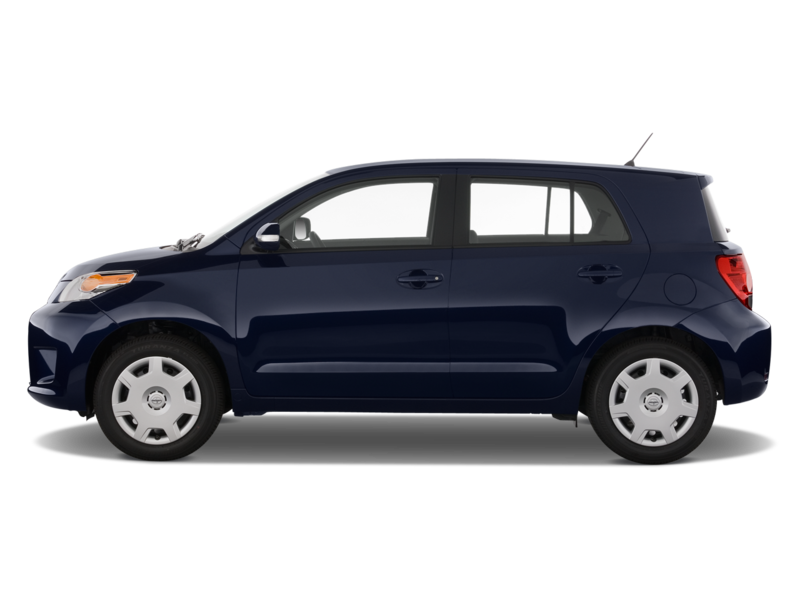 It was tough to follow up on the unprecedented success of the first Scion xB, and the second-generation box made a few crucial missteps that eventually led to its demise. 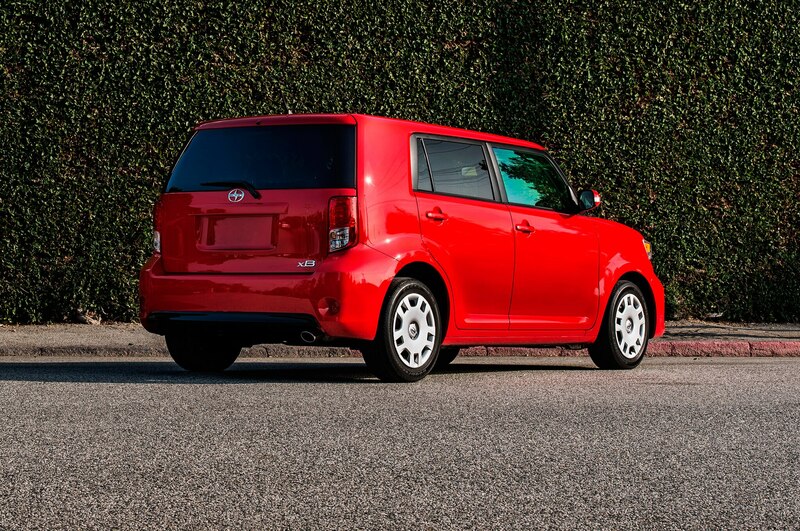 First off, it was significantly bigger, making it less nimble and less fuel efficient. 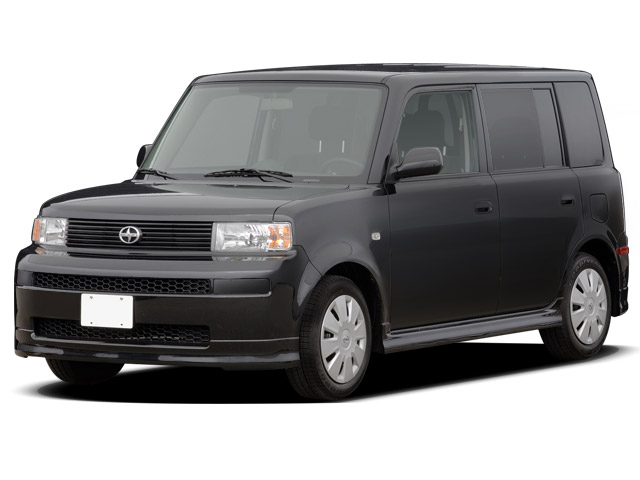 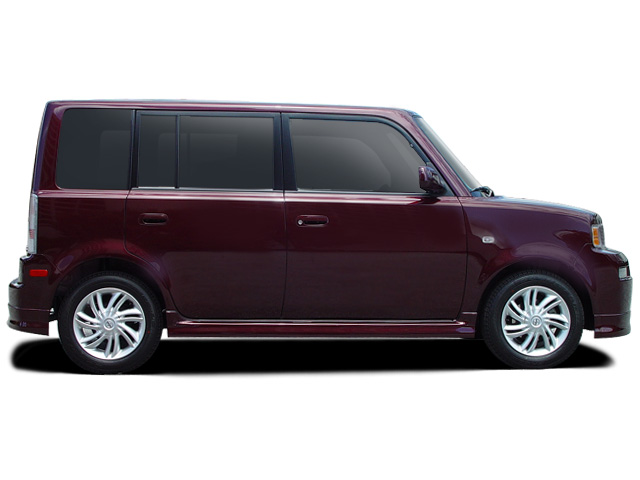 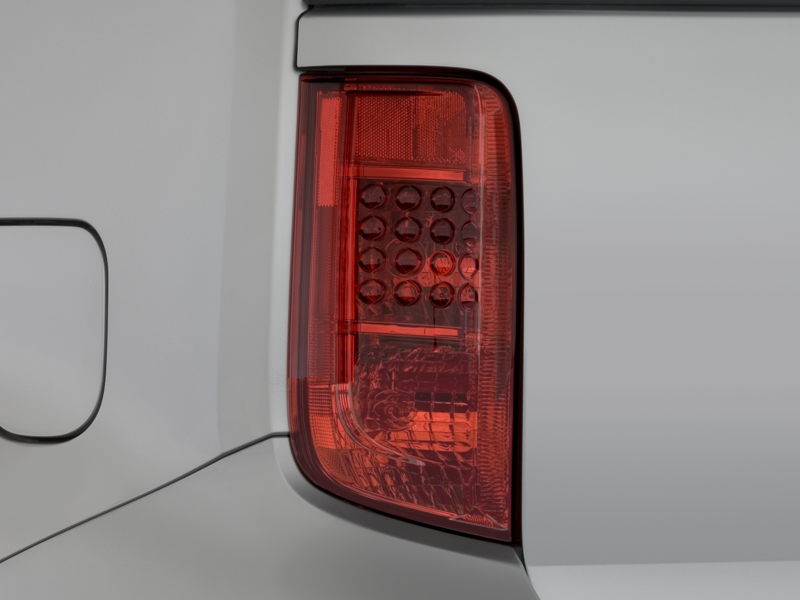 It also abandoned the unabashedly straight-edged styling of the first xB in favor of a more rounded shape that was maybe trying a bit too hard to be cool. 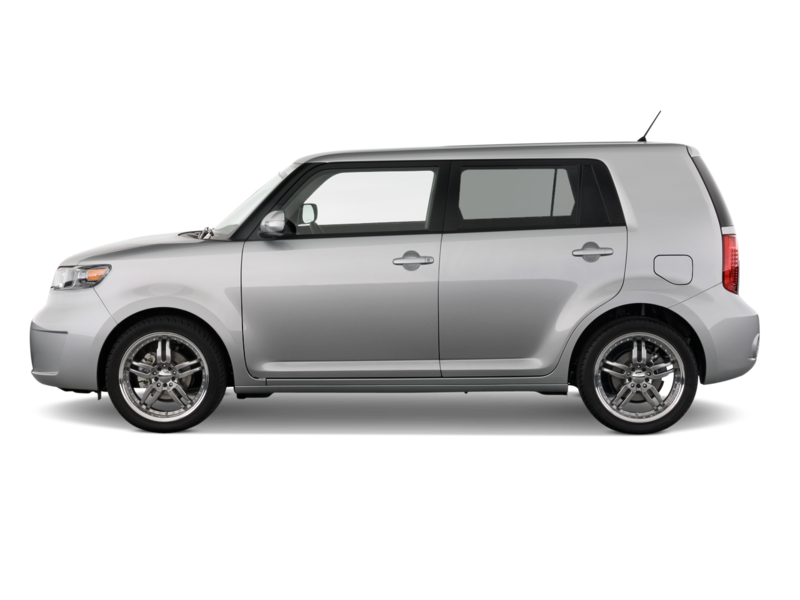 The second-gen xB sold well in its first few years, but the market quickly lost interest and sales plummeted to a low of 15,223 cars in 2015, when it was killed off and replaced by the iM hatchback. 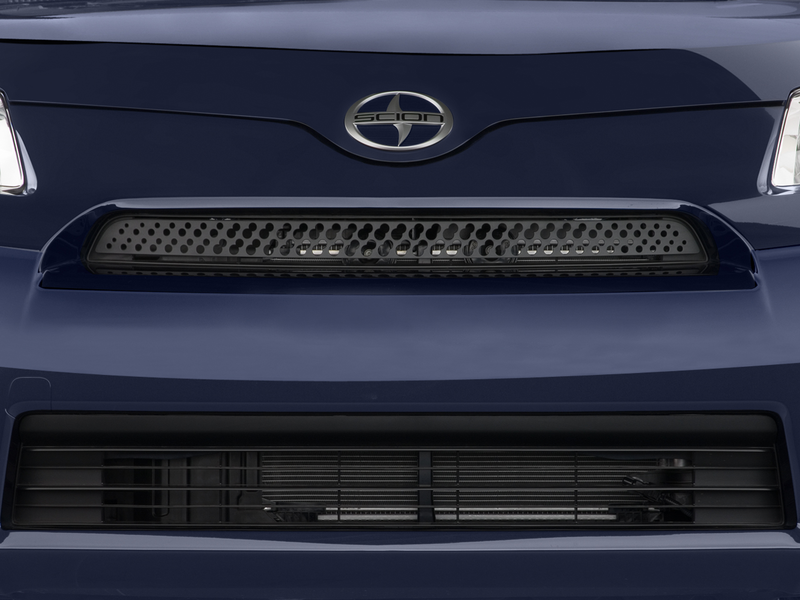 When the Toyobaru twins were confirmed for production, the general enthusiast base went wild. 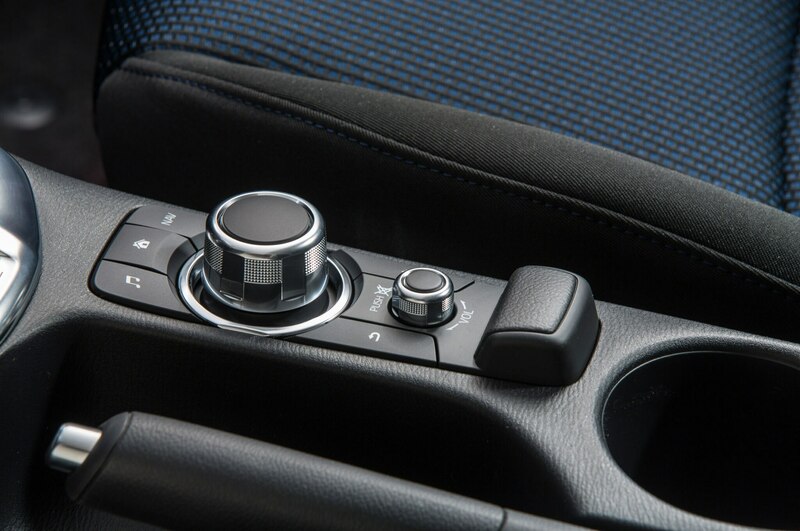 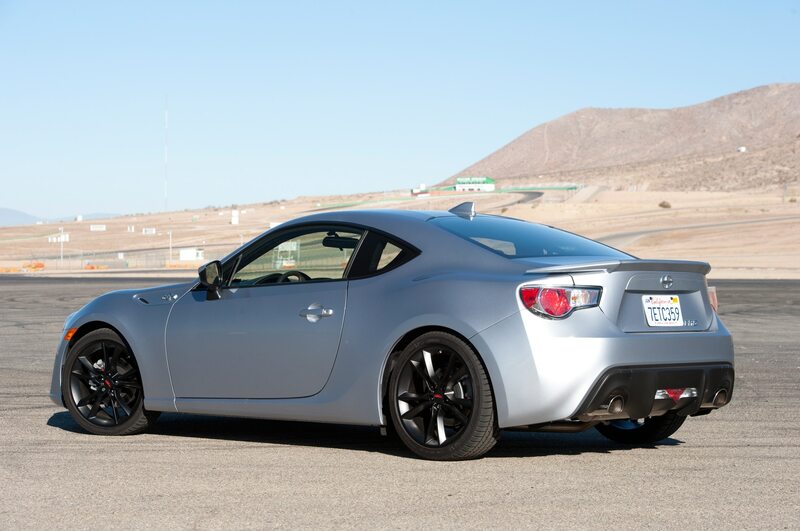 It’s not difficult to see why, as the spec sheets for the Toyota-Subaru sports car read like a gearhead’s dream. 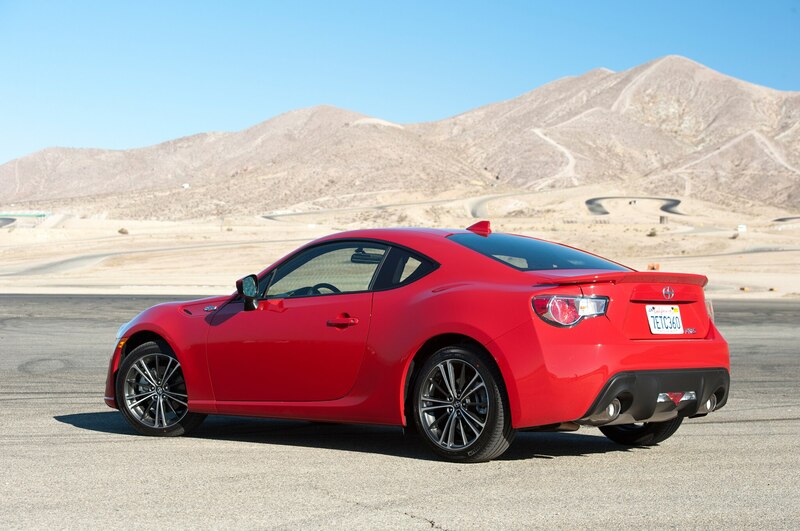 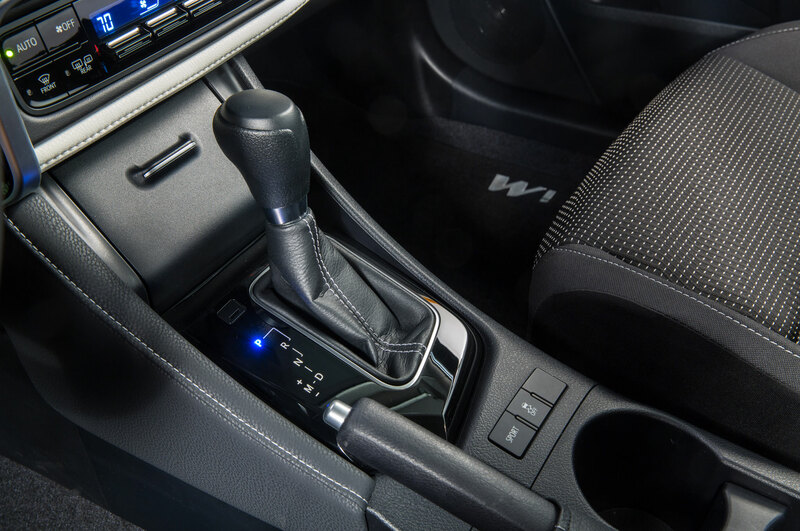 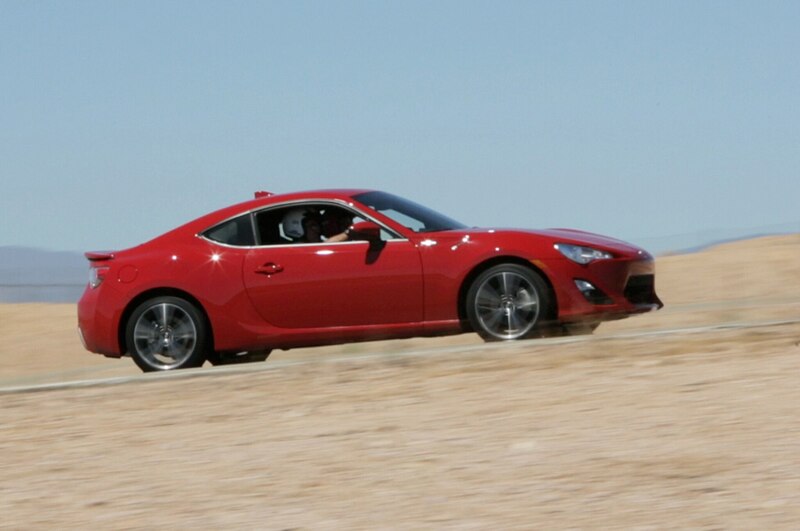 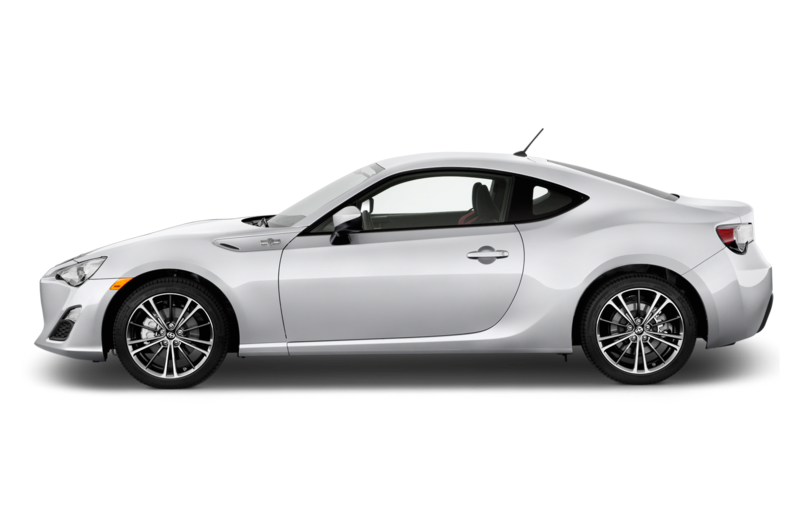 A front-engine, rear-wheel drive, manual transmission, lightweight sports coupe with a price tag that wouldn’t drain your bank account meant the Scion FR-S and Subaru BRZ garnered a whole heap of pre-release hype. 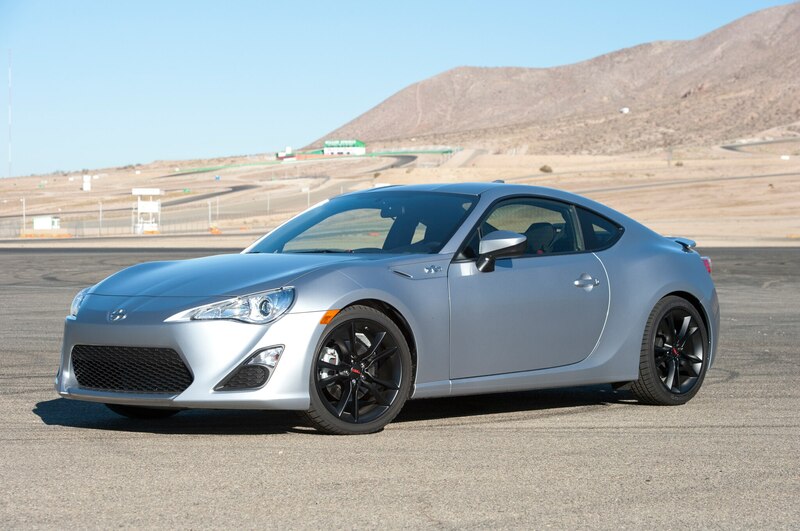 Following strong first-year sales, the cars’ sales have slowed a bit in recent years, but thankfully, the FR-S soldiers on despite the demise of Scion. 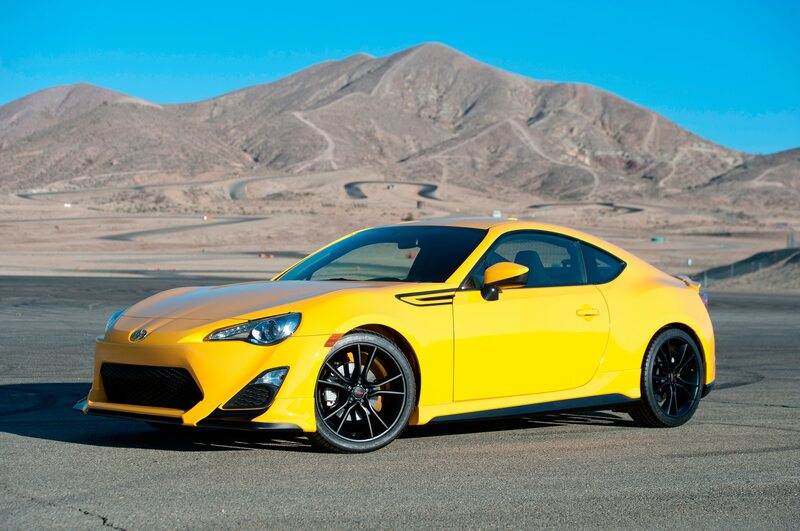 If you have to pick Scion’s biggest showroom hurdles, it had to be the relatively outlandish and striking appearance of many of the brand’s models. 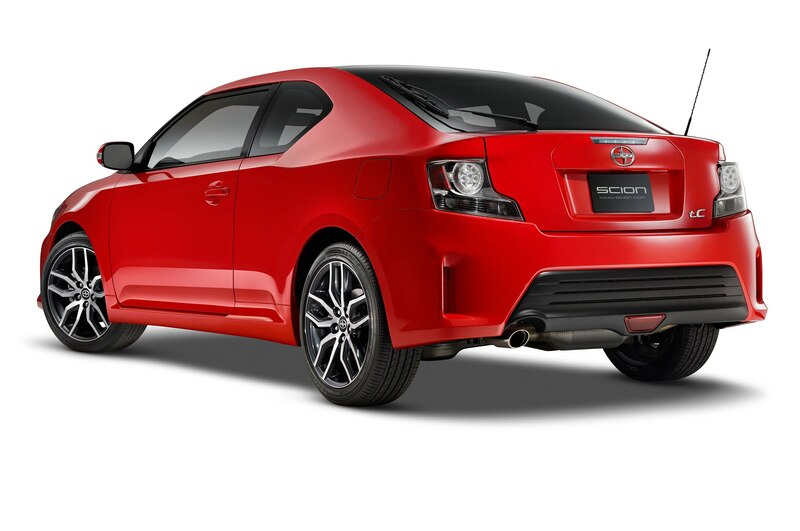 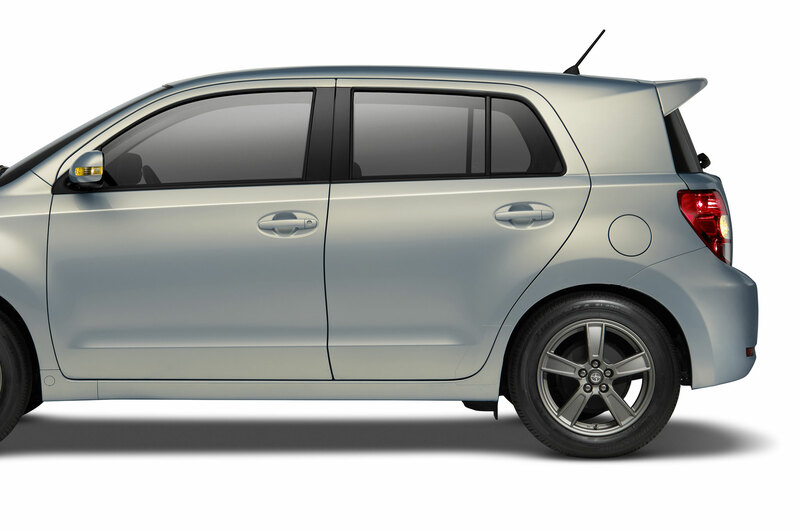 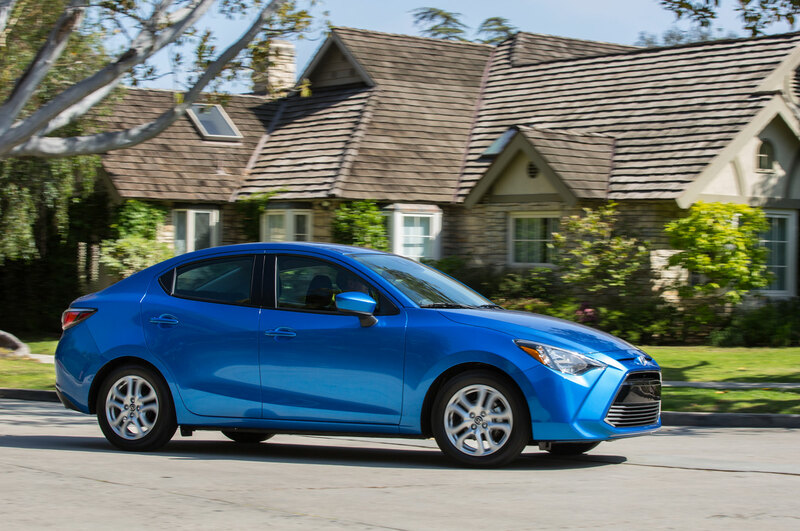 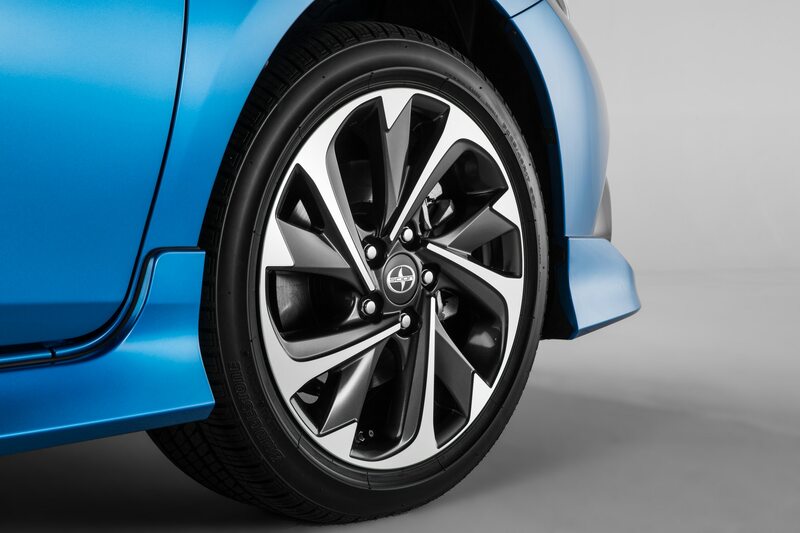 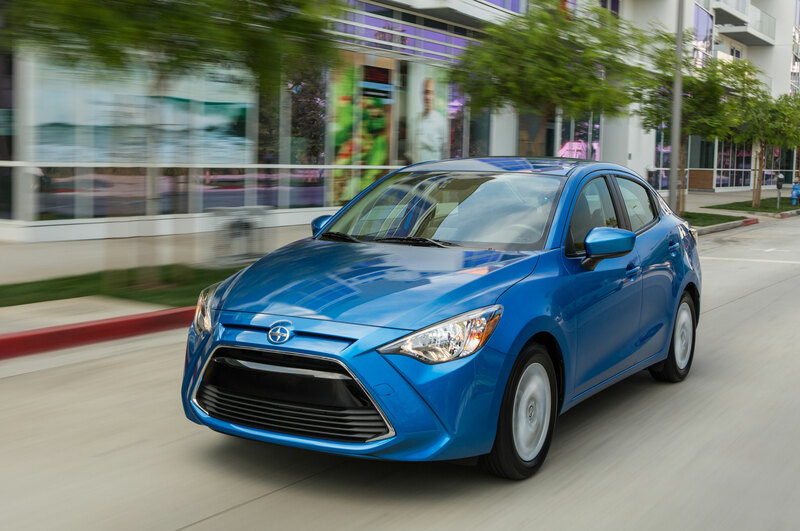 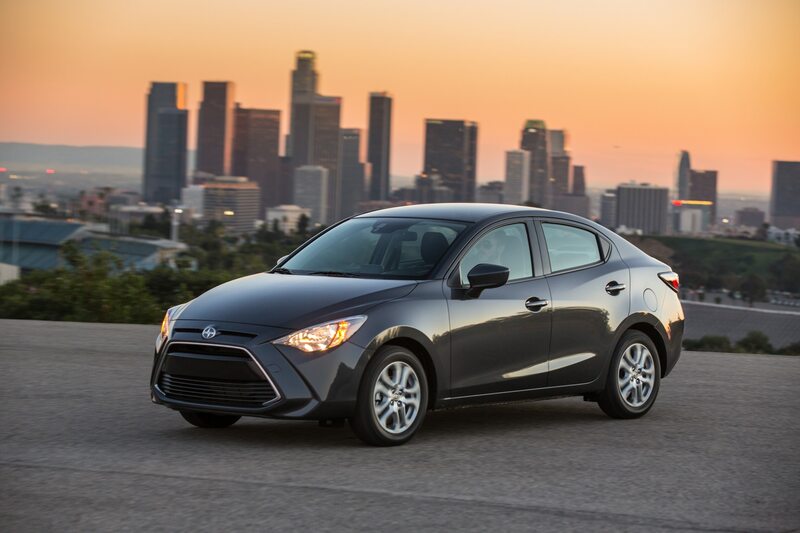 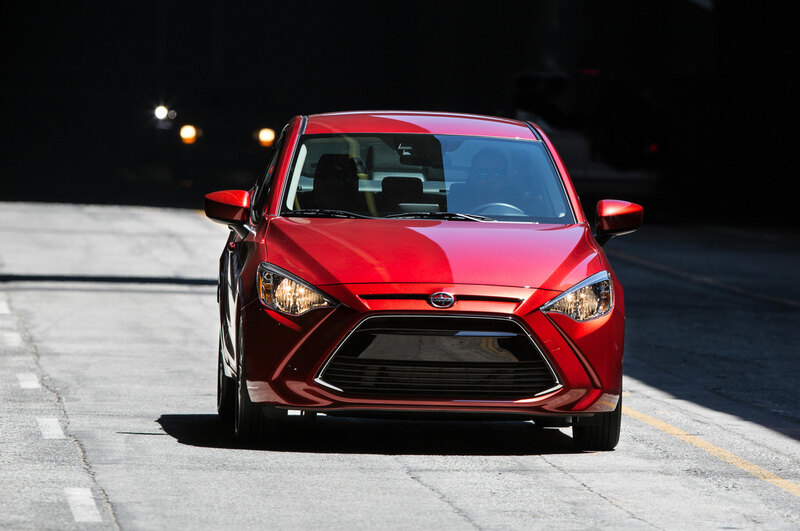 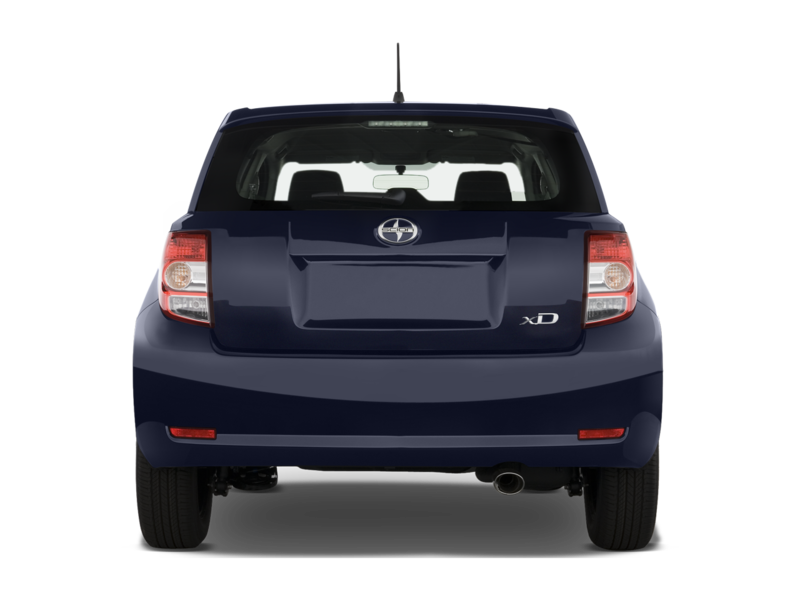 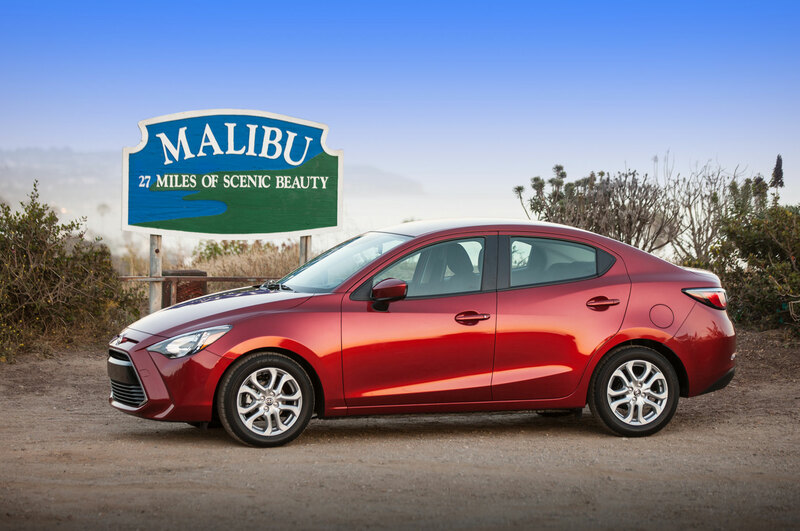 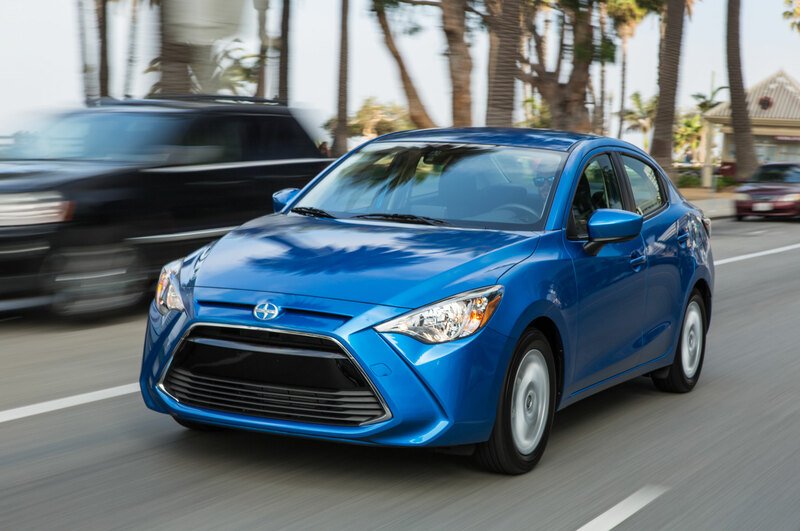 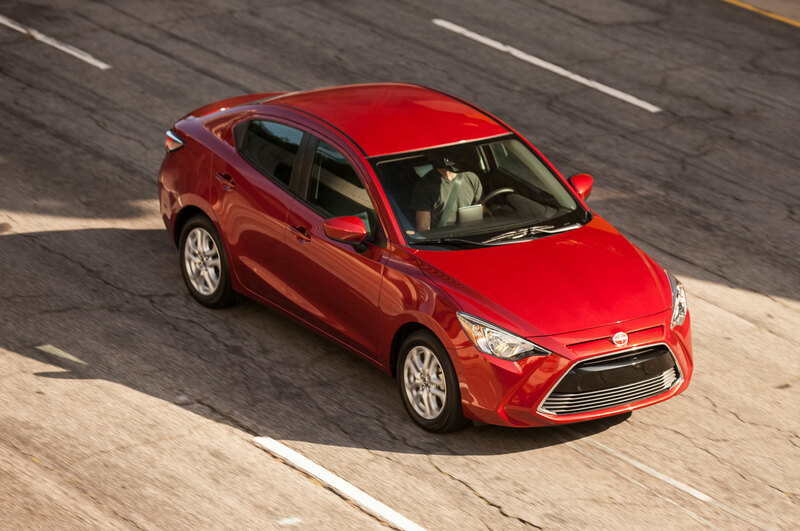 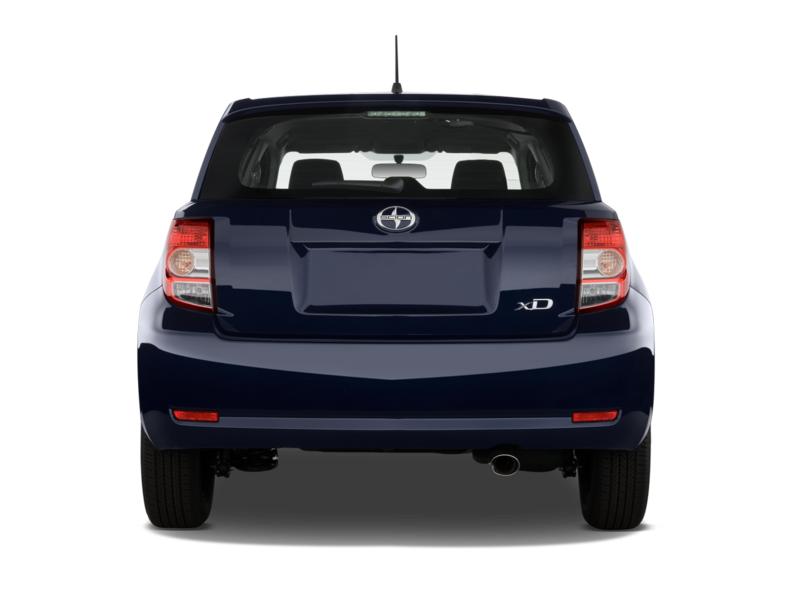 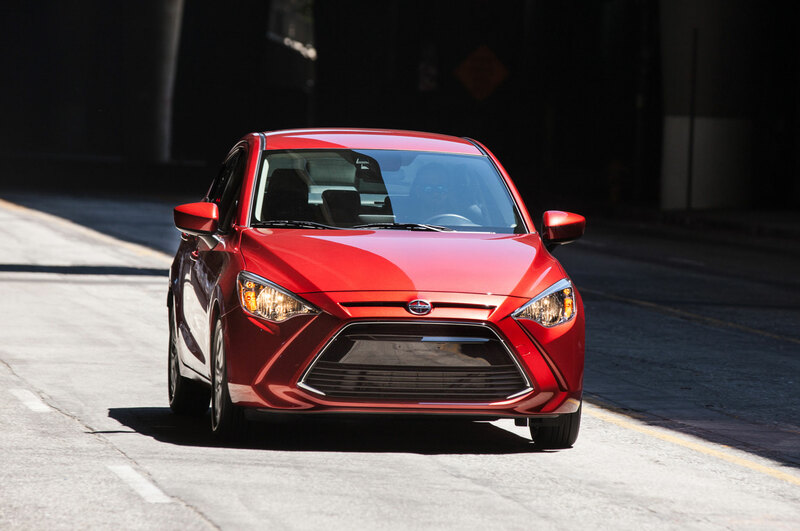 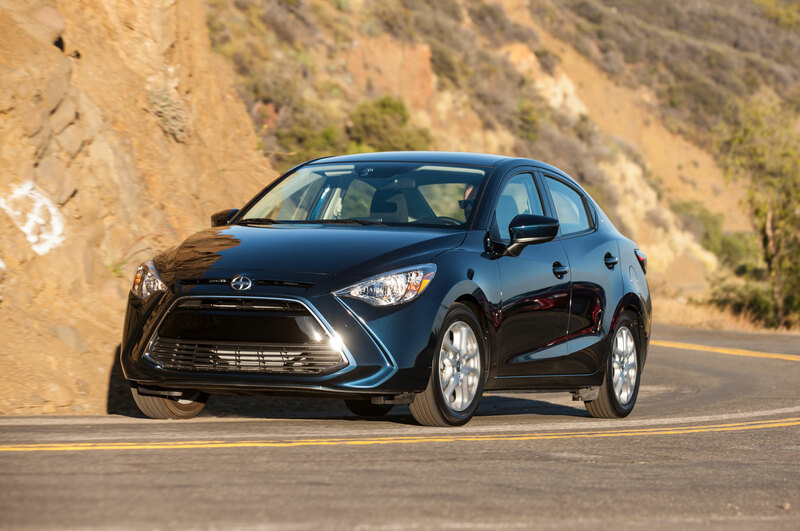 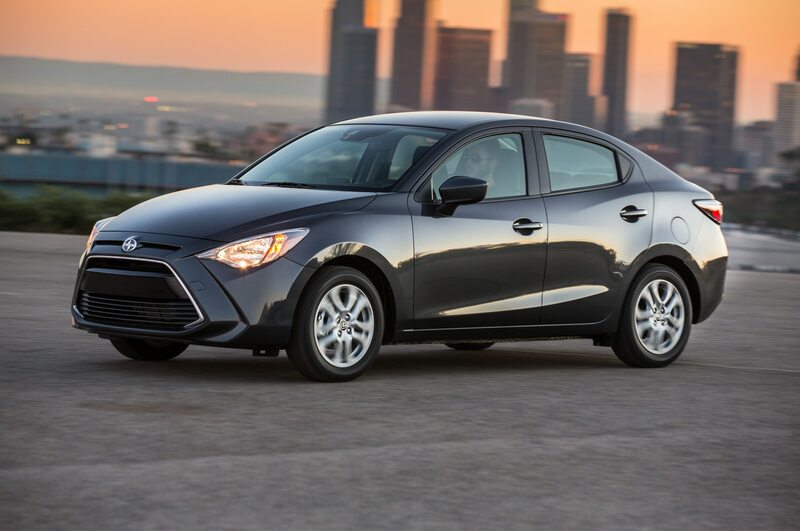 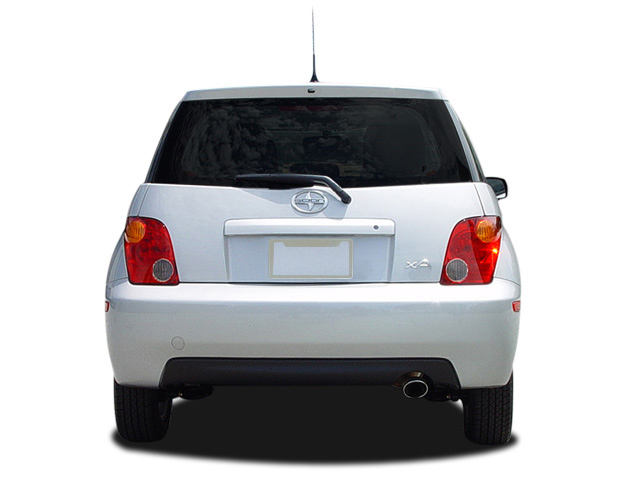 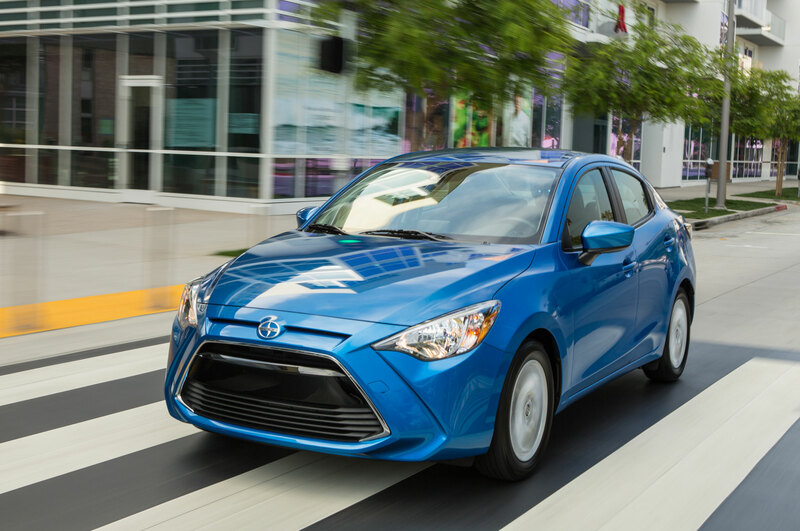 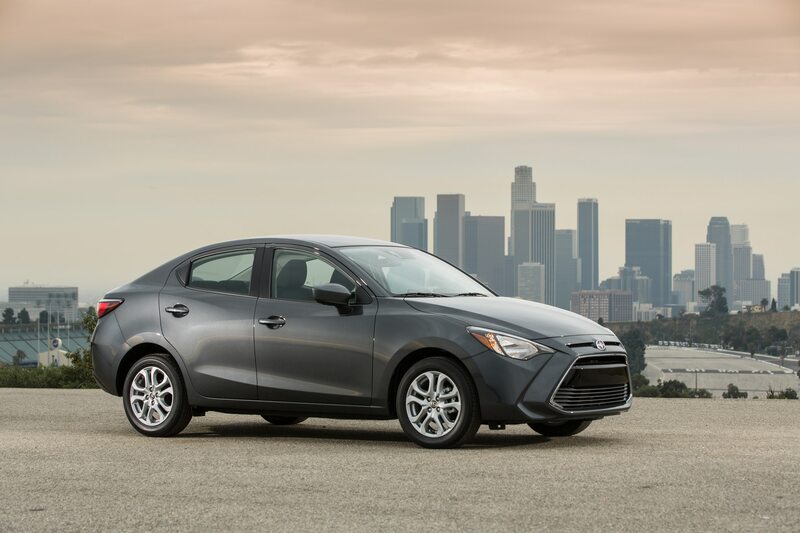 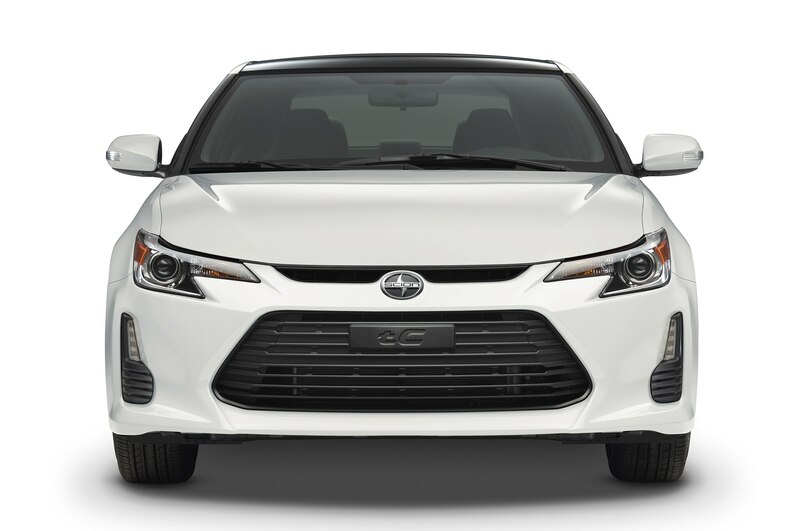 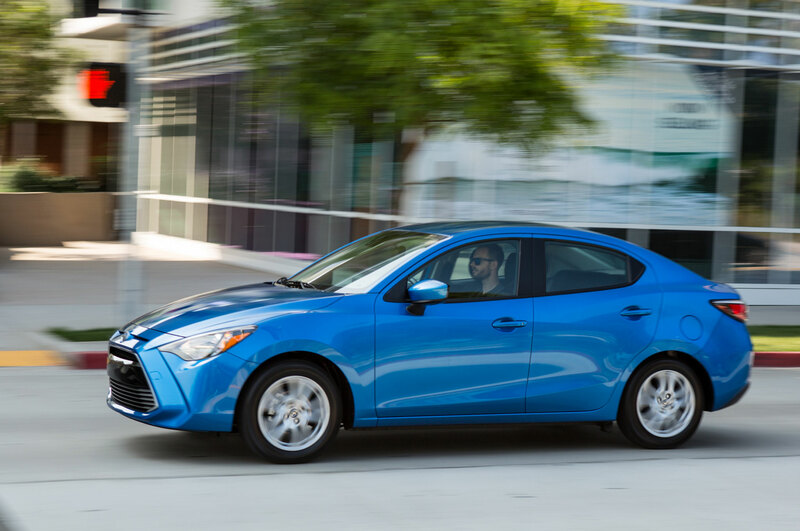 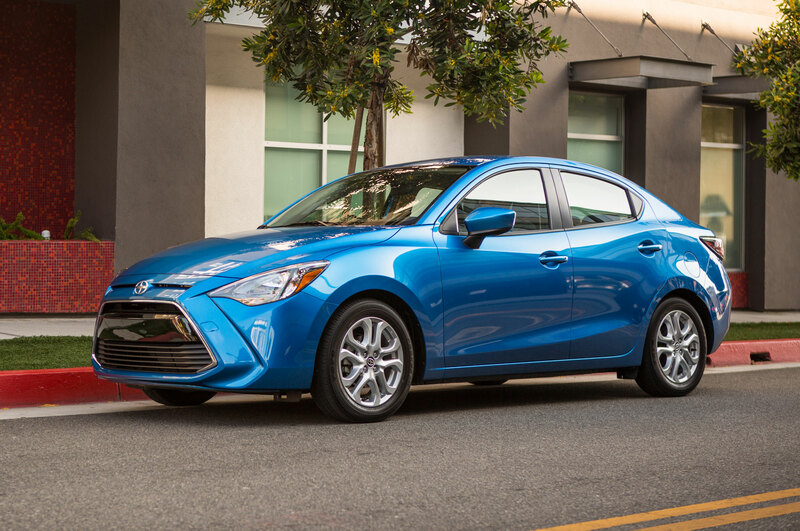 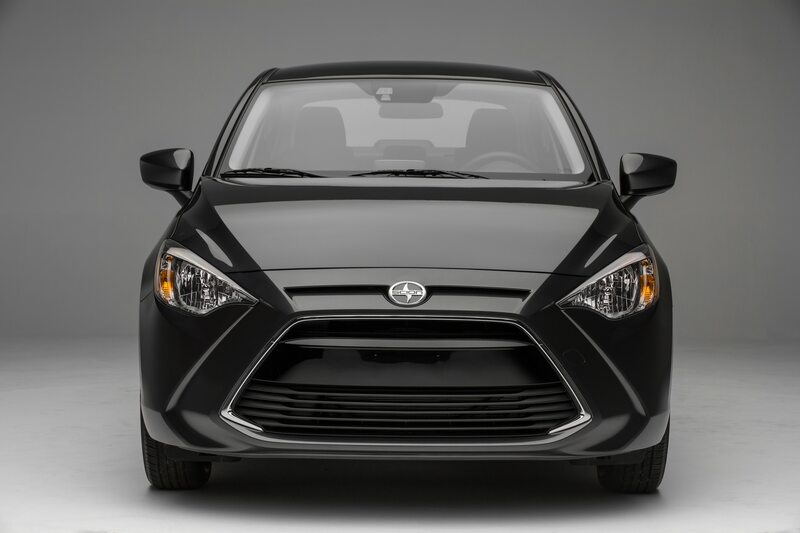 Until the Scion iA and iM came along, Scion had no truly “approachable” models in their lineup, jumping from small coupes to strange bulbous hatches. 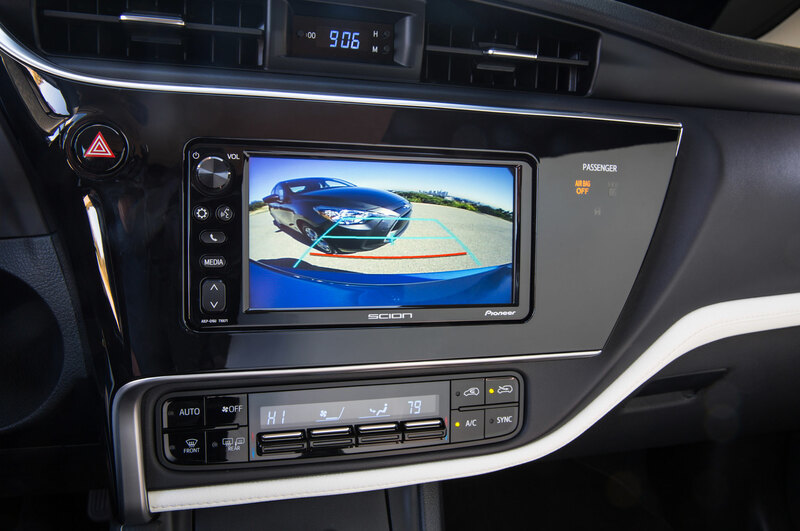 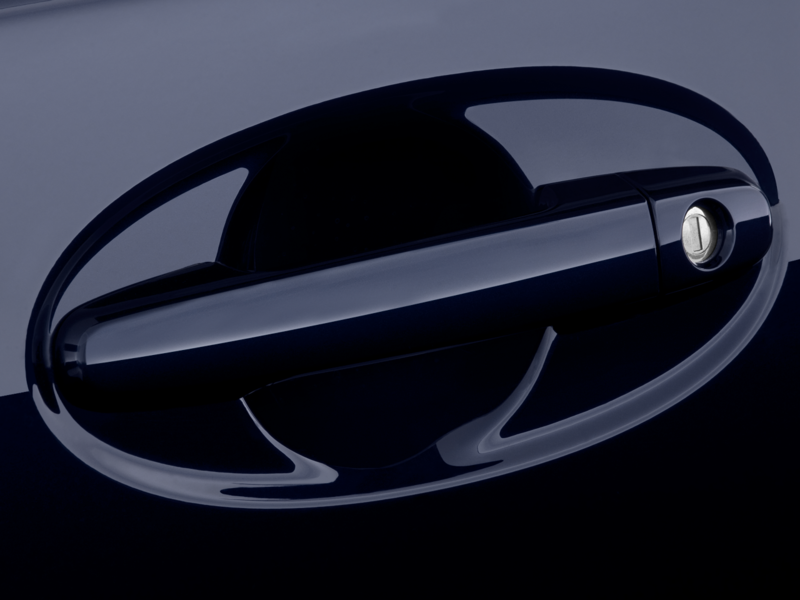 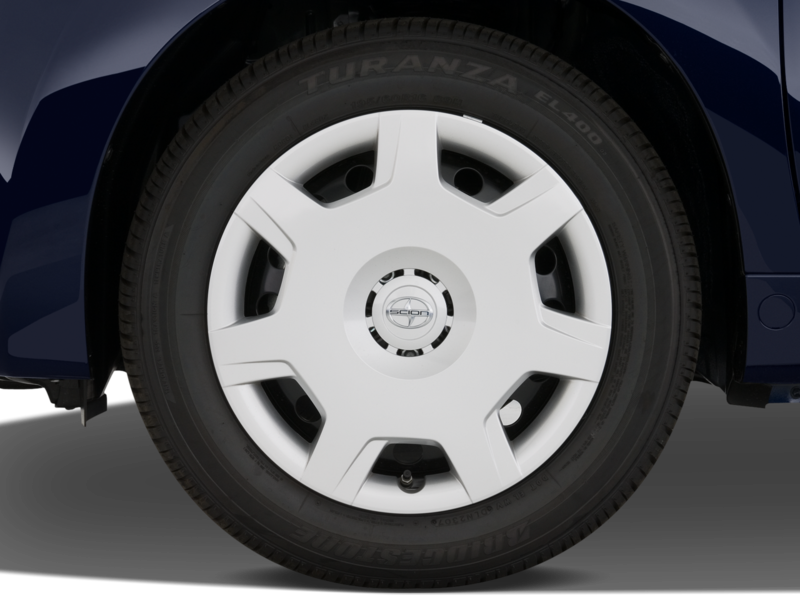 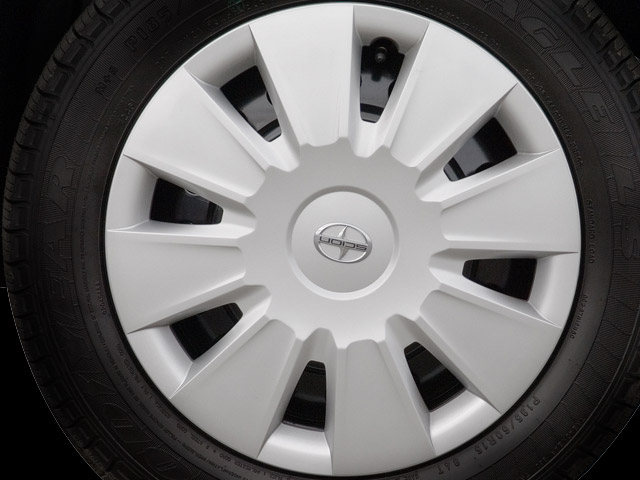 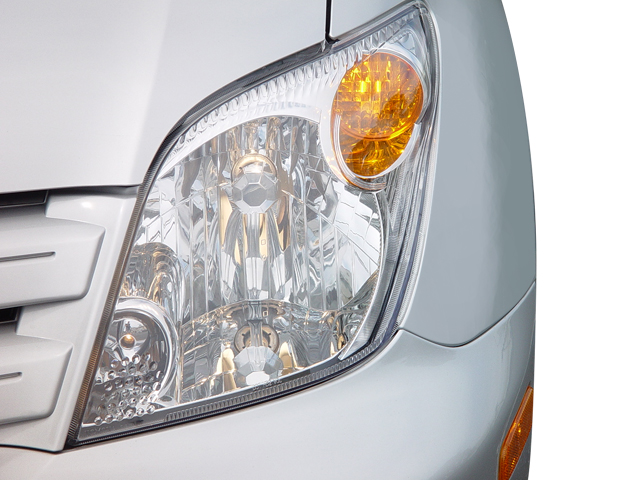 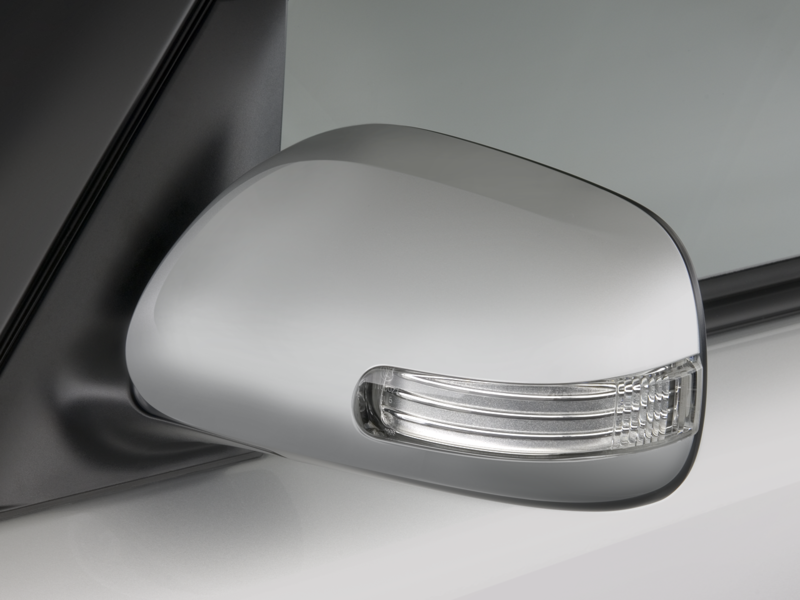 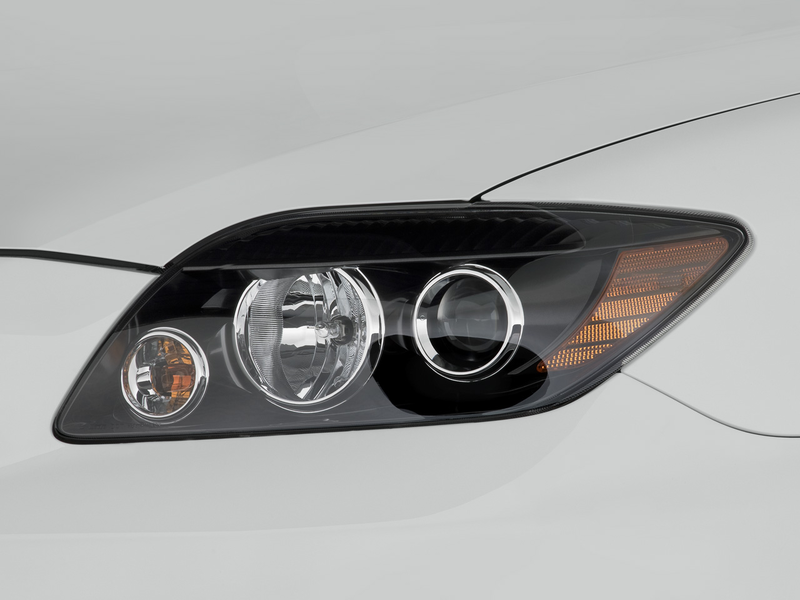 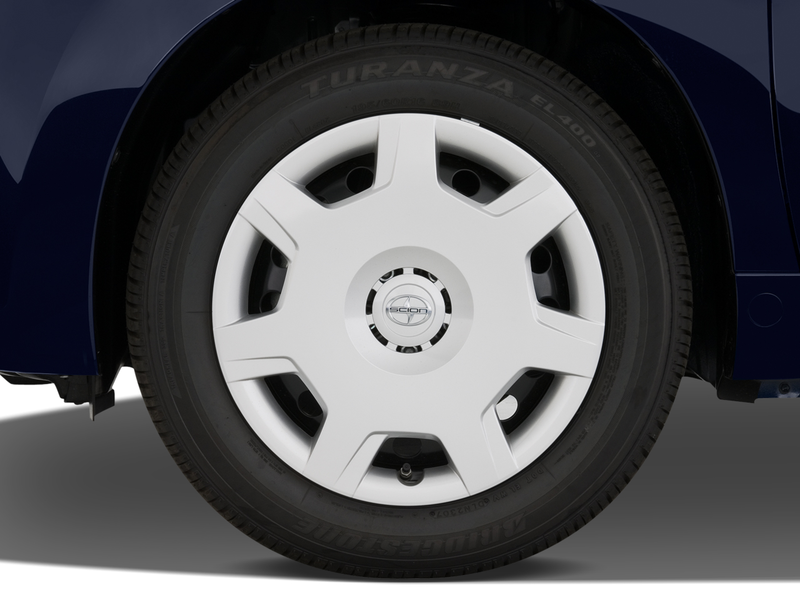 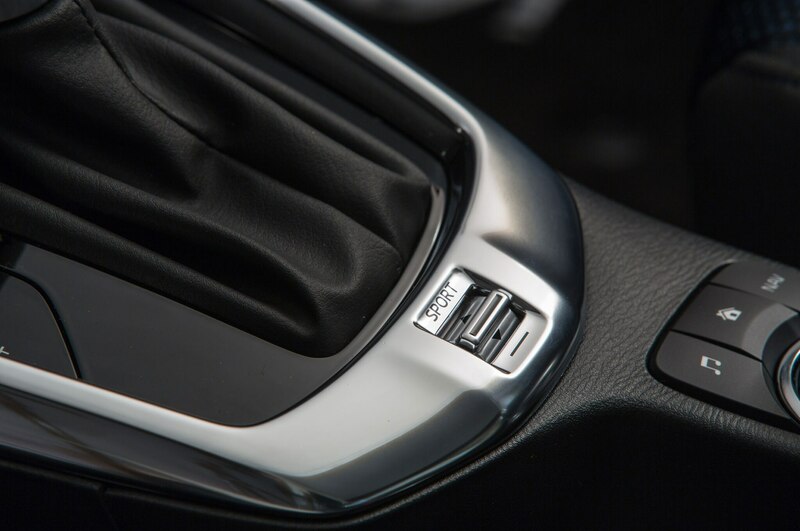 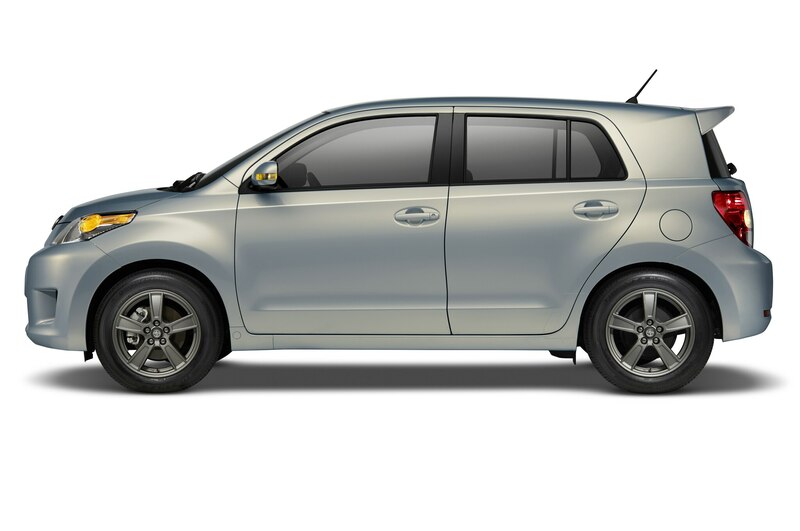 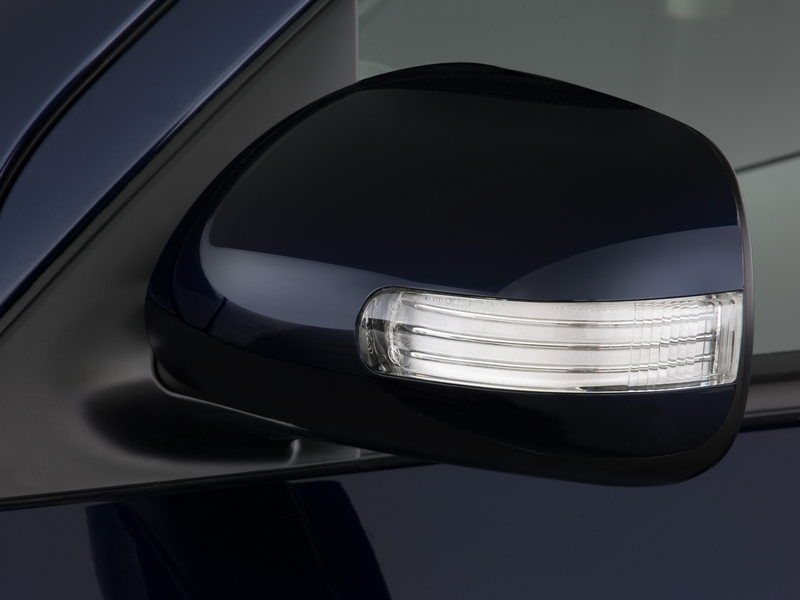 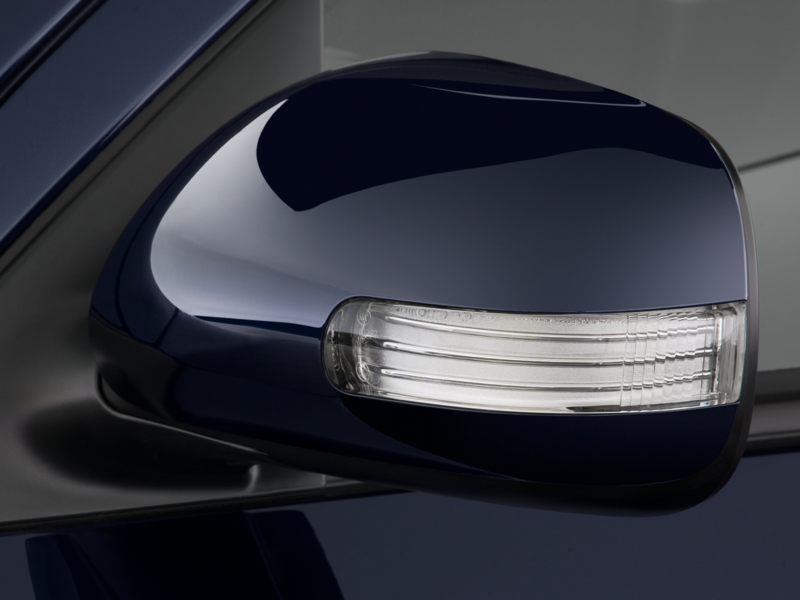 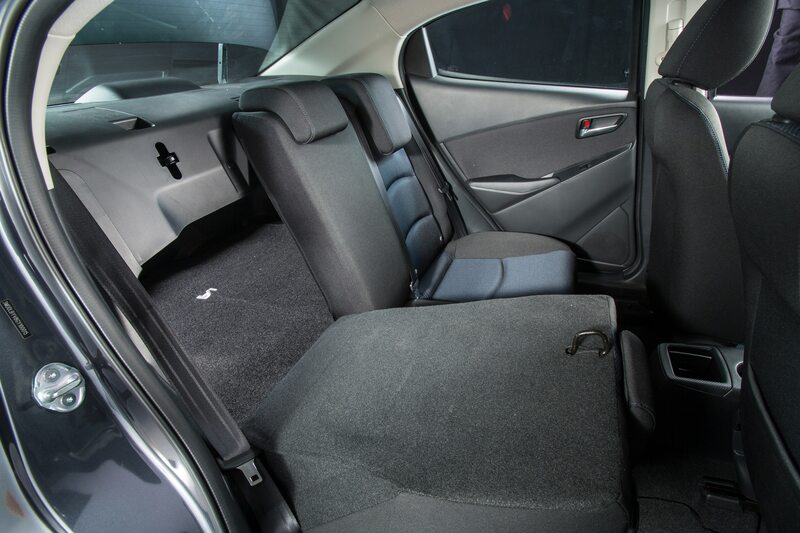 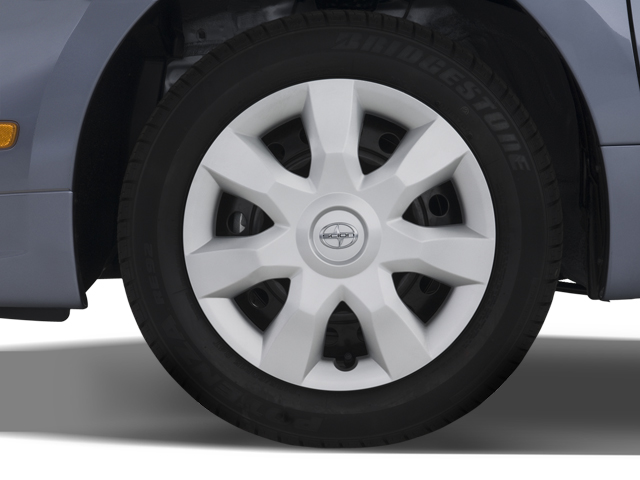 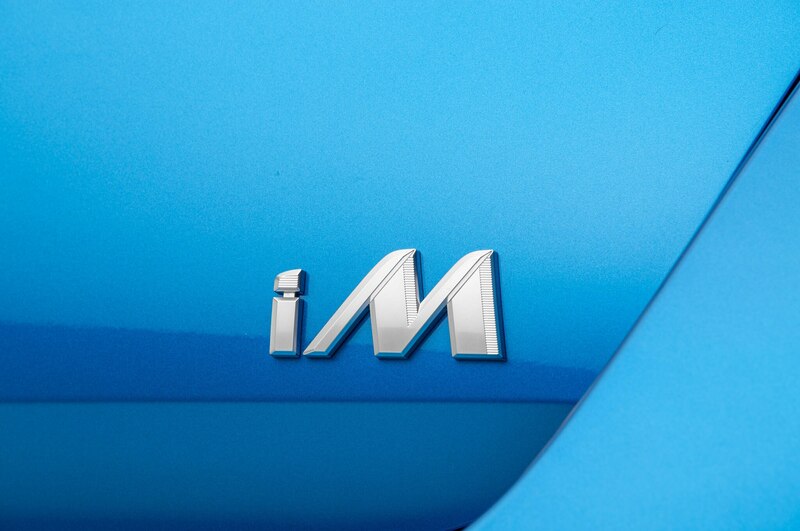 Serving as sensible and traditional models, the iA sedan and iM hatch are set to be successes. 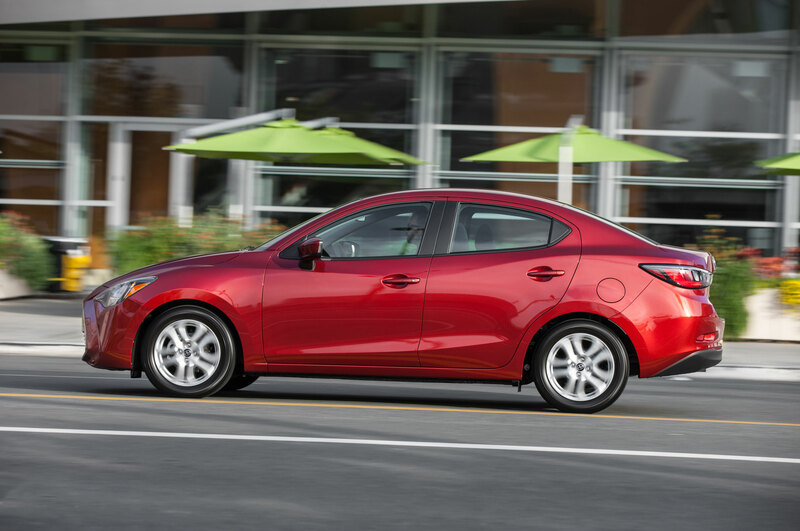 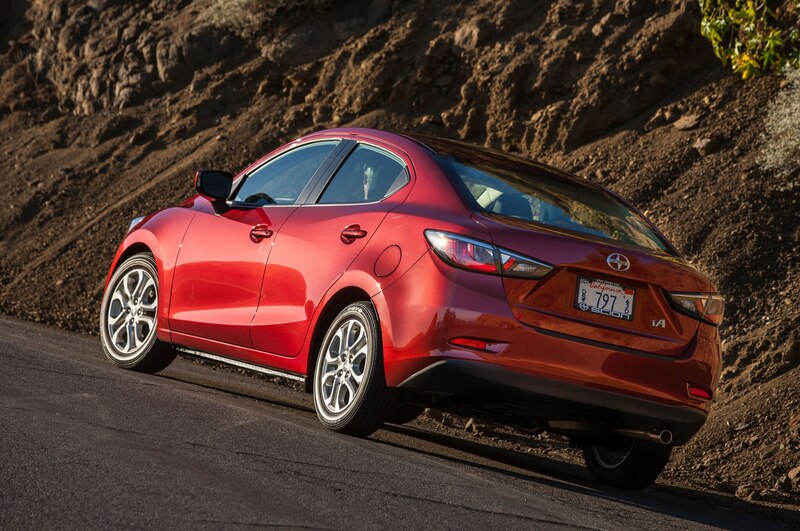 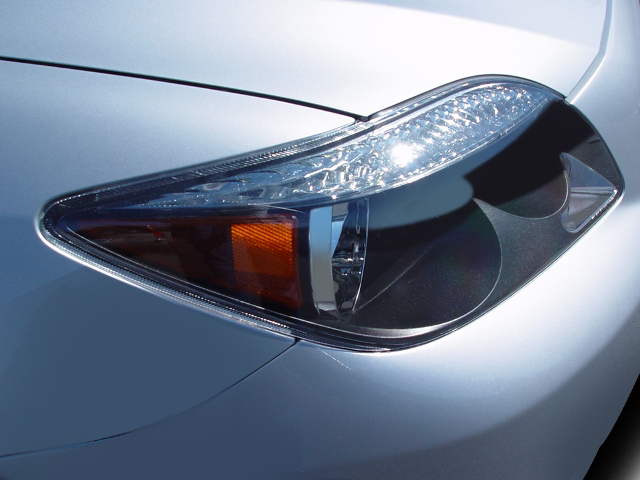 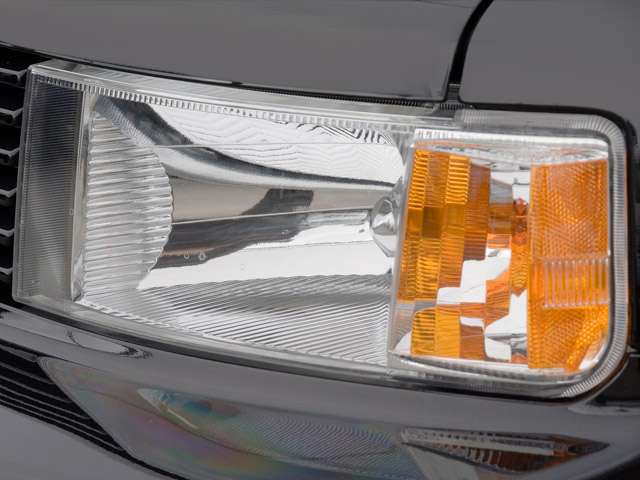 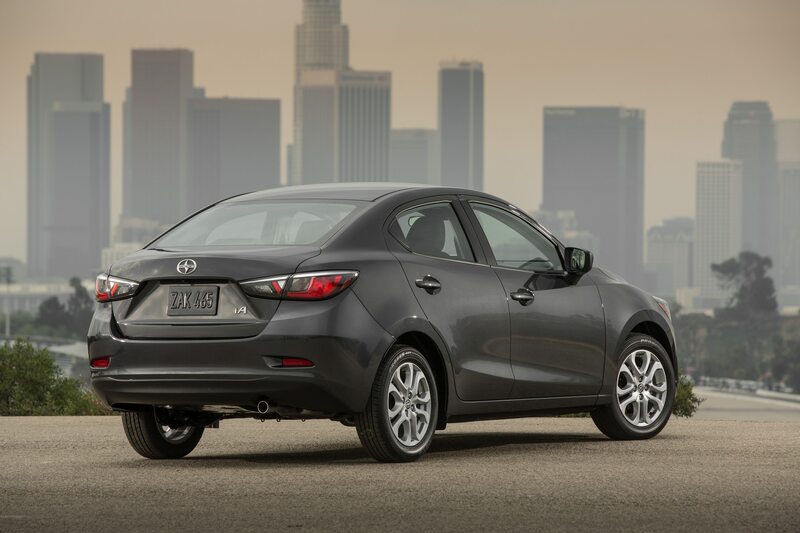 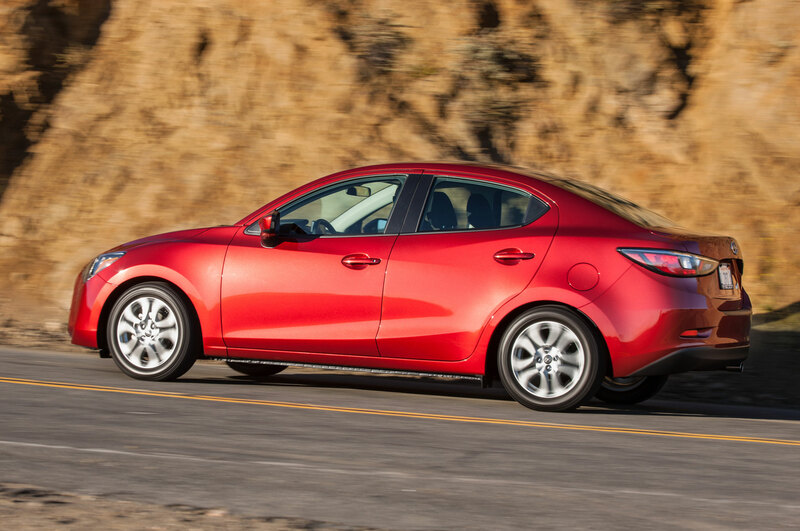 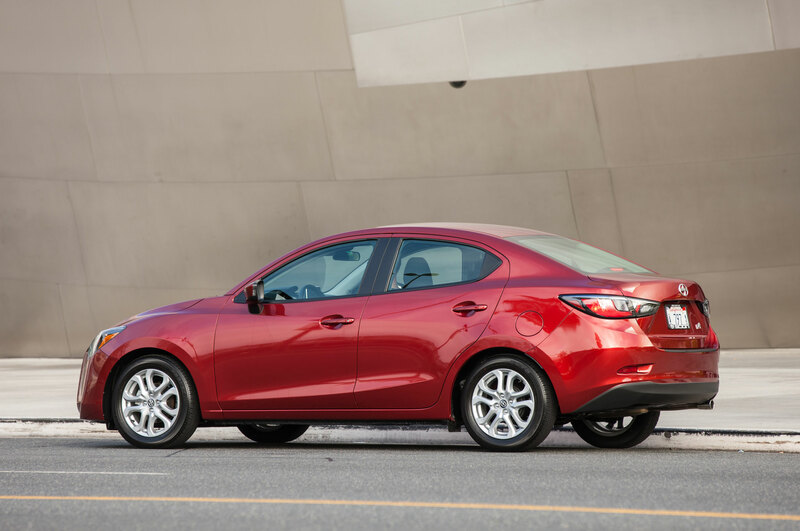 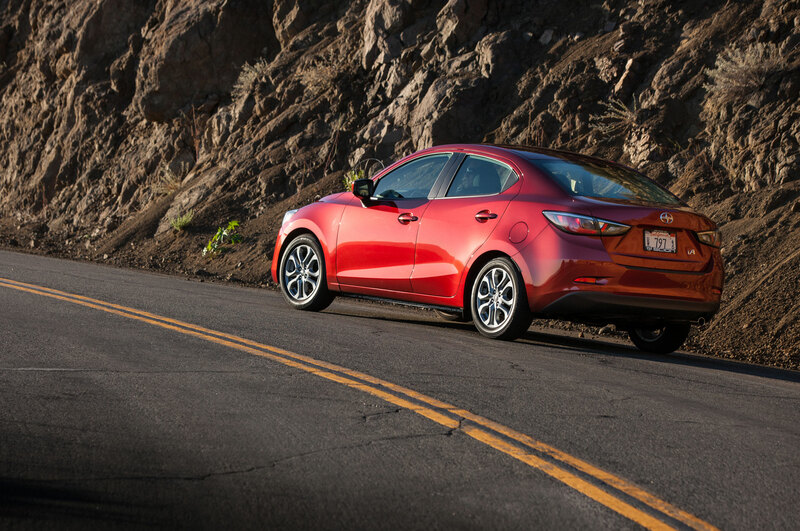 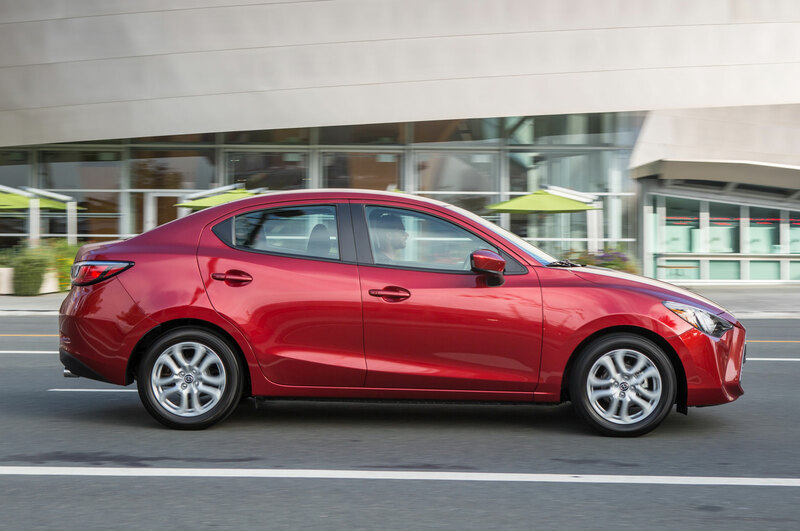 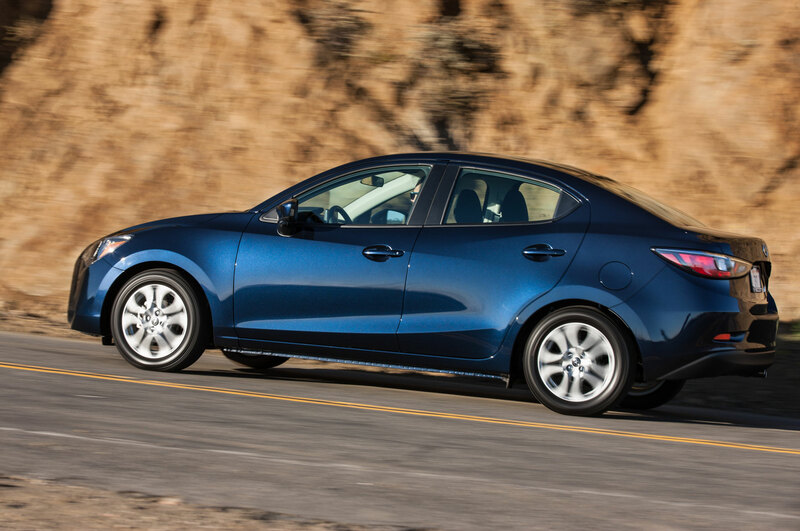 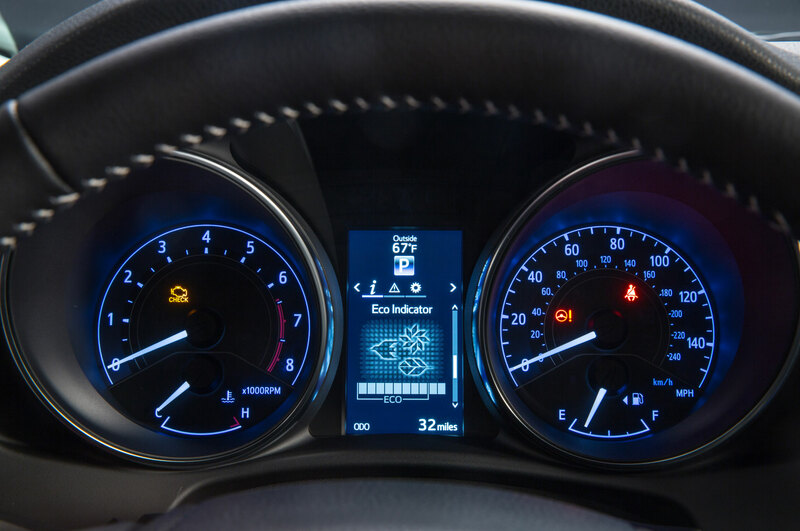 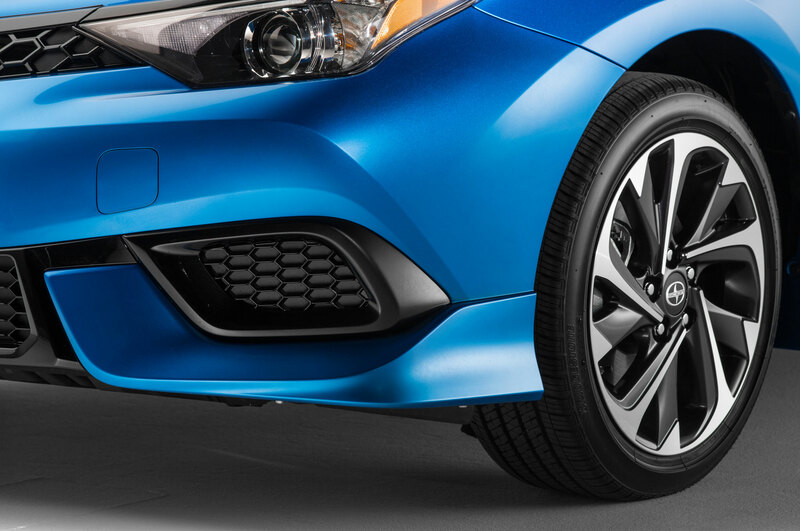 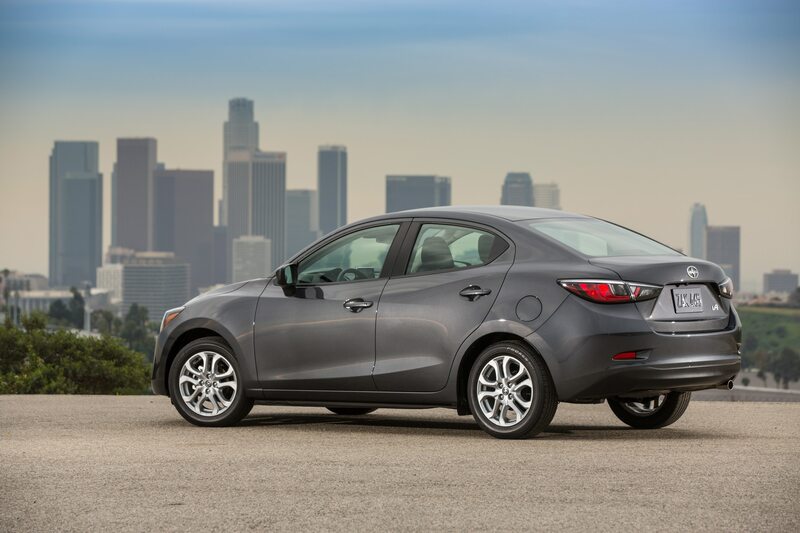 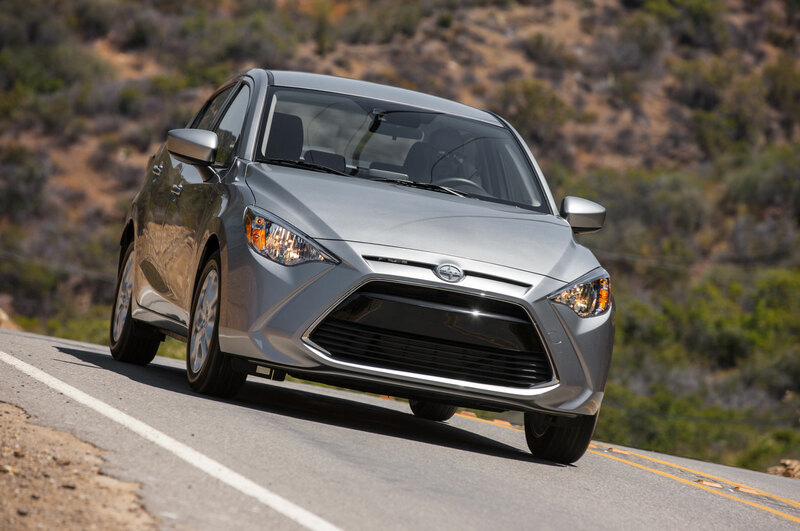 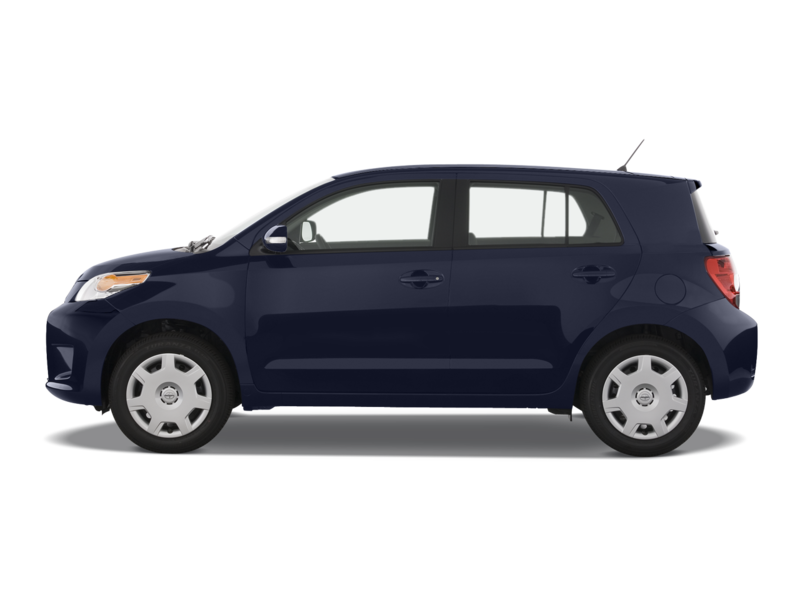 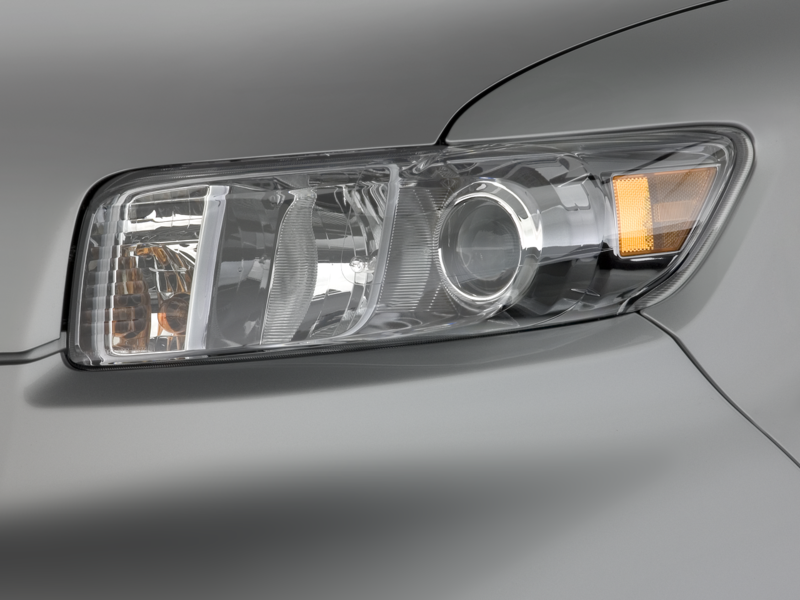 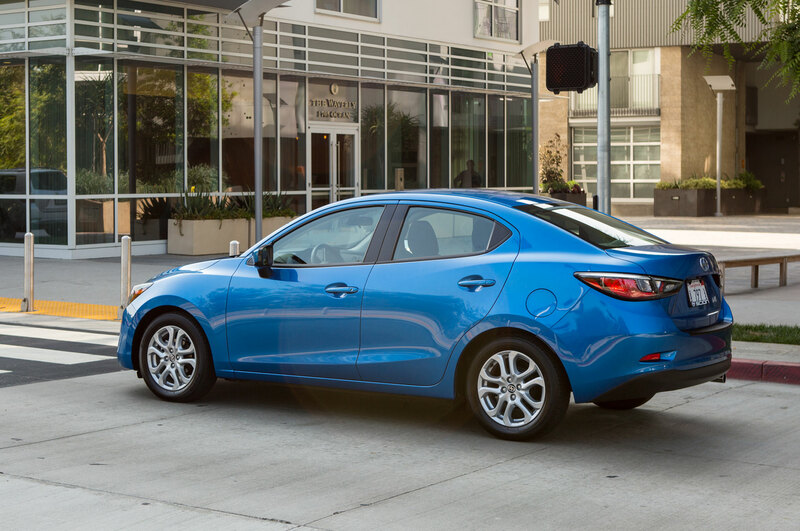 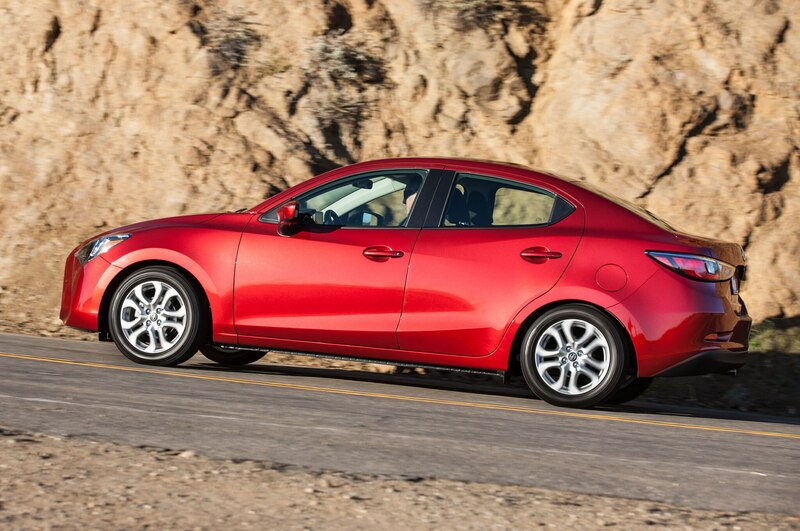 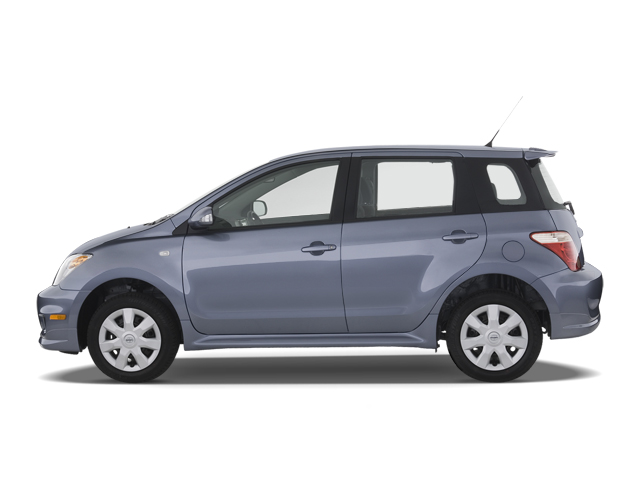 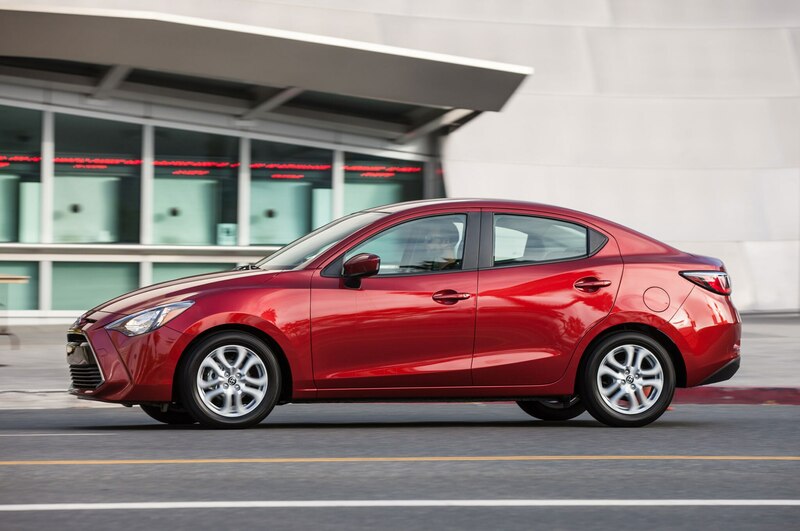 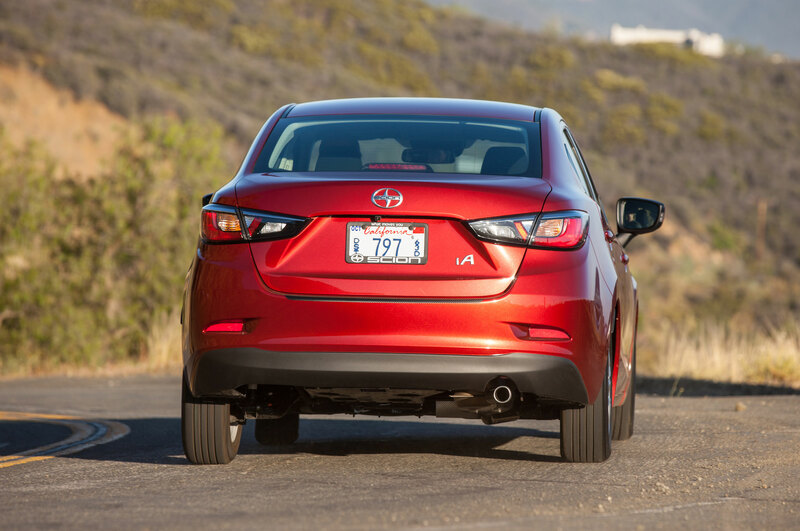 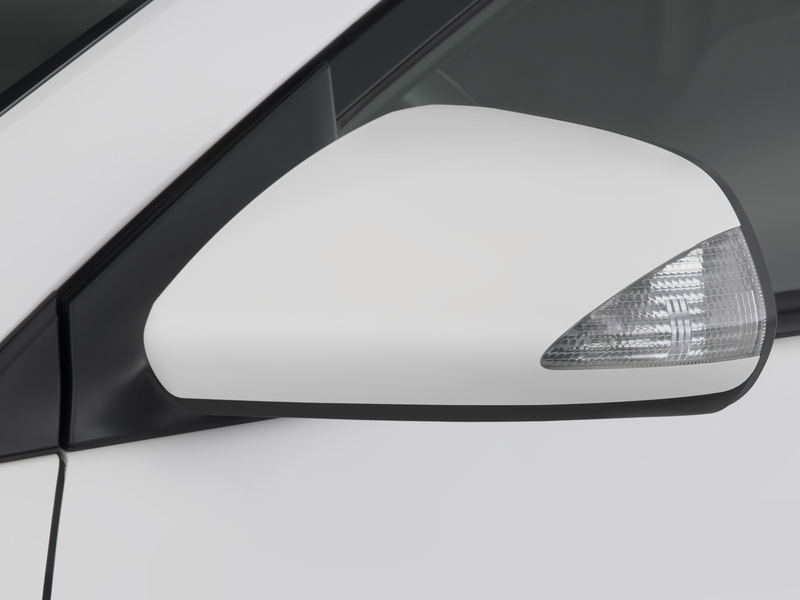 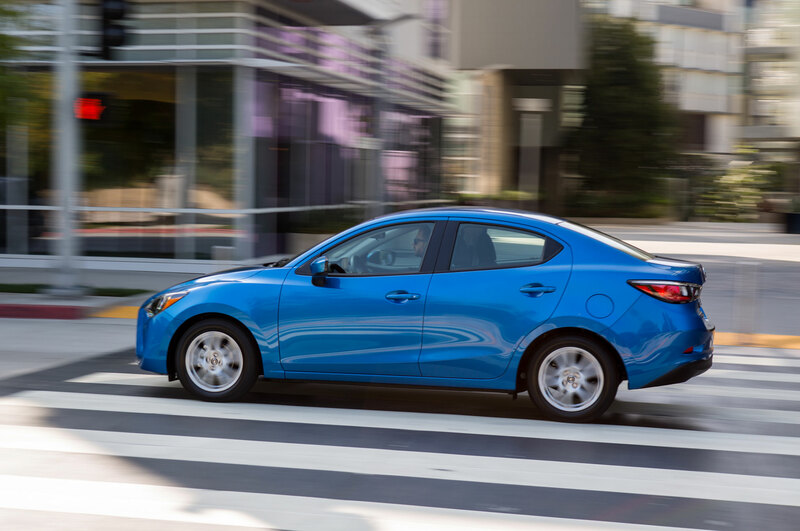 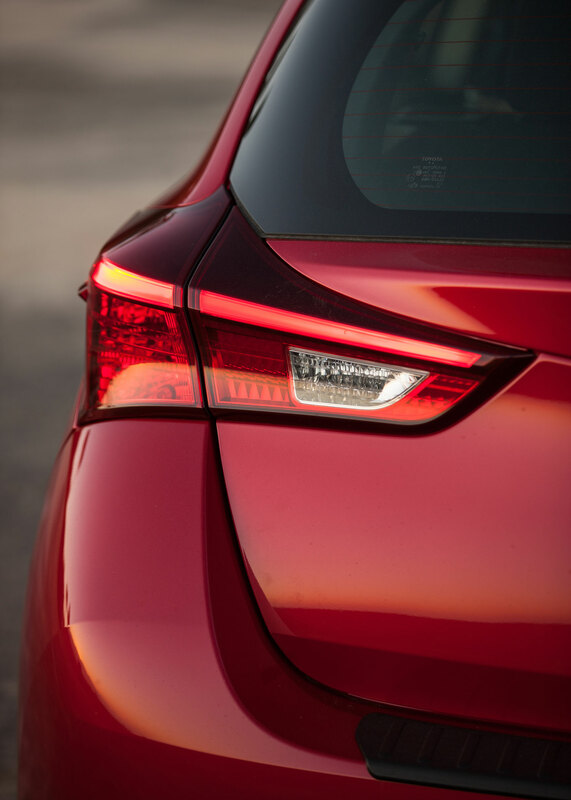 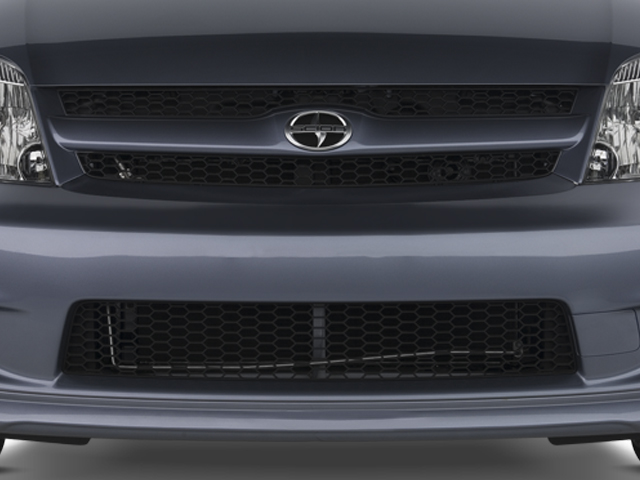 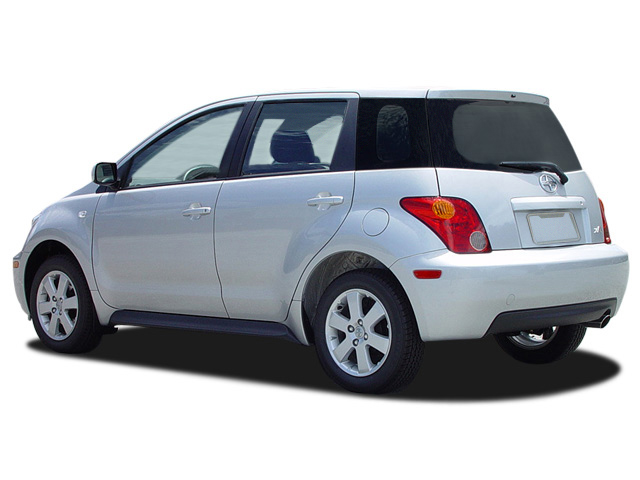 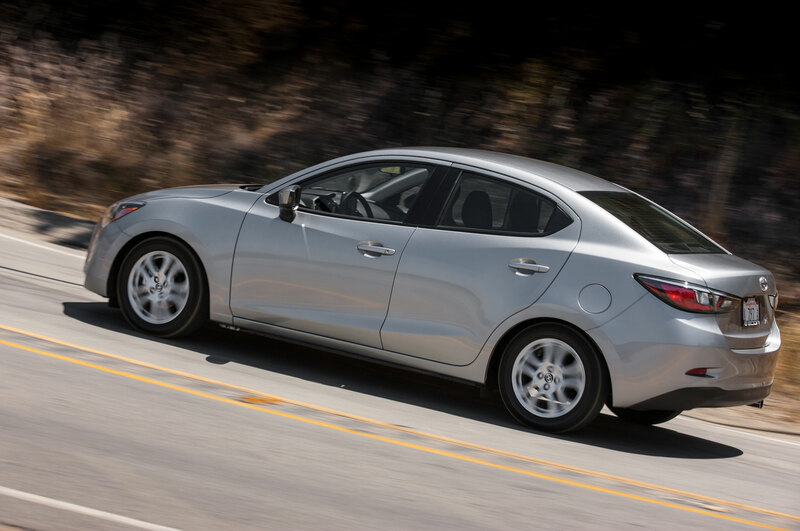 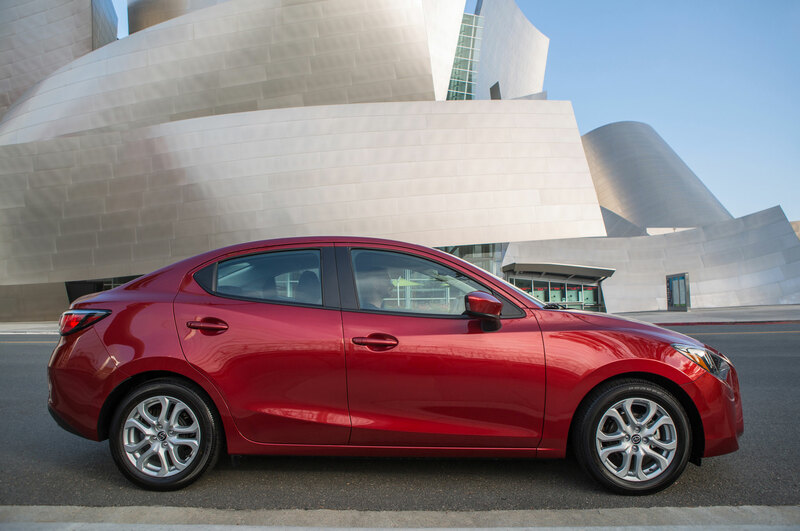 Underneath the Scion badges on the iA are the bones of a Mazda2, and as a result the car has the zoom-zoom spirit we expect from modern Mazdas. 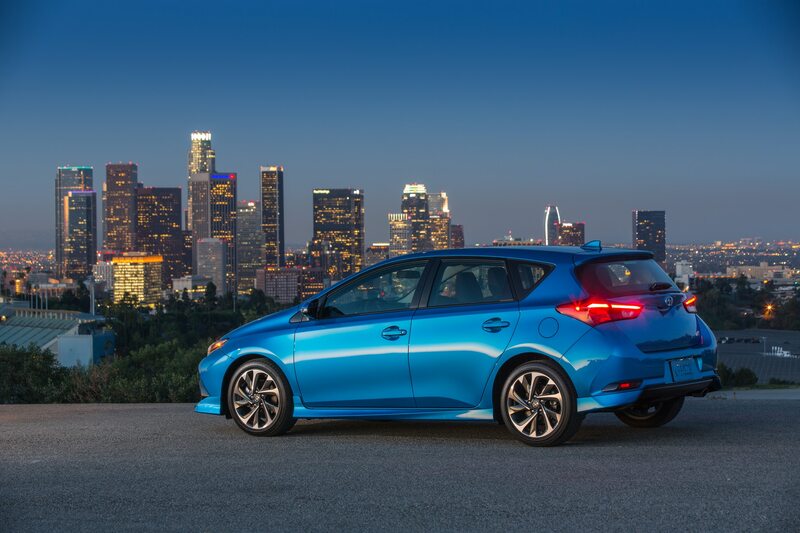 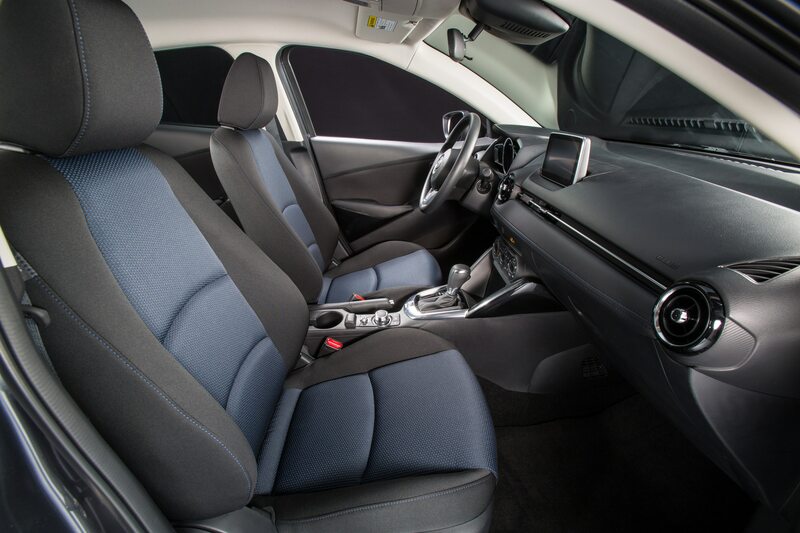 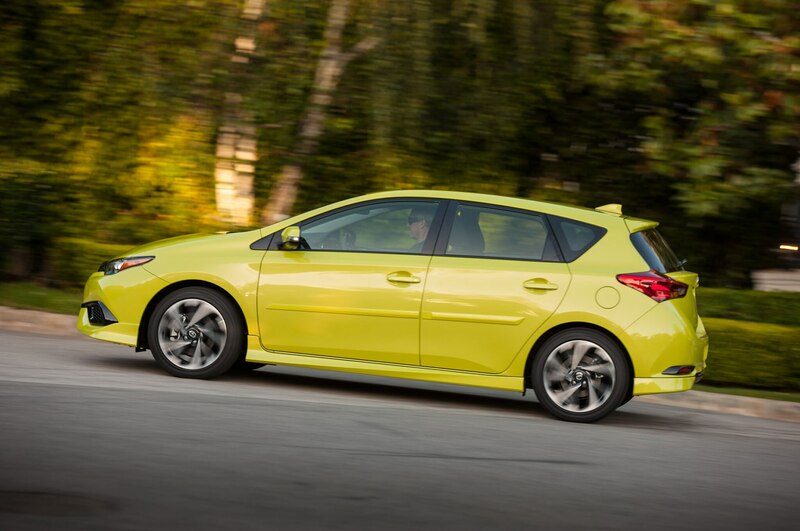 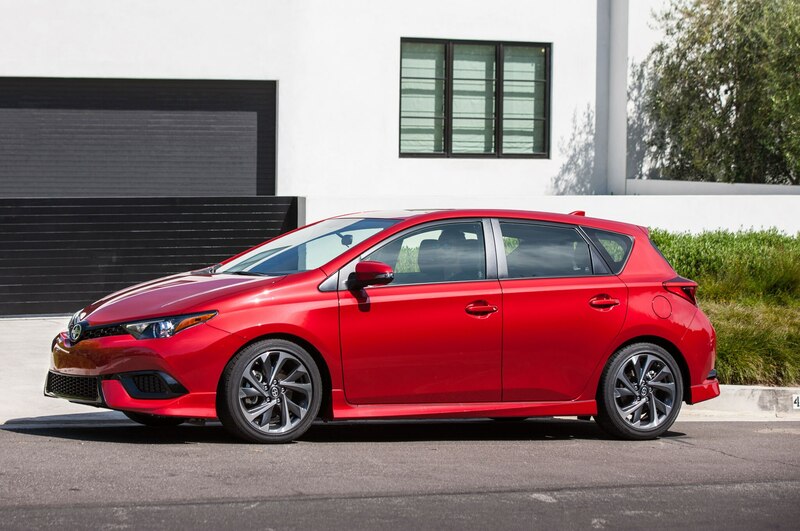 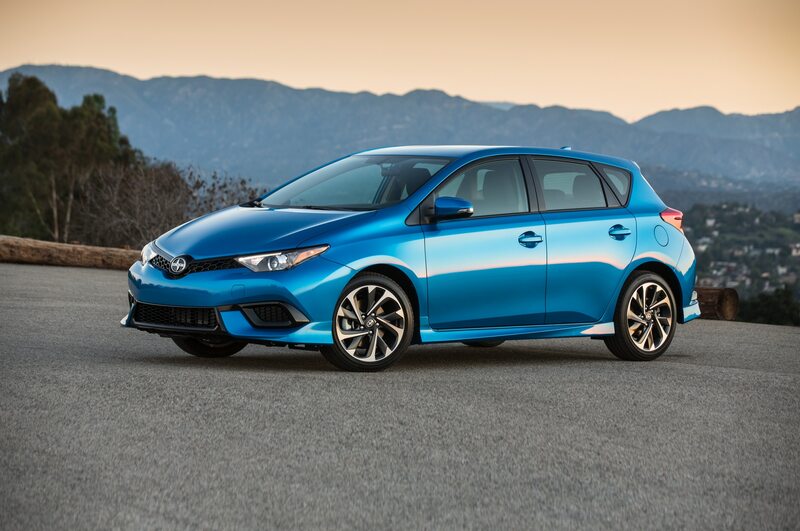 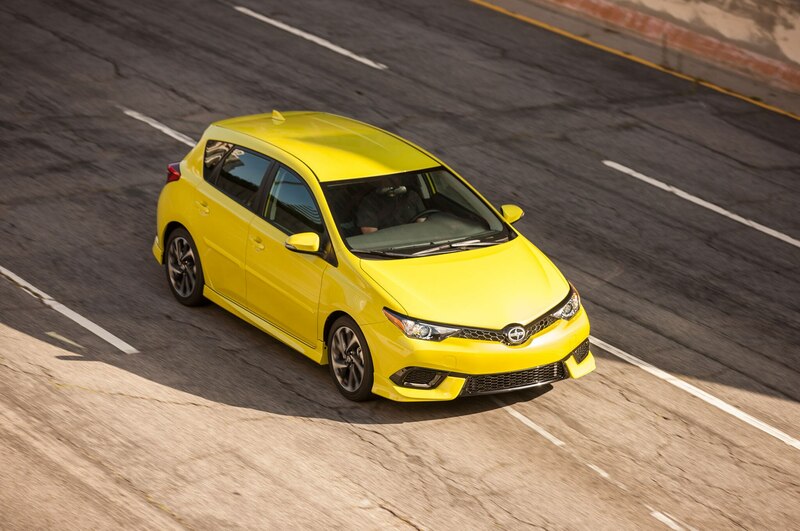 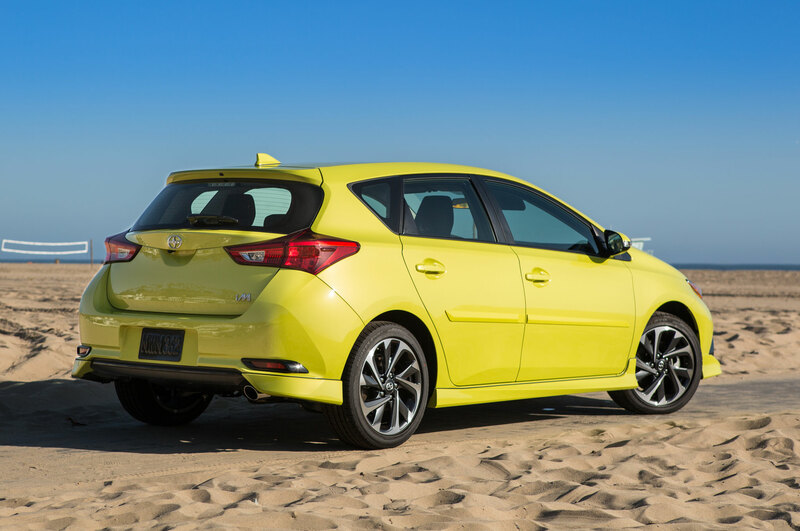 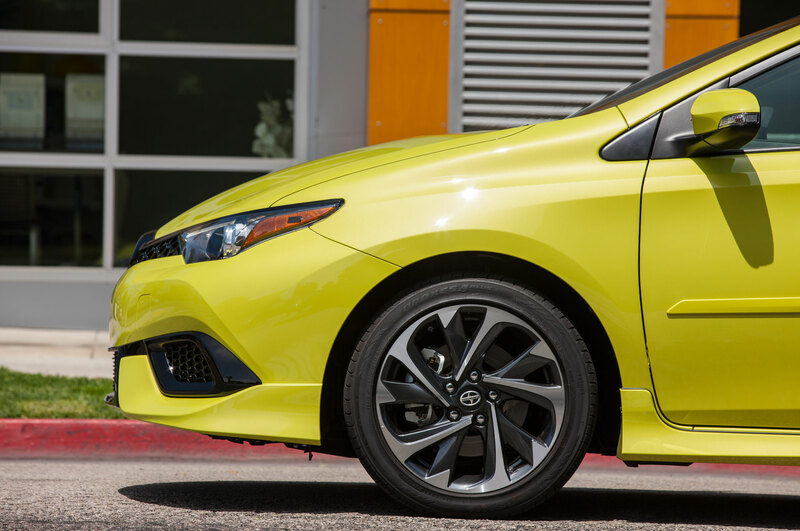 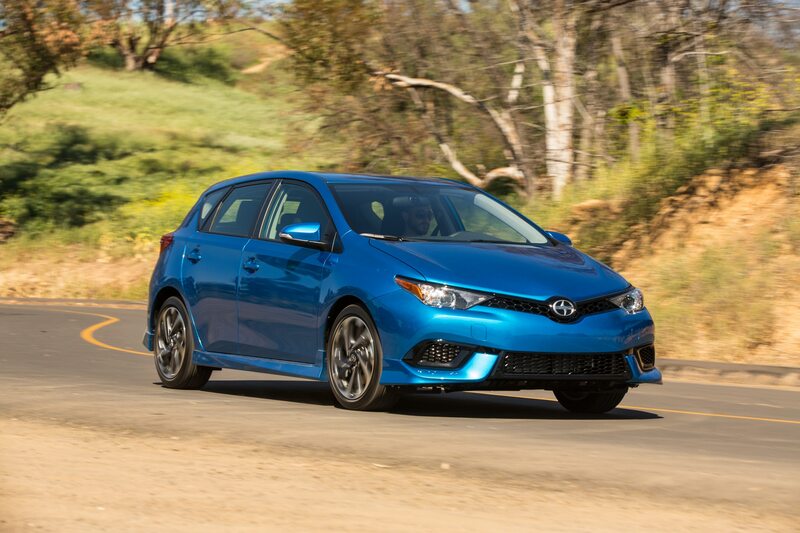 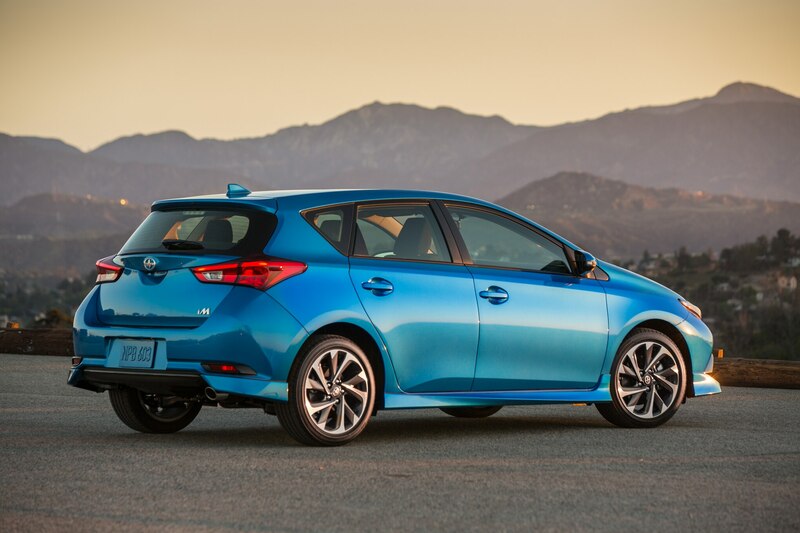 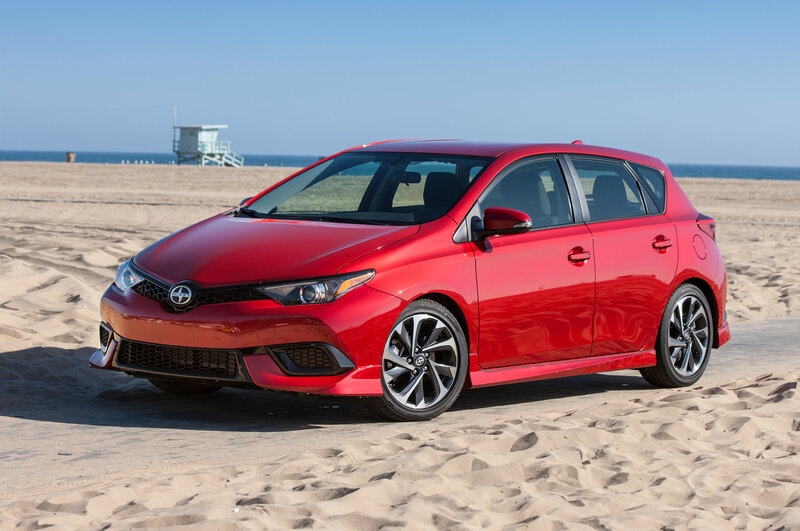 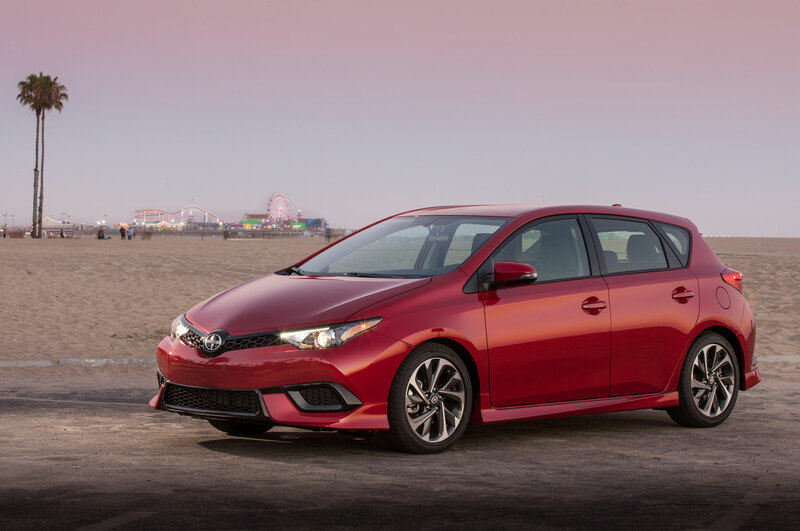 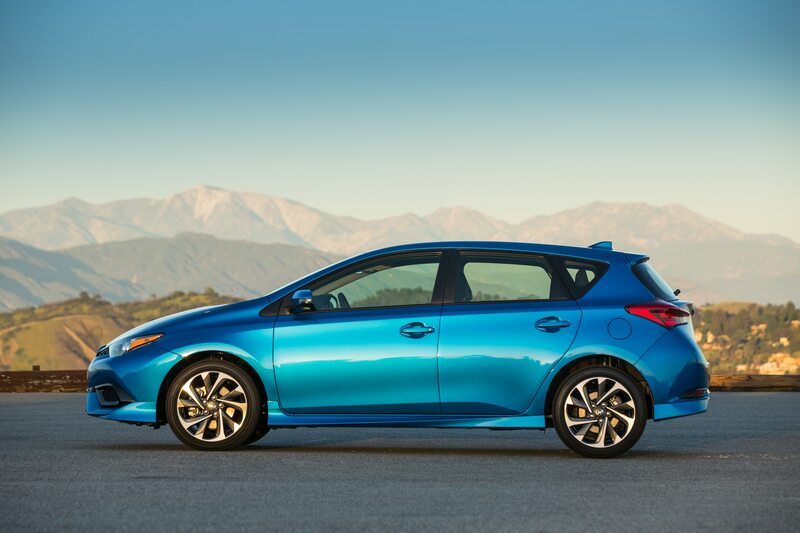 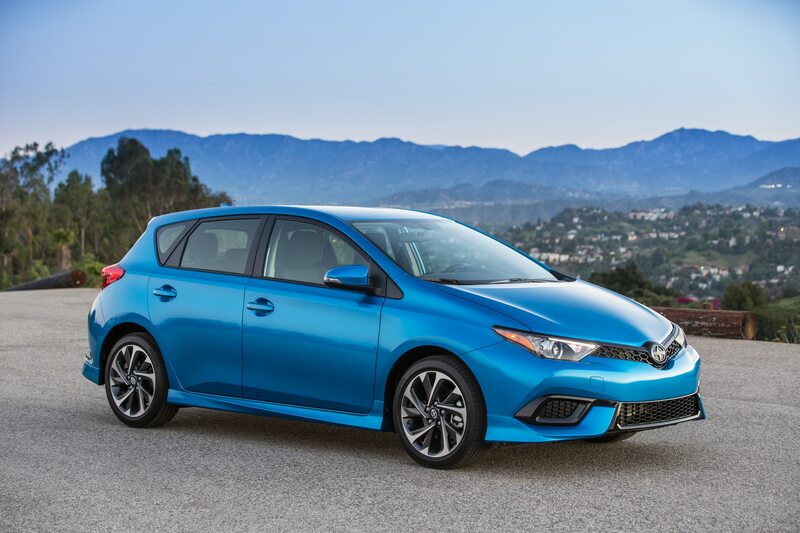 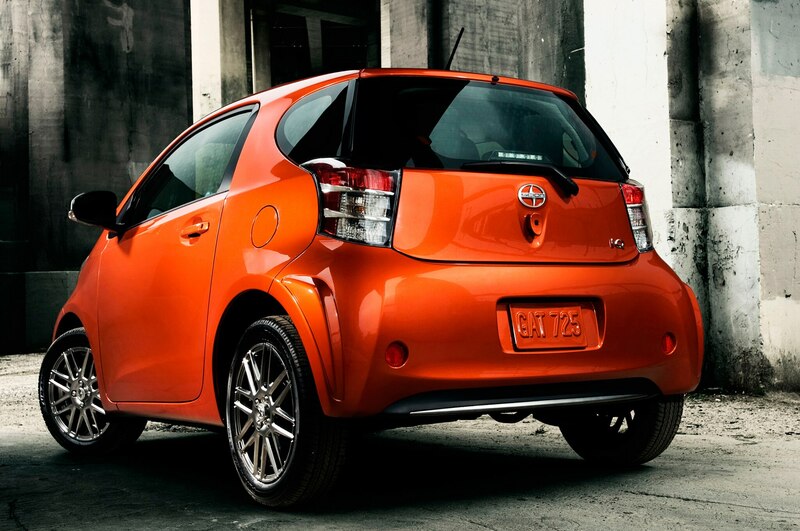 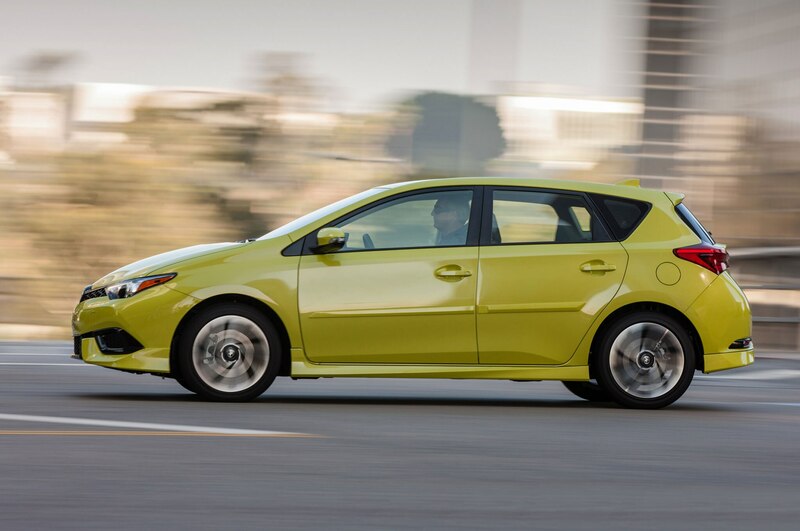 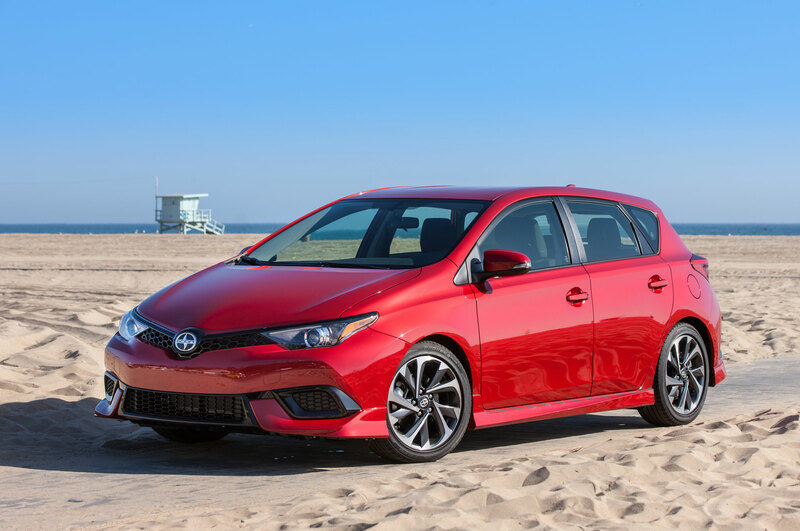 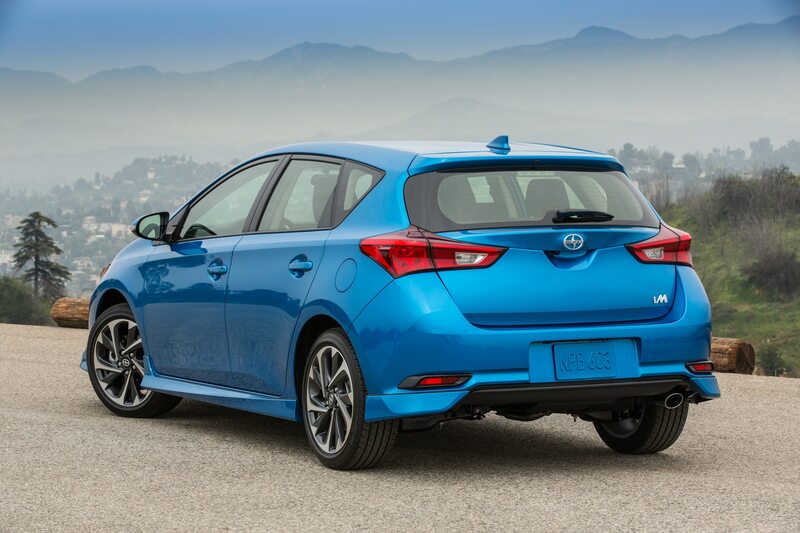 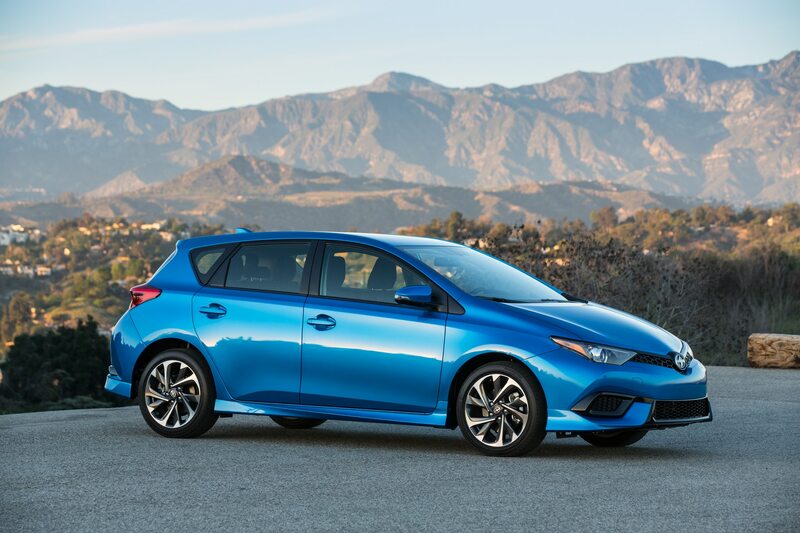 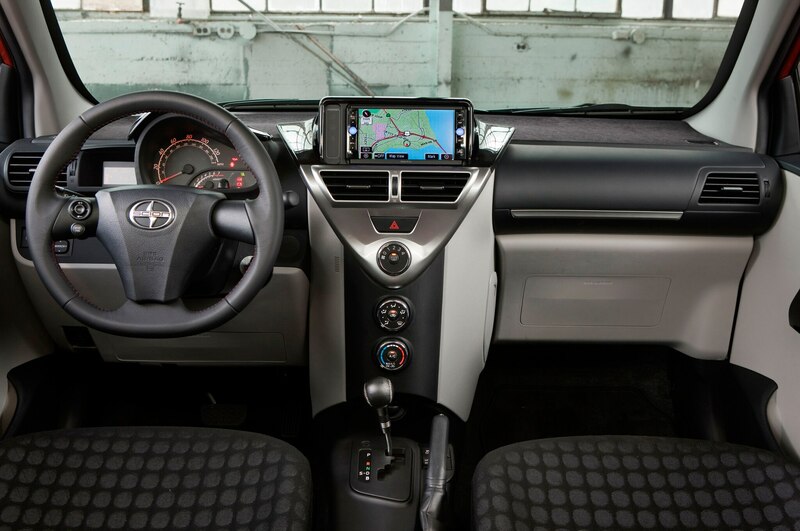 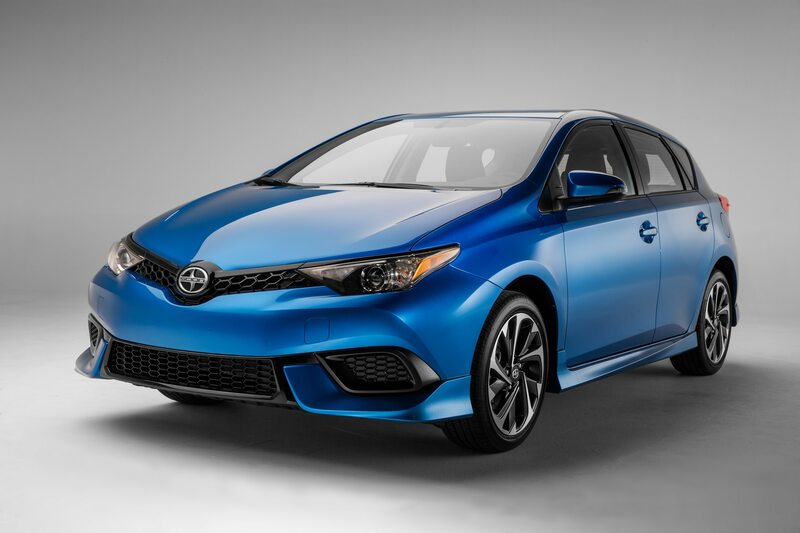 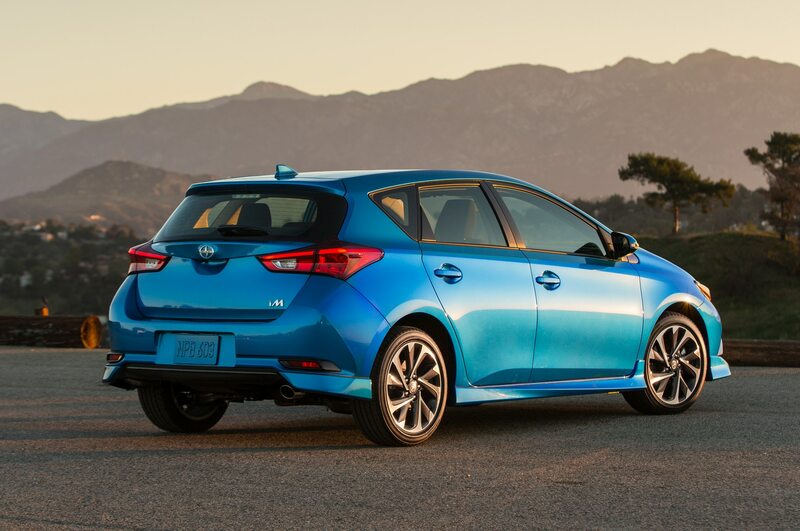 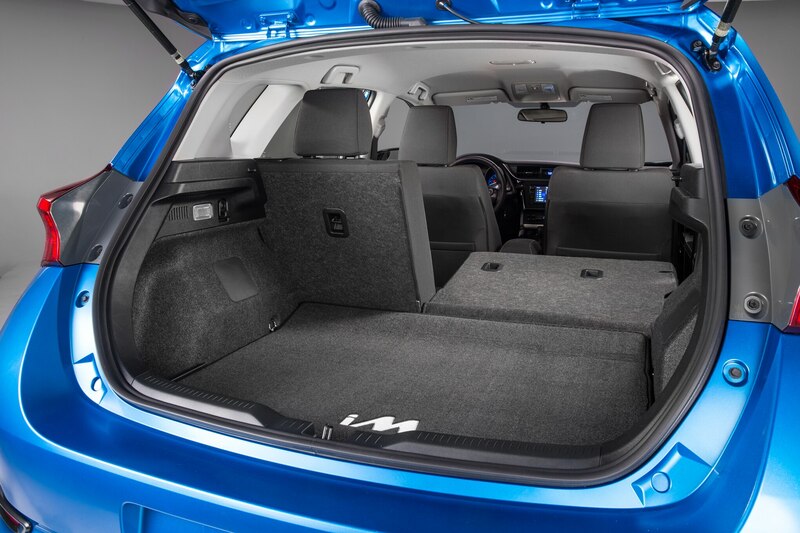 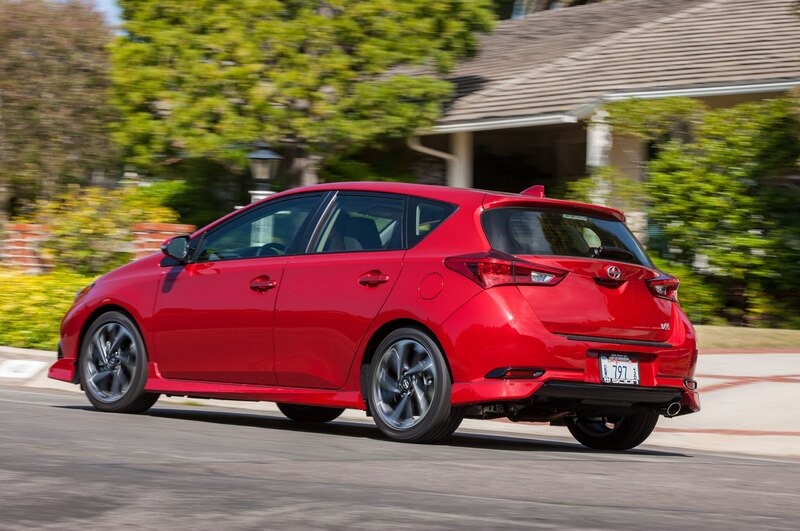 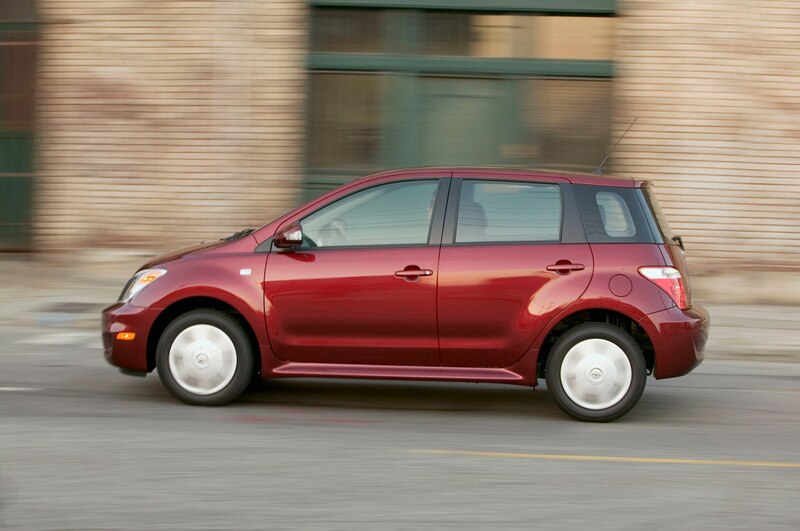 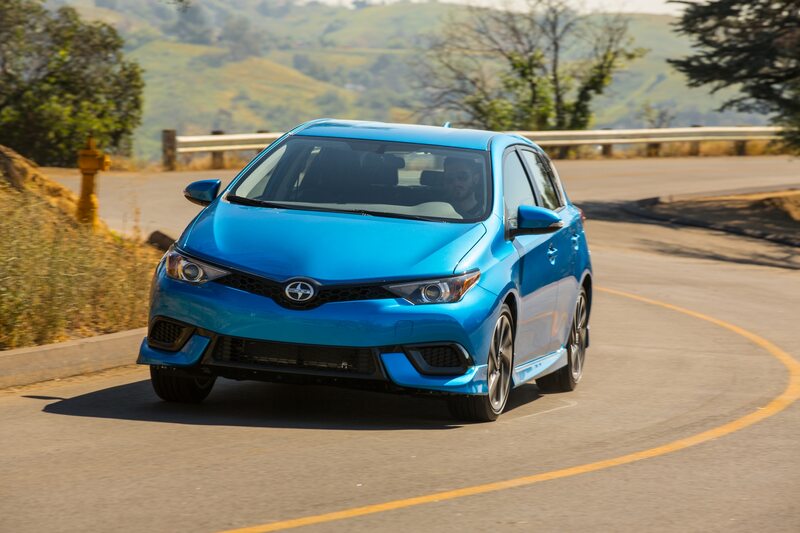 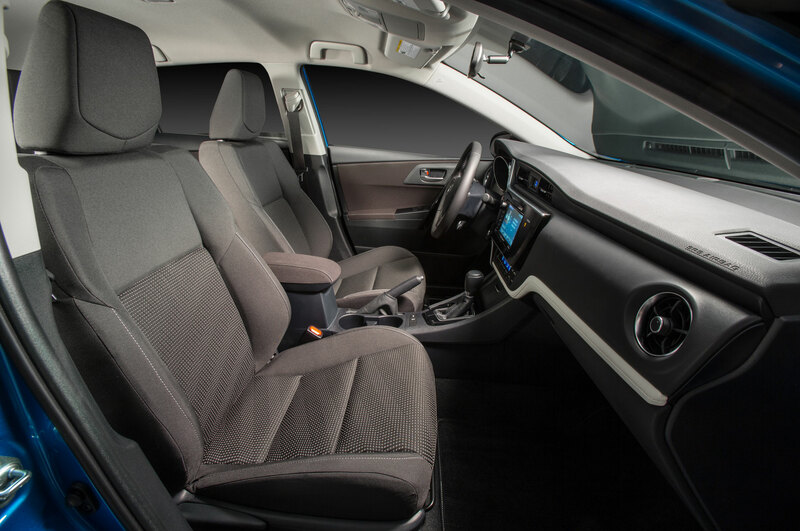 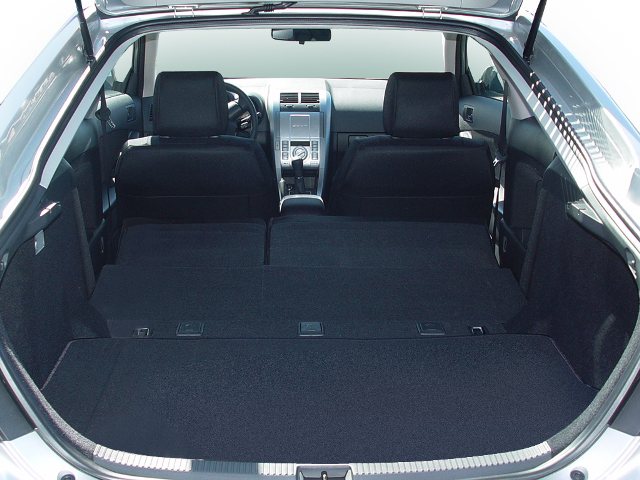 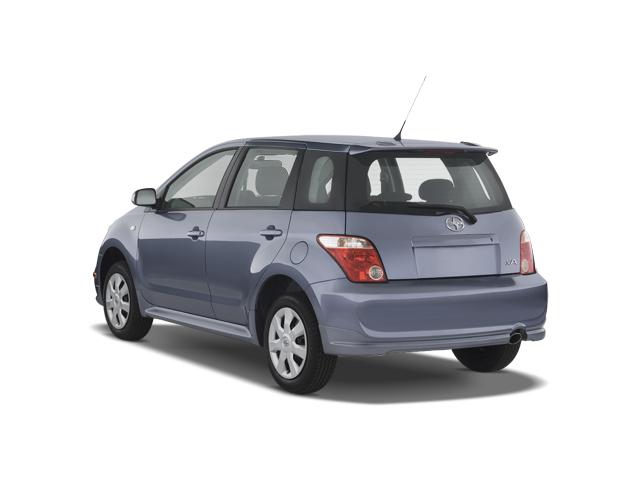 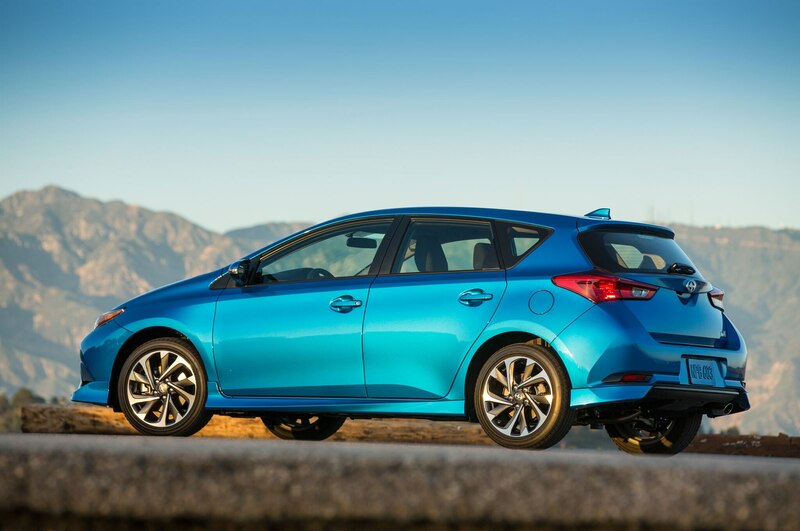 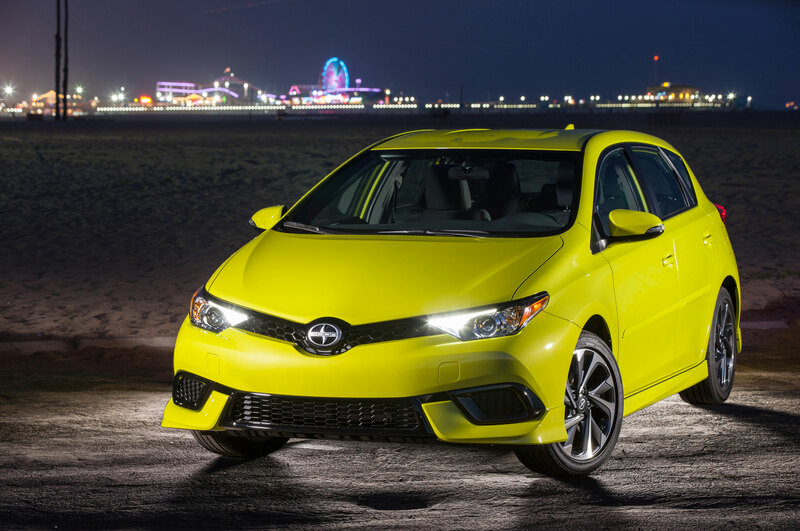 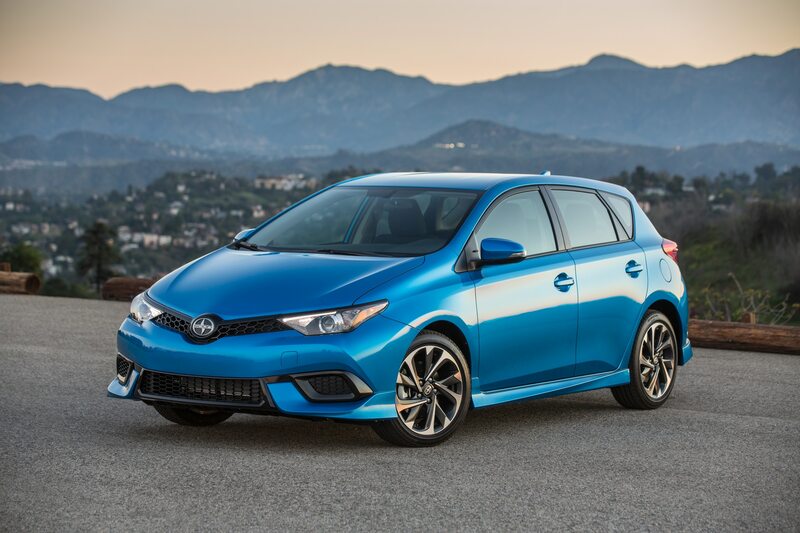 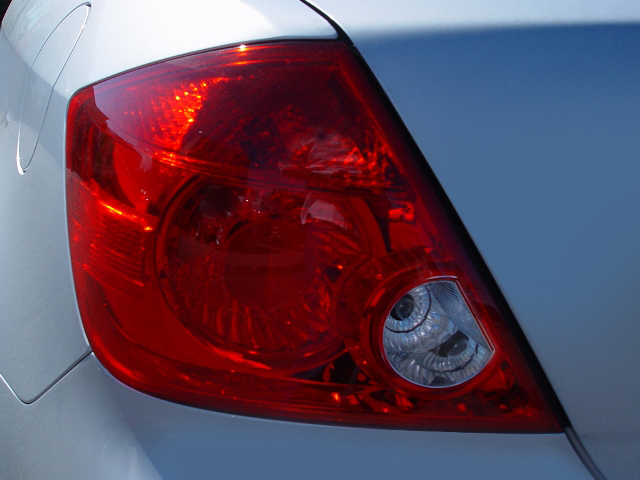 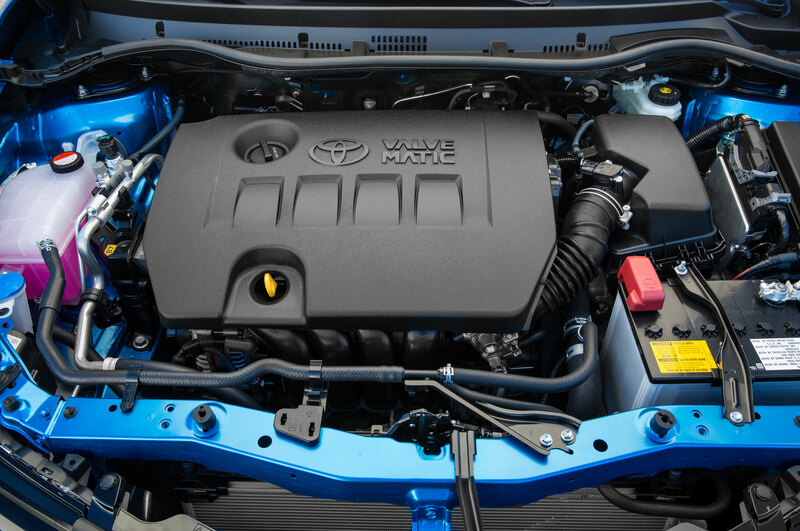 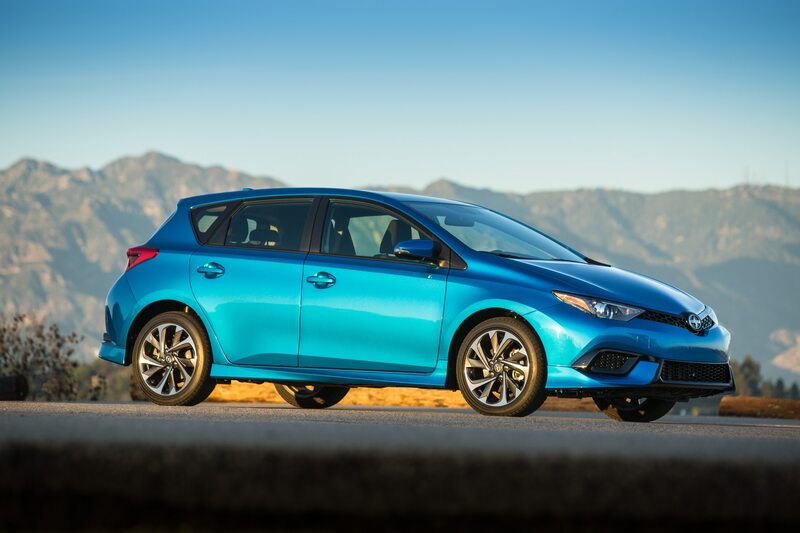 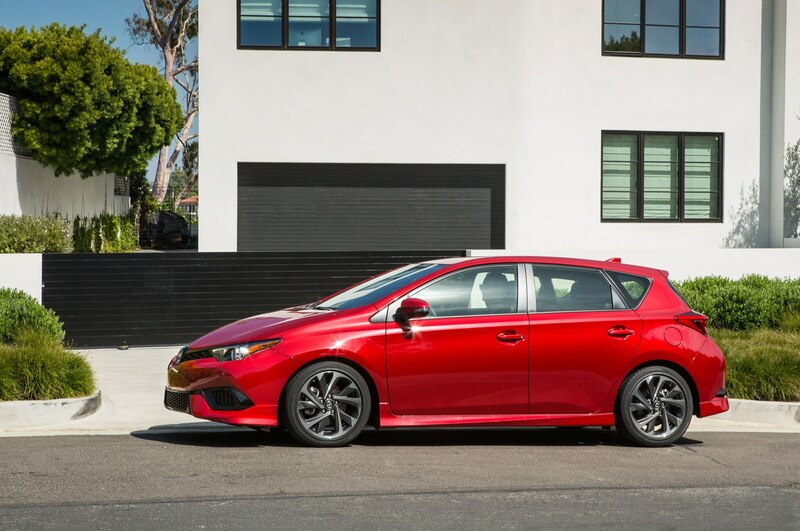 The iM is a rebadged Toyota Auris for the U.S. market, and overall, we found the iM to be a solid and usable hatch. 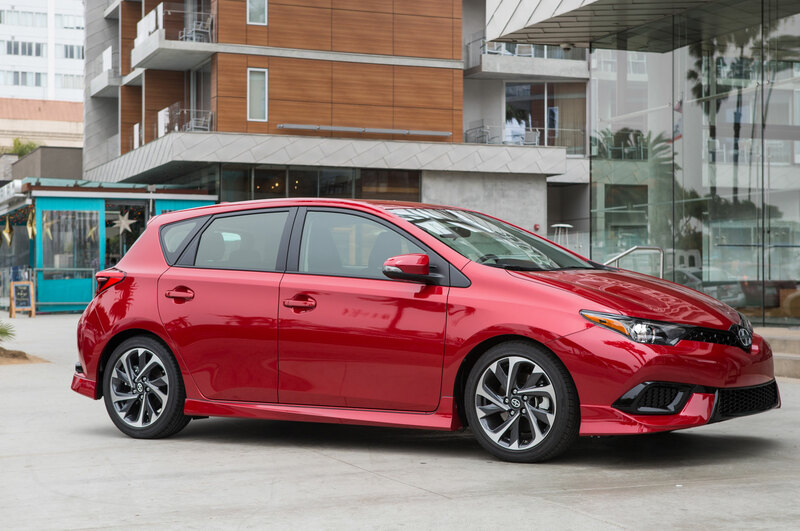 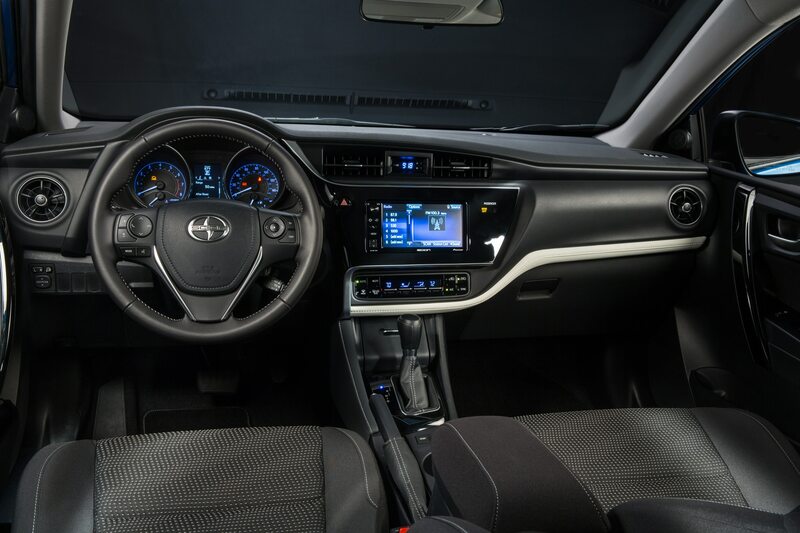 While the iA and iM duo were new for the 2016 model year, they continue on as Toyota models for 2017.